lift is being painted high above. 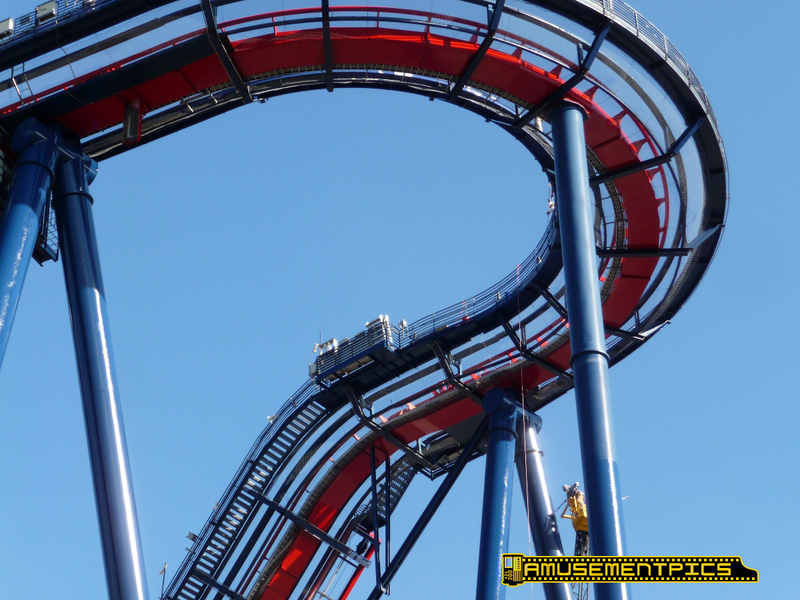 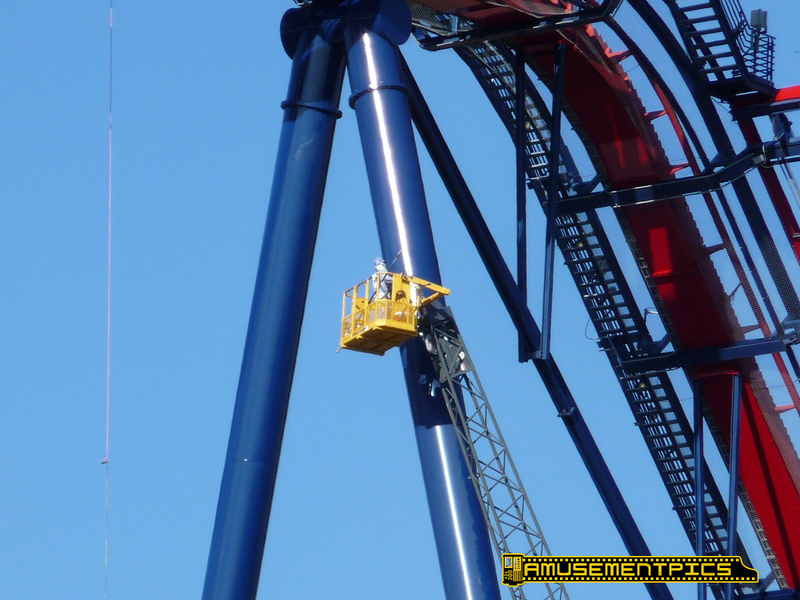 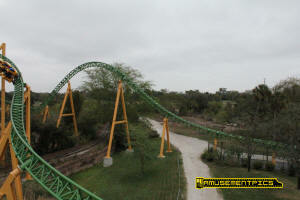 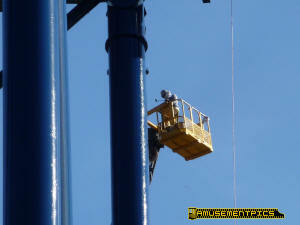 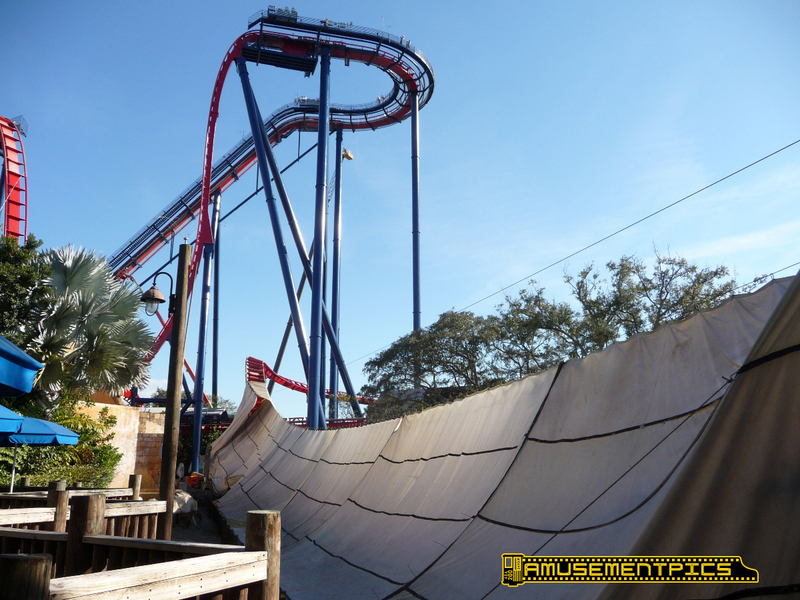 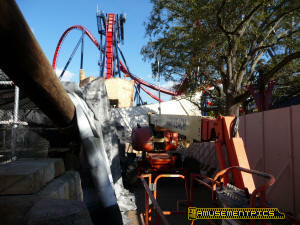 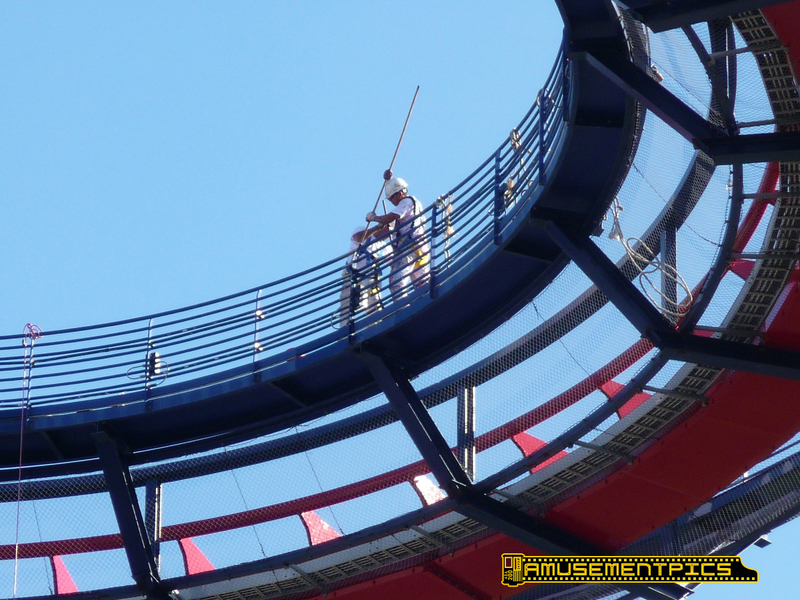 The crews are hard at work painting the coaster. 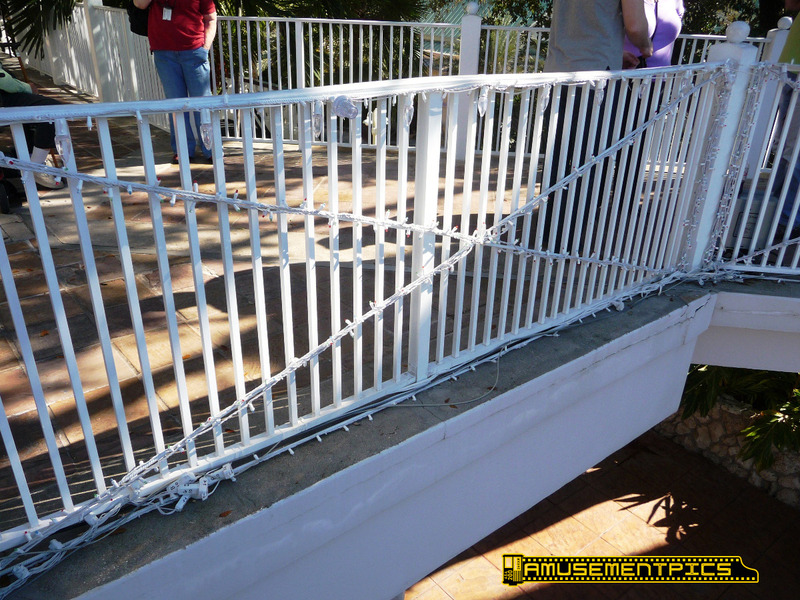 The fresh paint looks really good compared to the original paint. 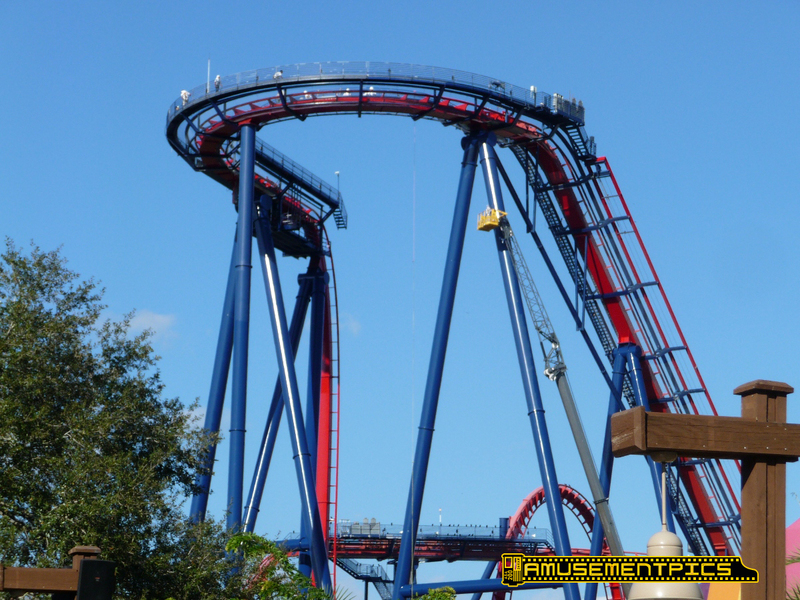 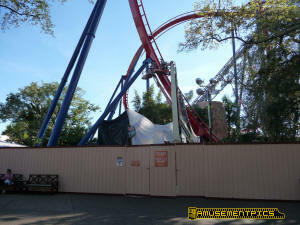 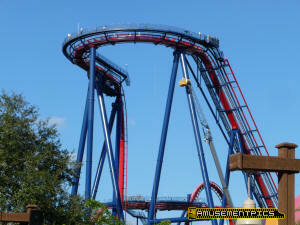 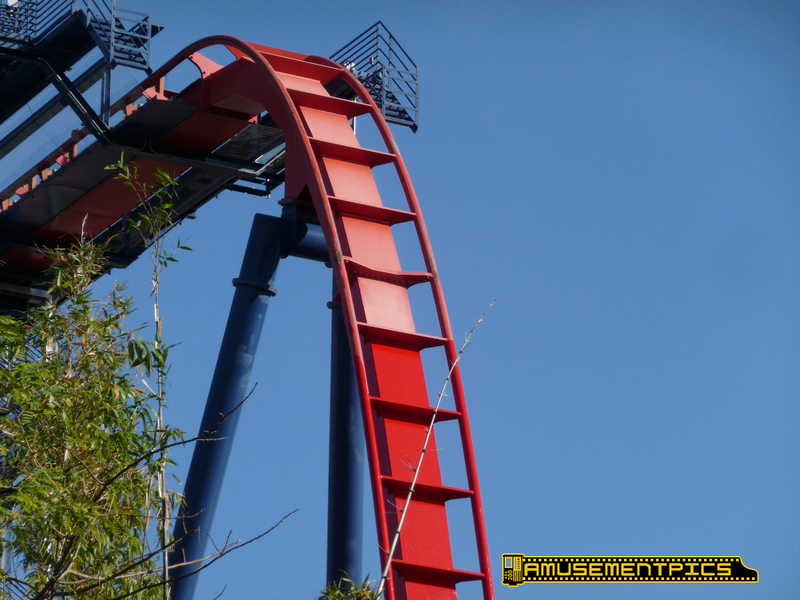 All around the crews are freshening up the blue and red paint. 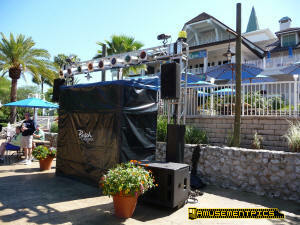 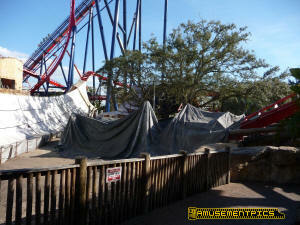 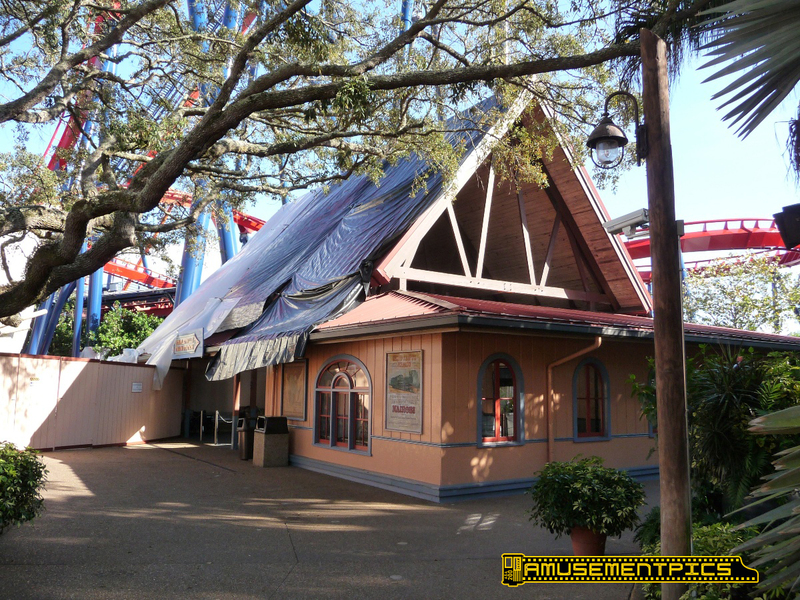 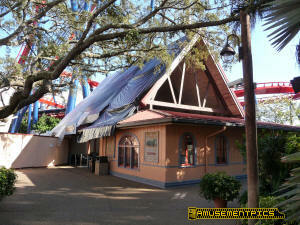 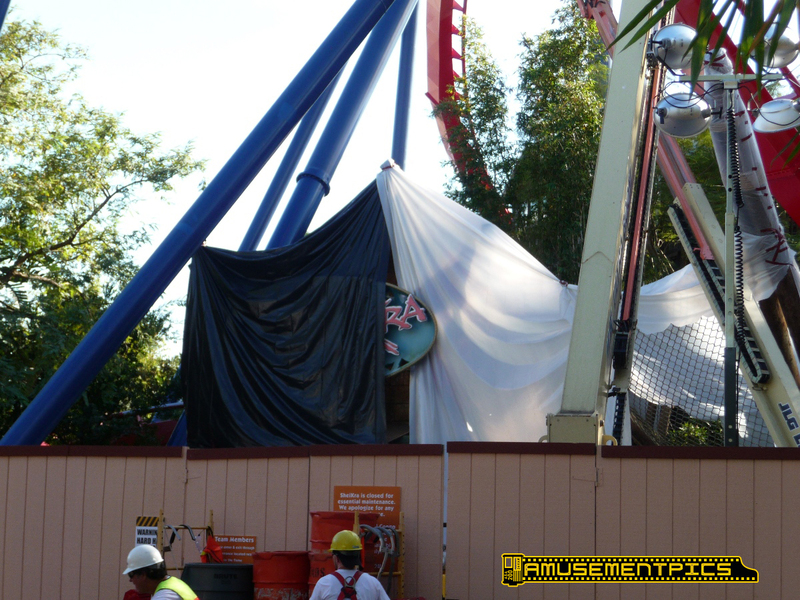 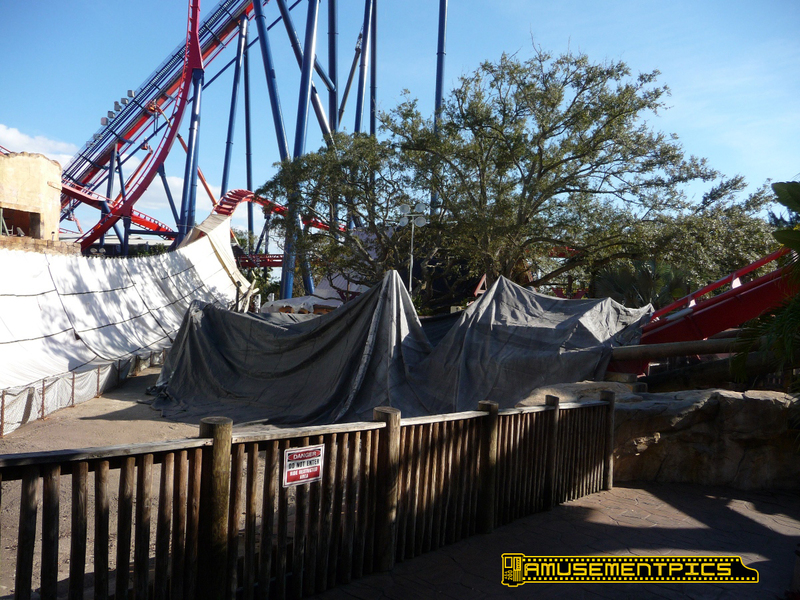 The water splash area is covered in tarps for the paint project. 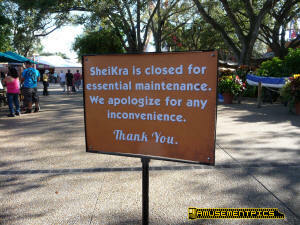 in some areas. 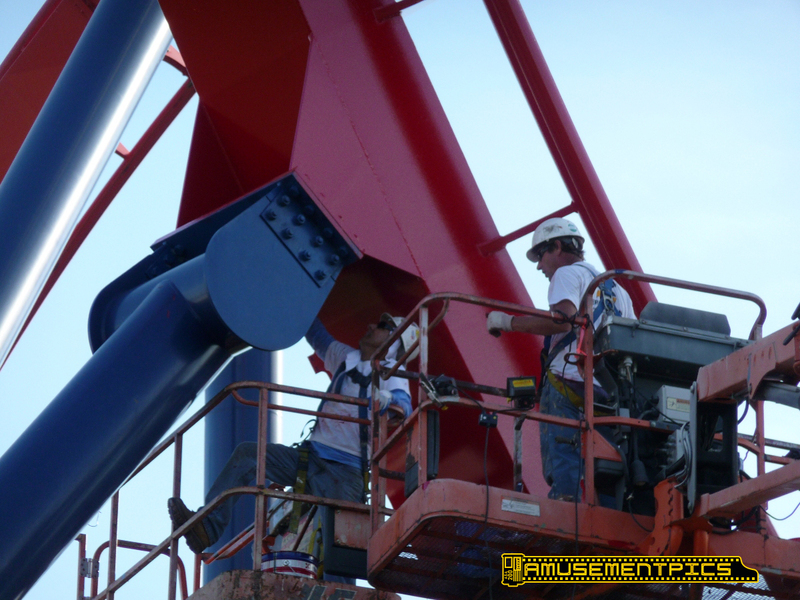 This is a big painting project! There is a wide variety of cranes and other trucks being used to reach all of the parts. 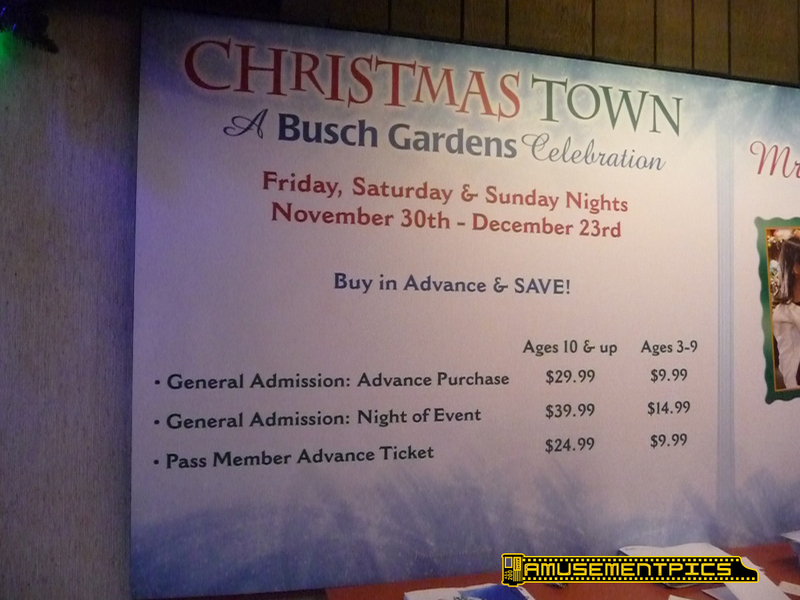 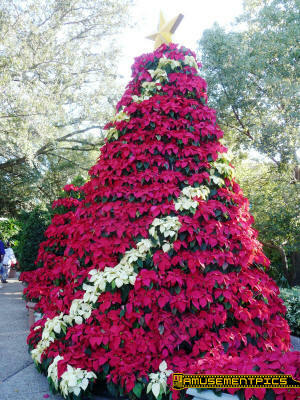 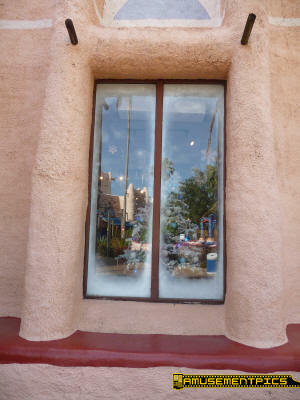 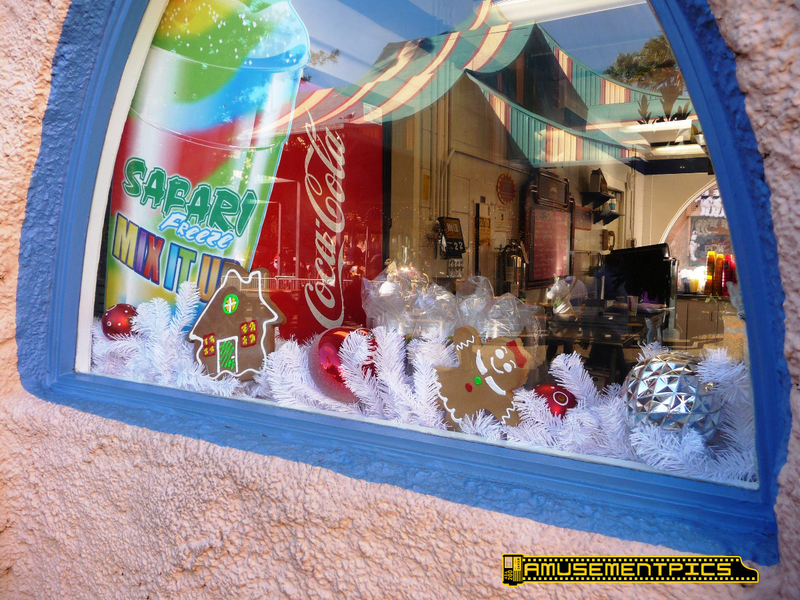 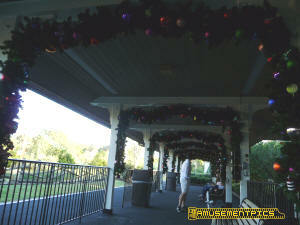 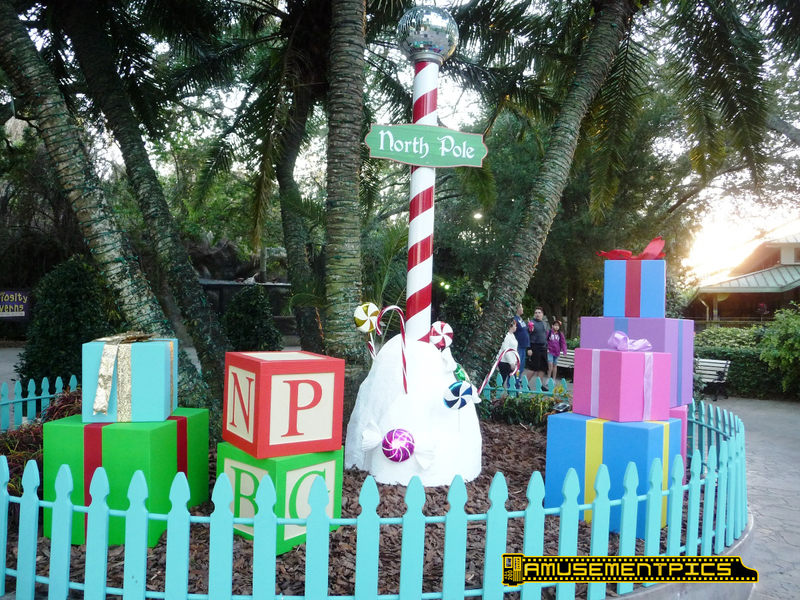 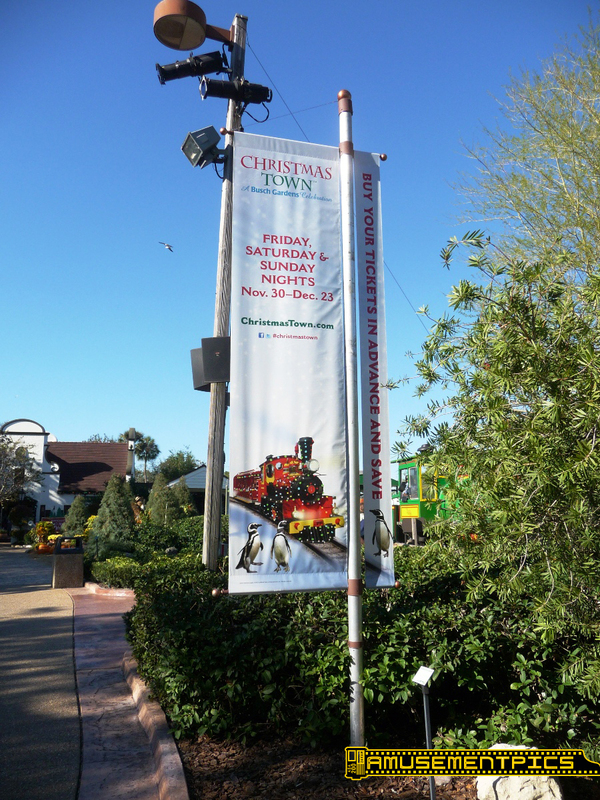 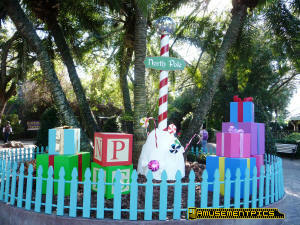 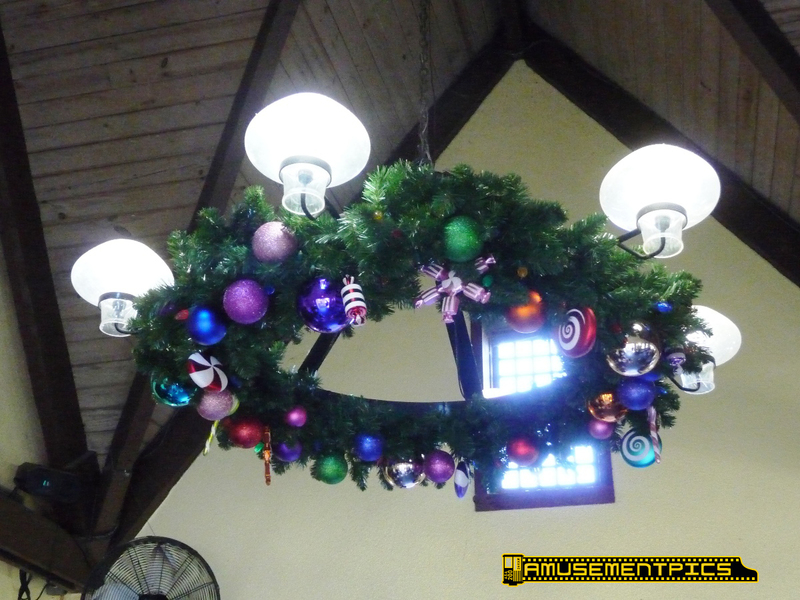 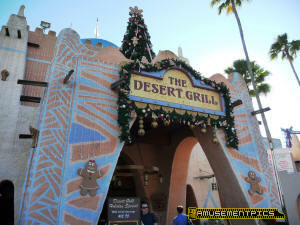 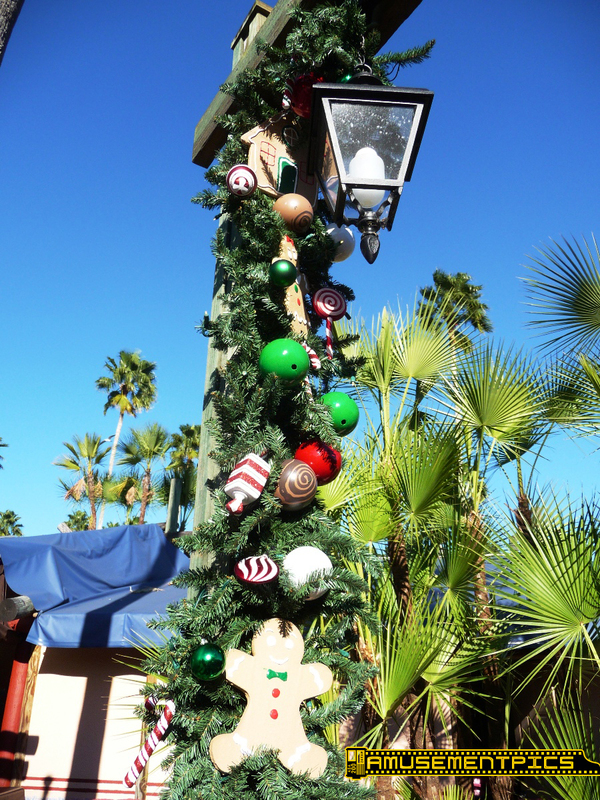 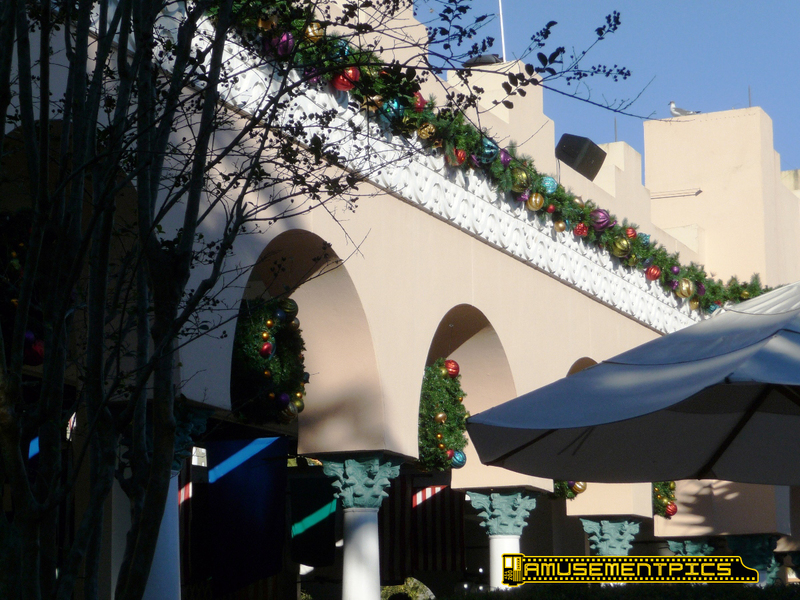 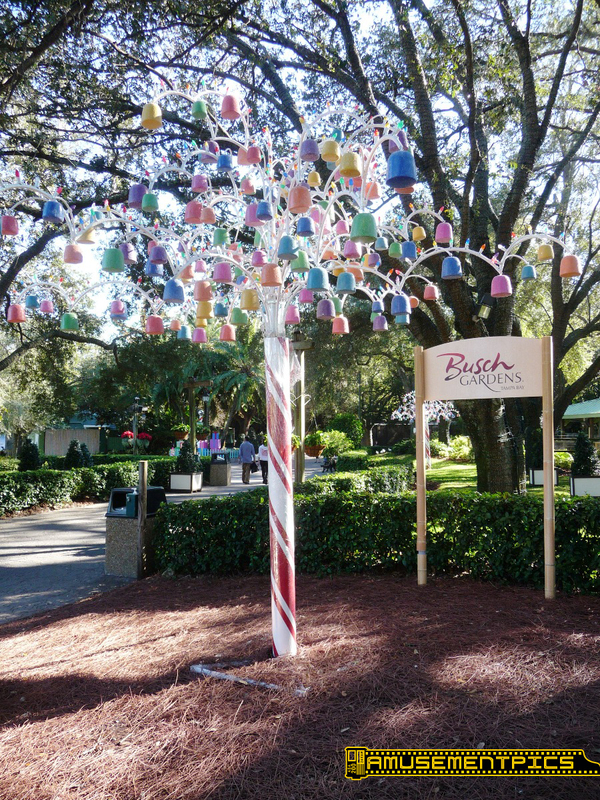 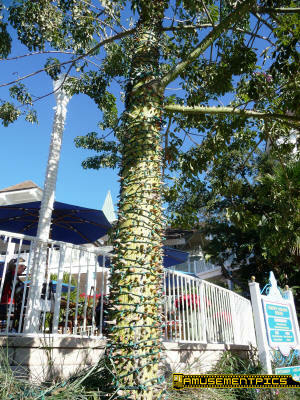 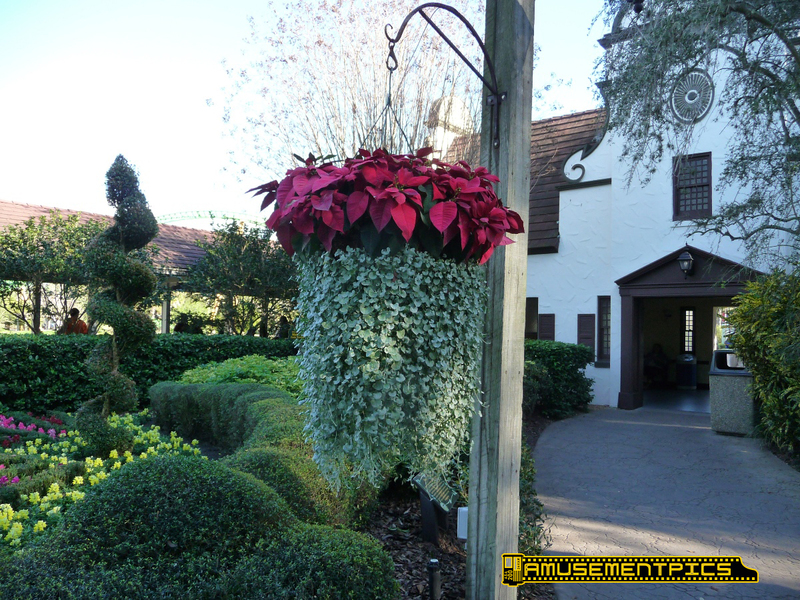 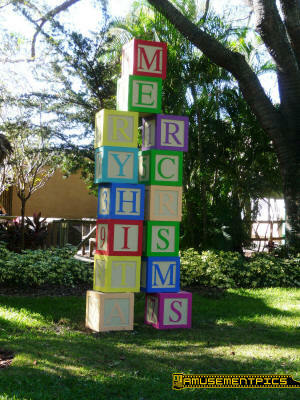 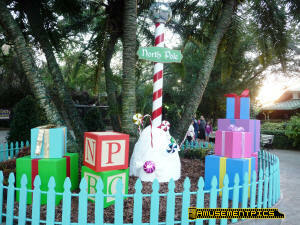 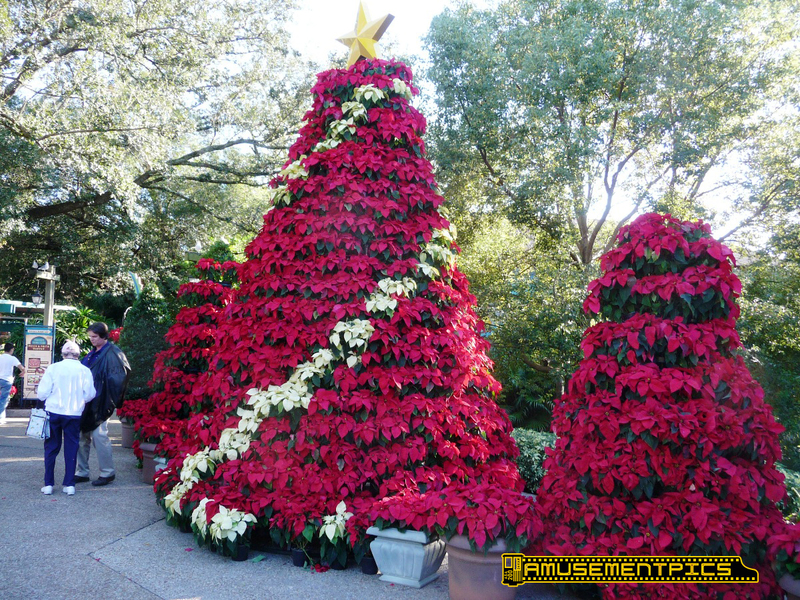 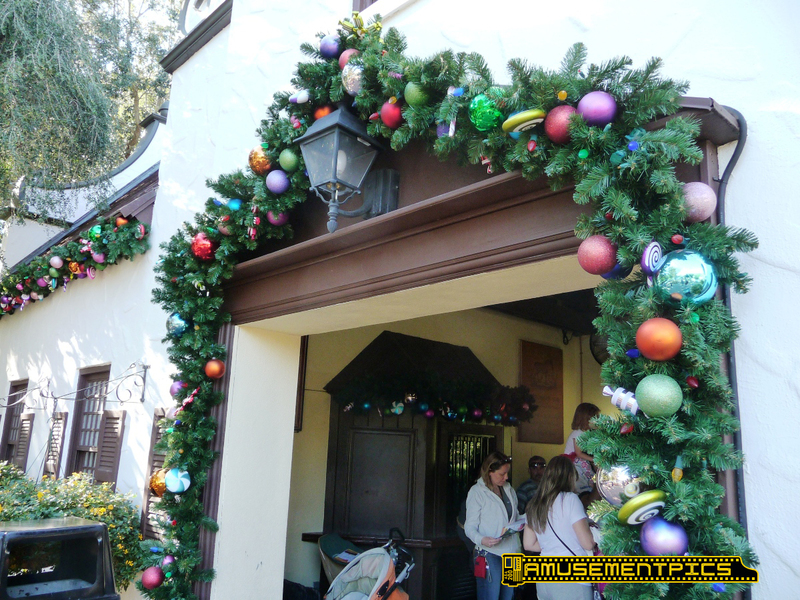 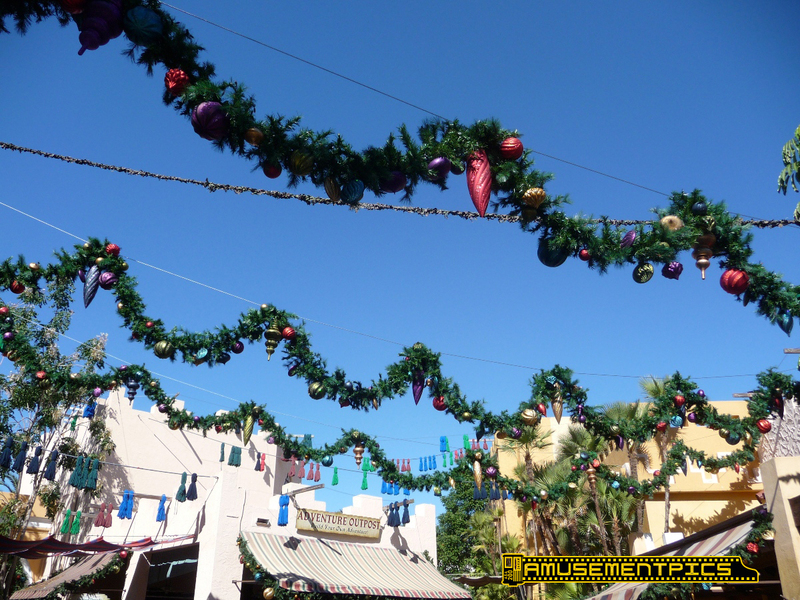 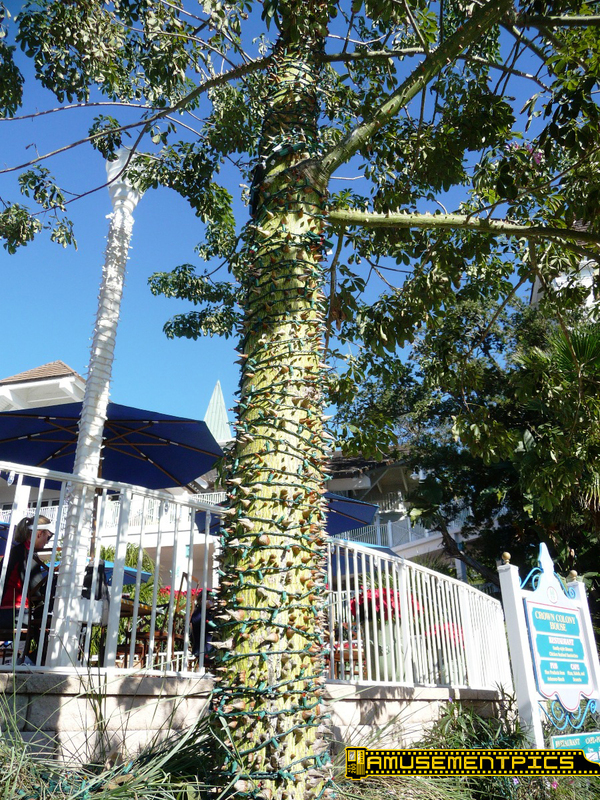 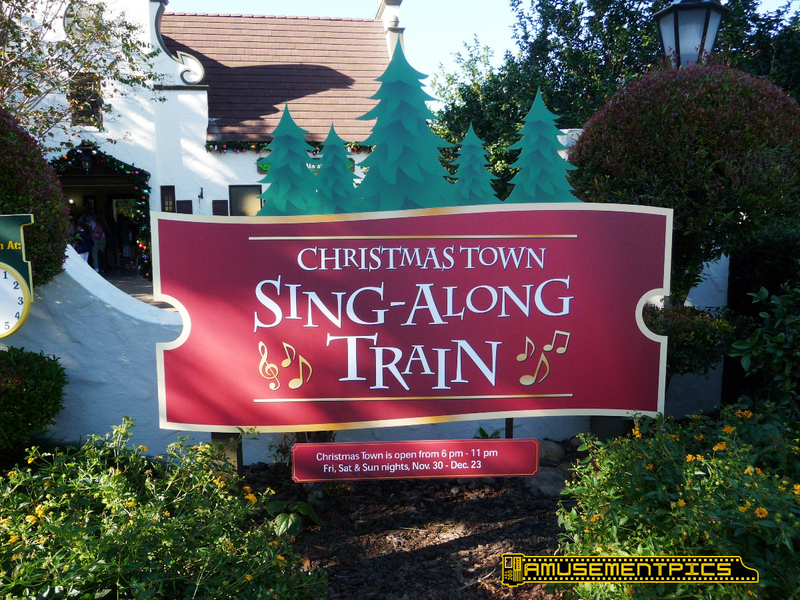 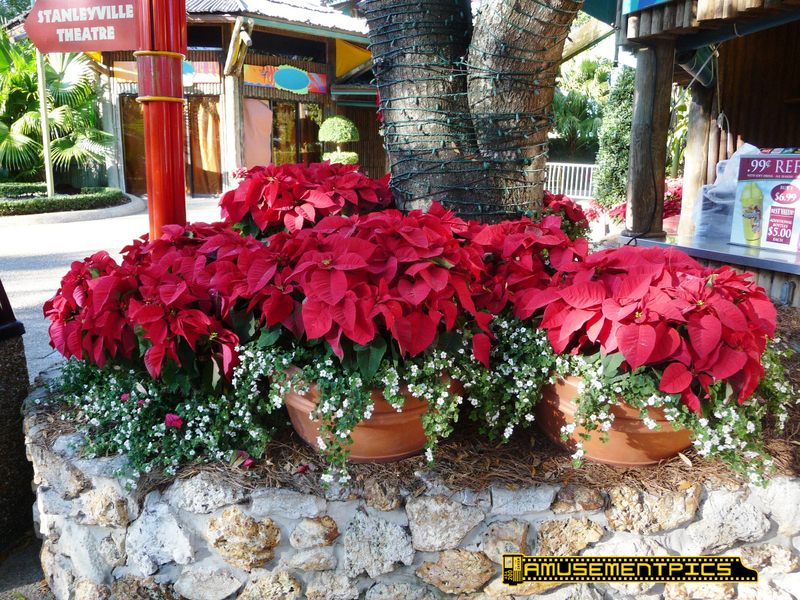 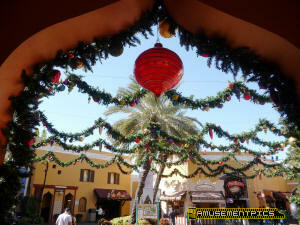 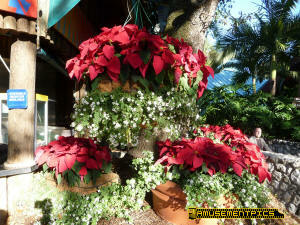 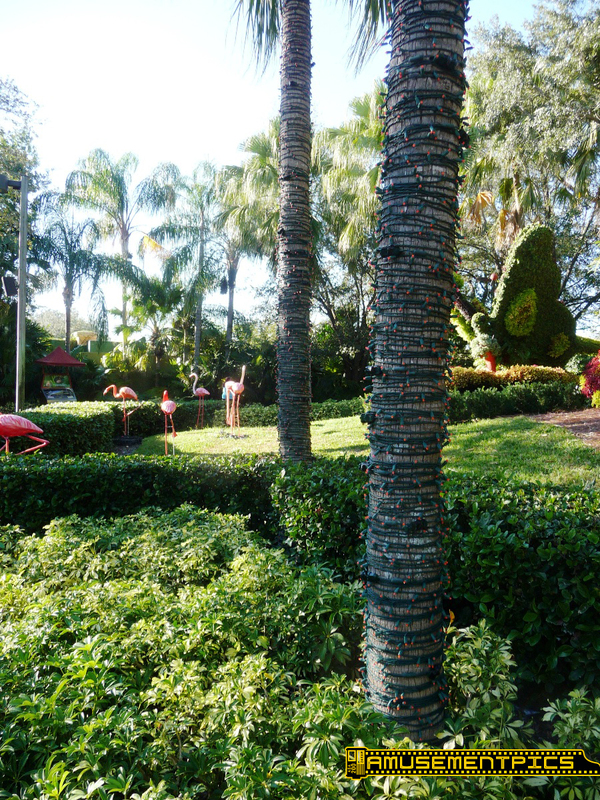 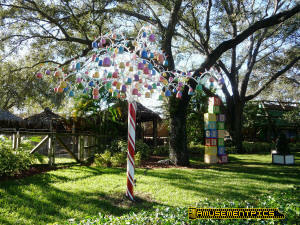 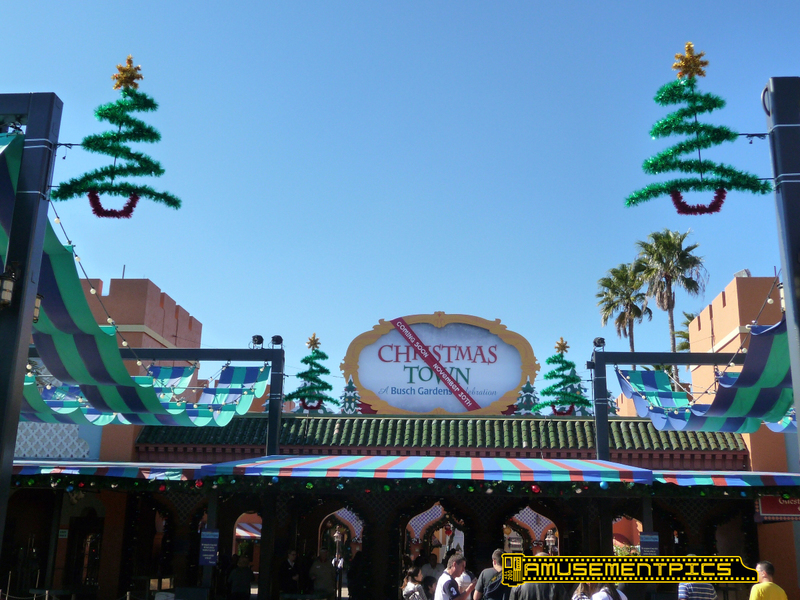 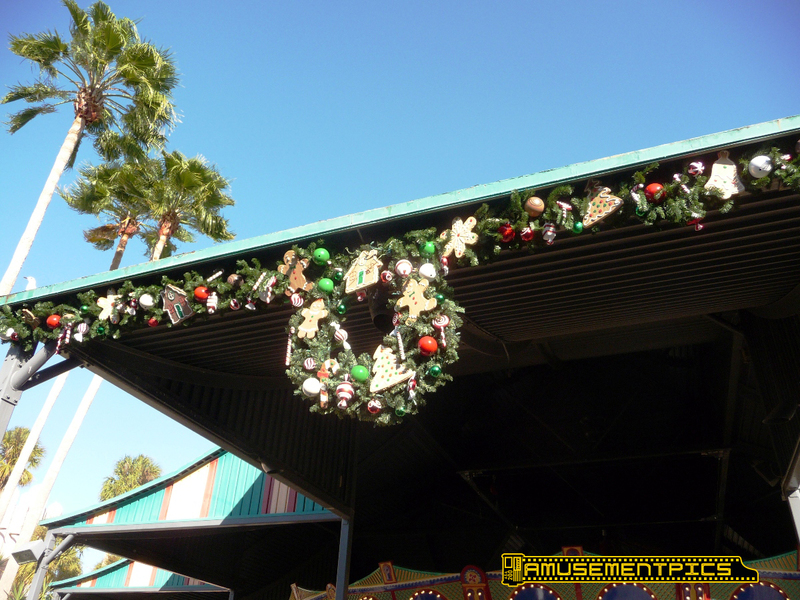 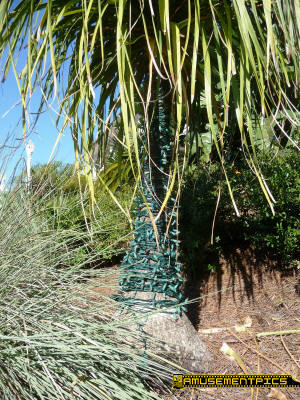 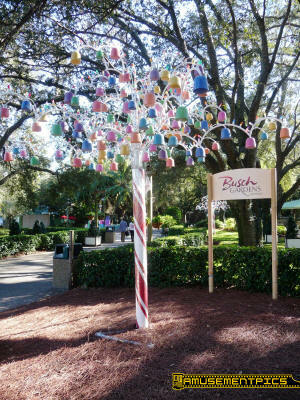 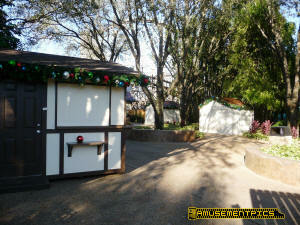 Vestiges of Christmas Town are still visible around the park. 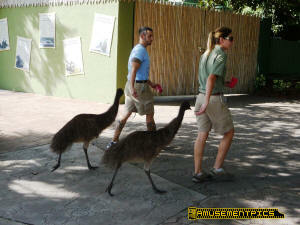 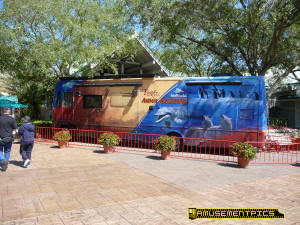 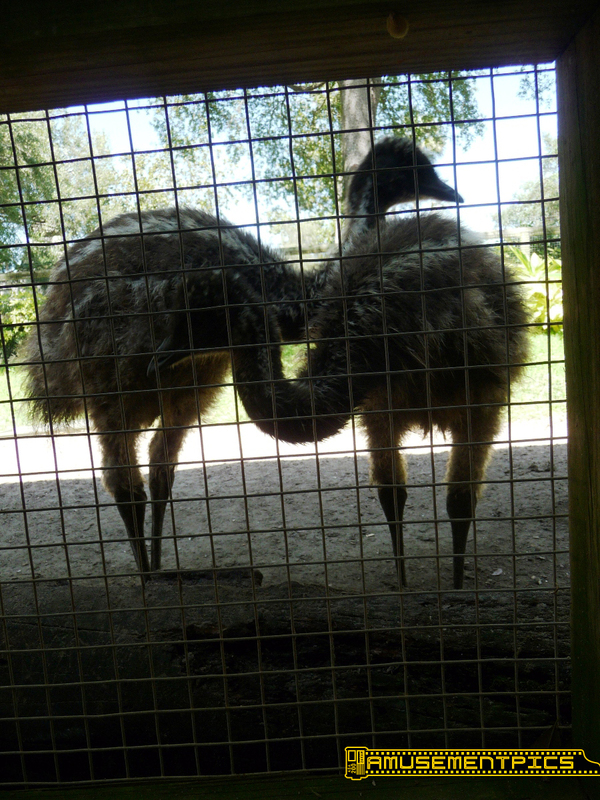 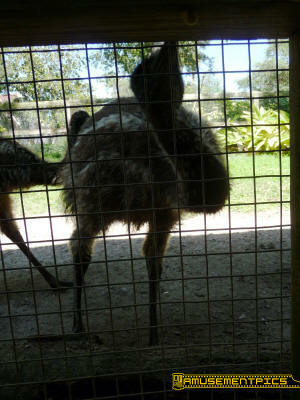 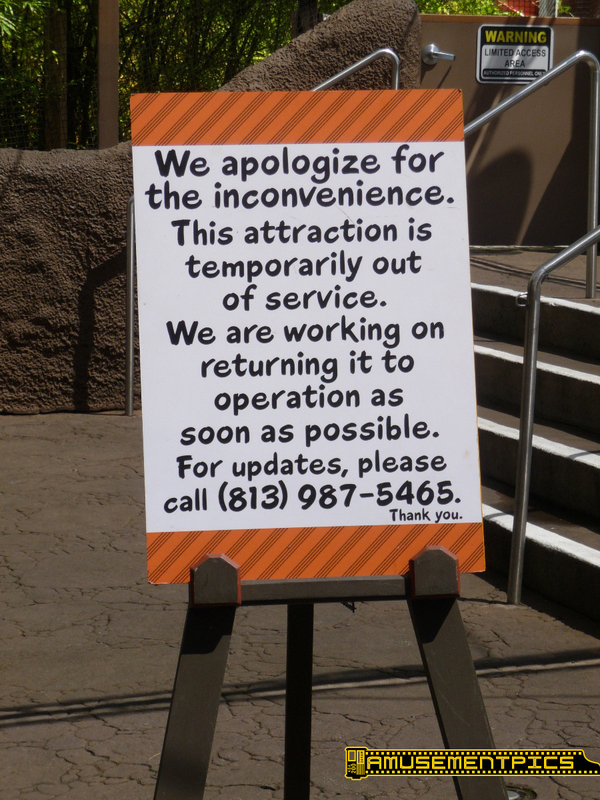 still available in Safari of Fun. 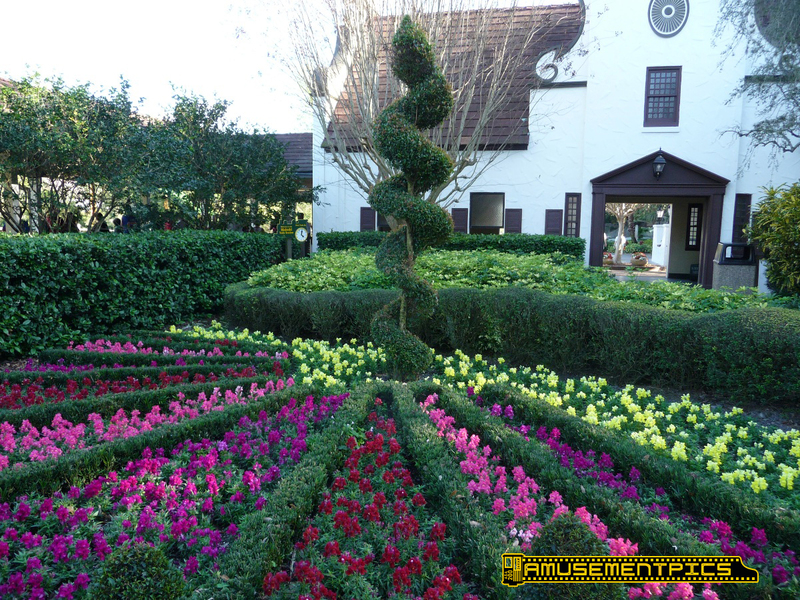 There's a lot of spring flowers throughout the park. 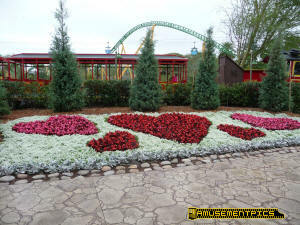 And hearts for Valentines Day! 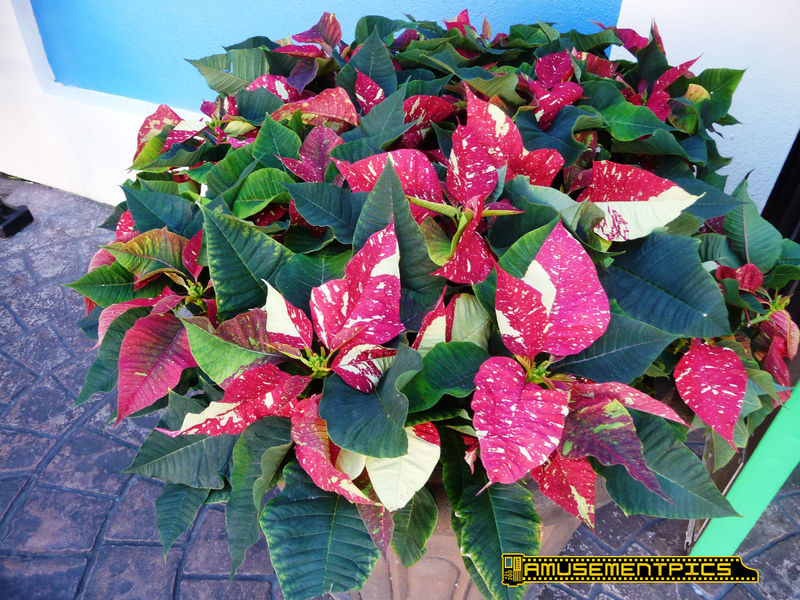 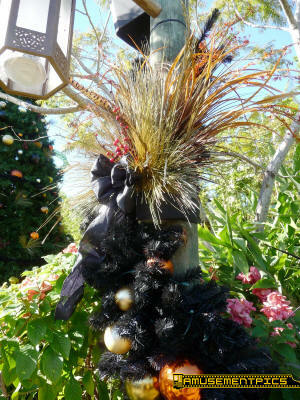 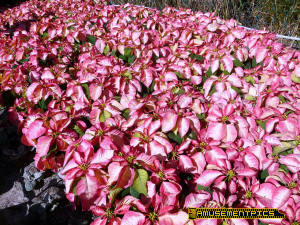 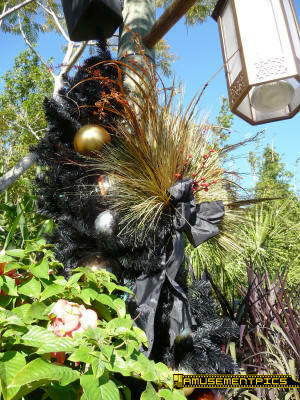 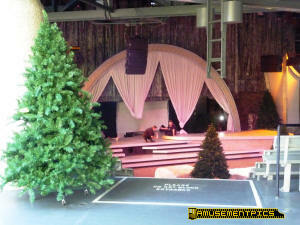 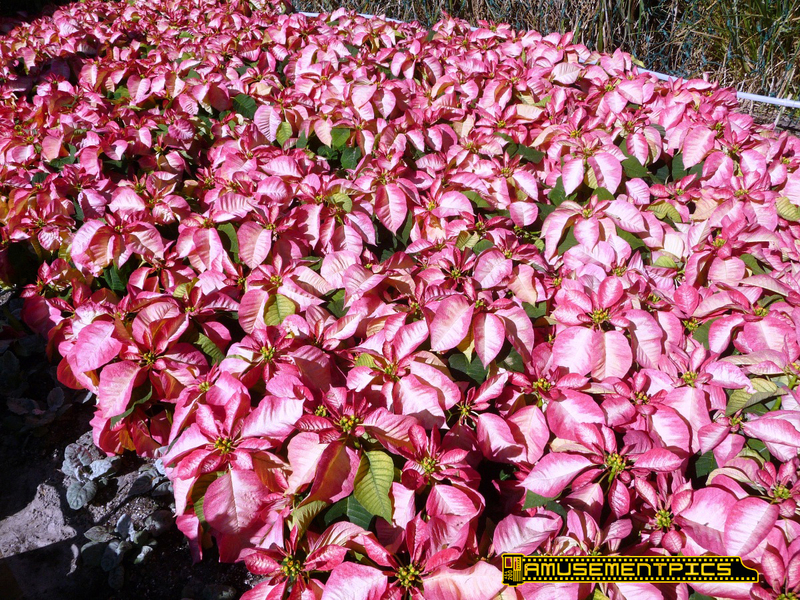 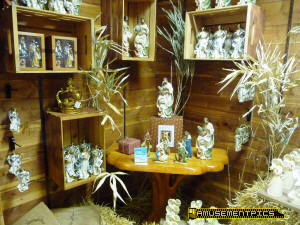 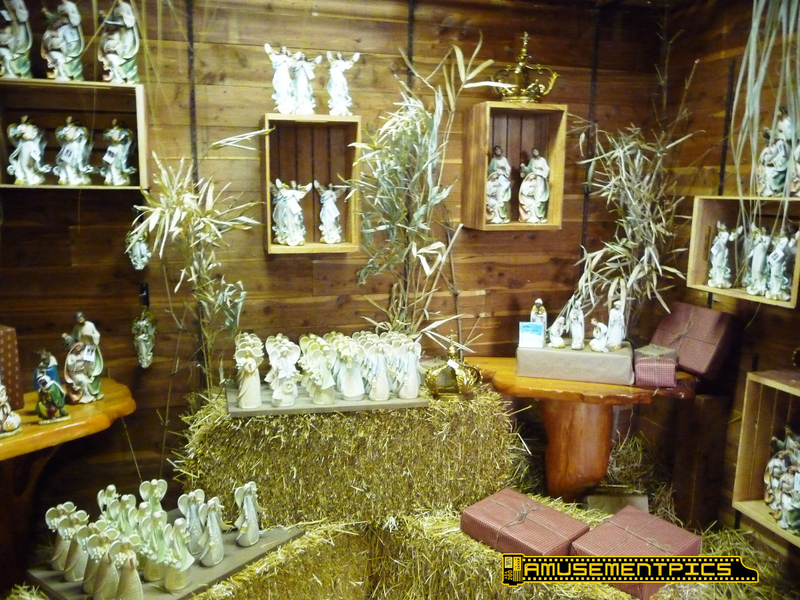 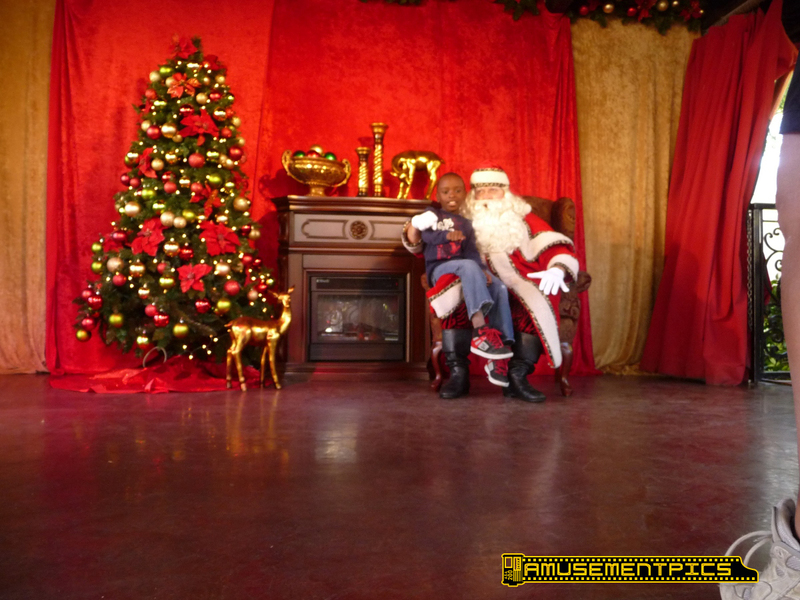 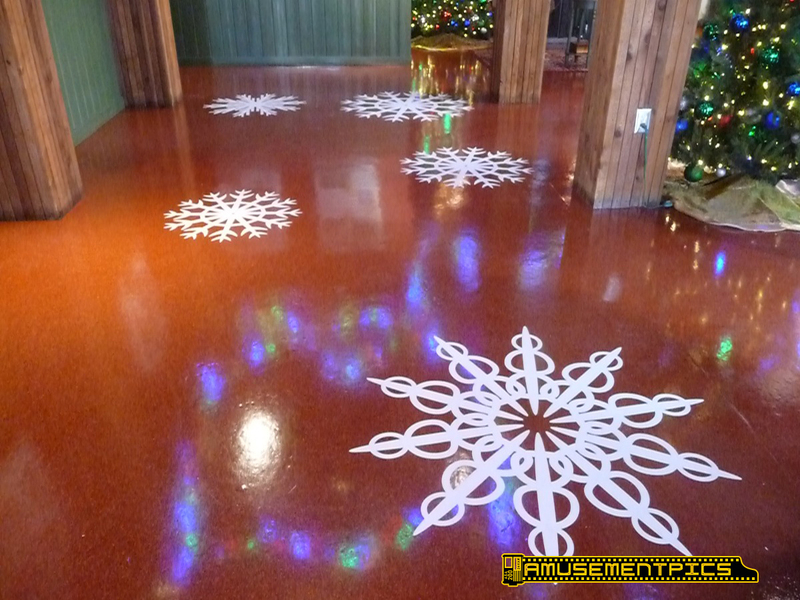 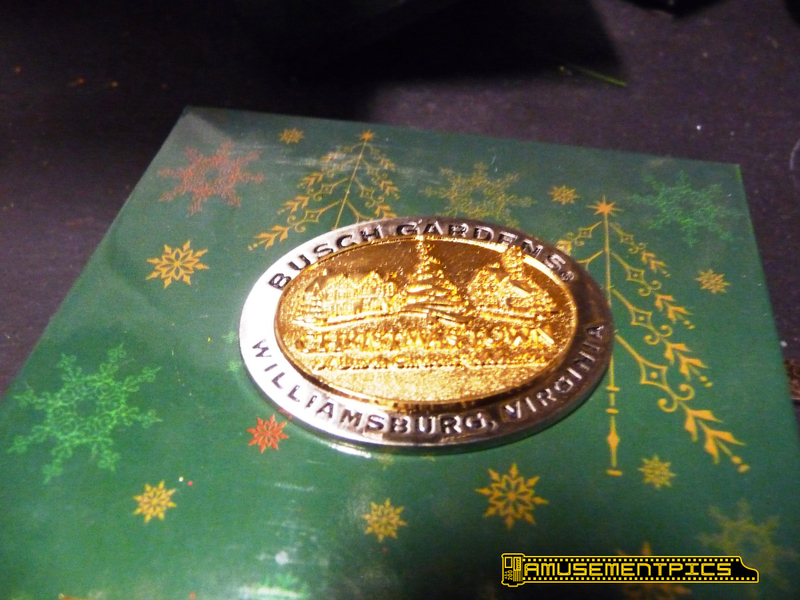 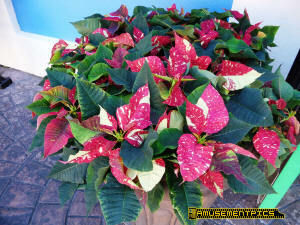 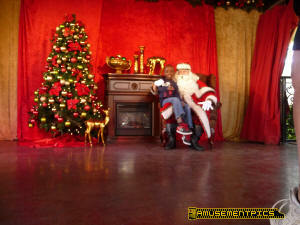 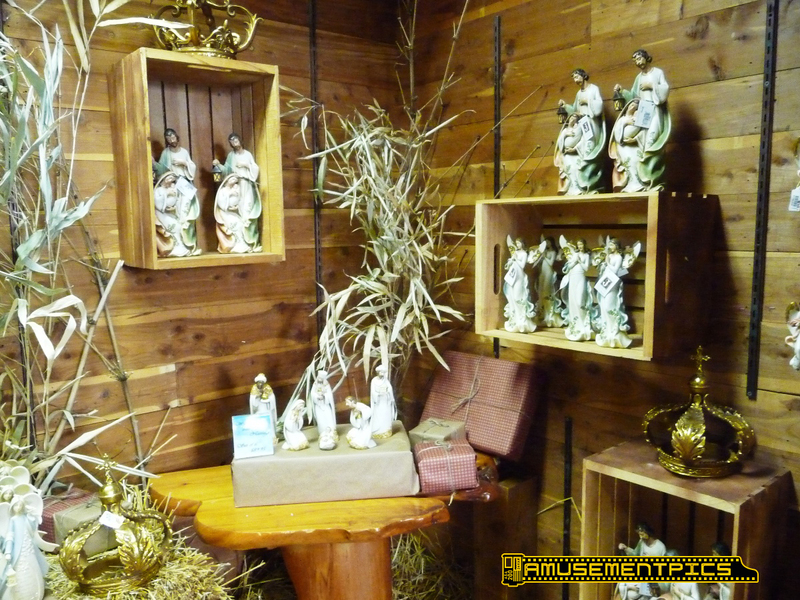 While the outside is the African desert, inside it's Christmas! 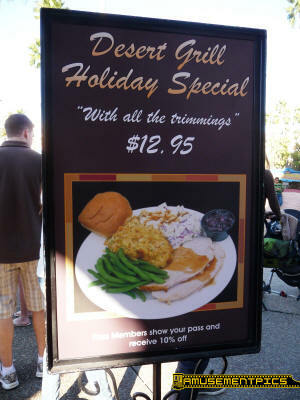 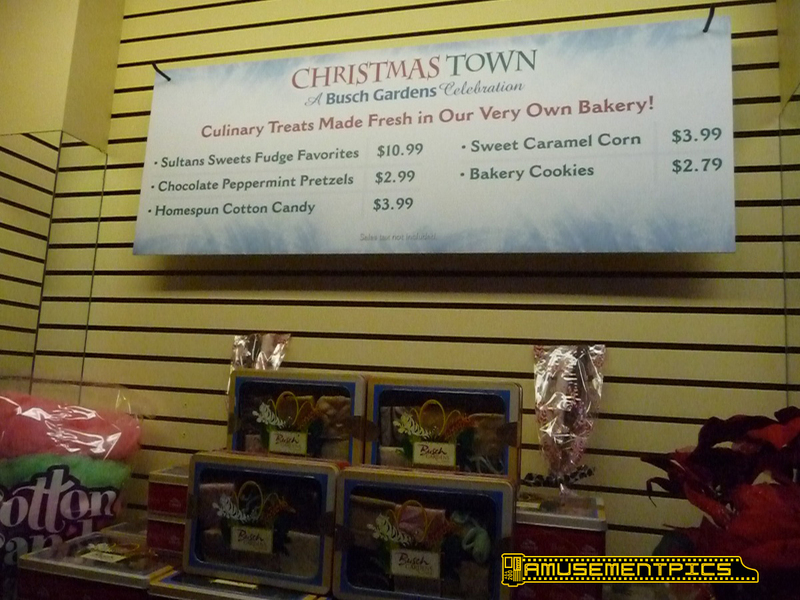 Some of the holiday snacks are already available. 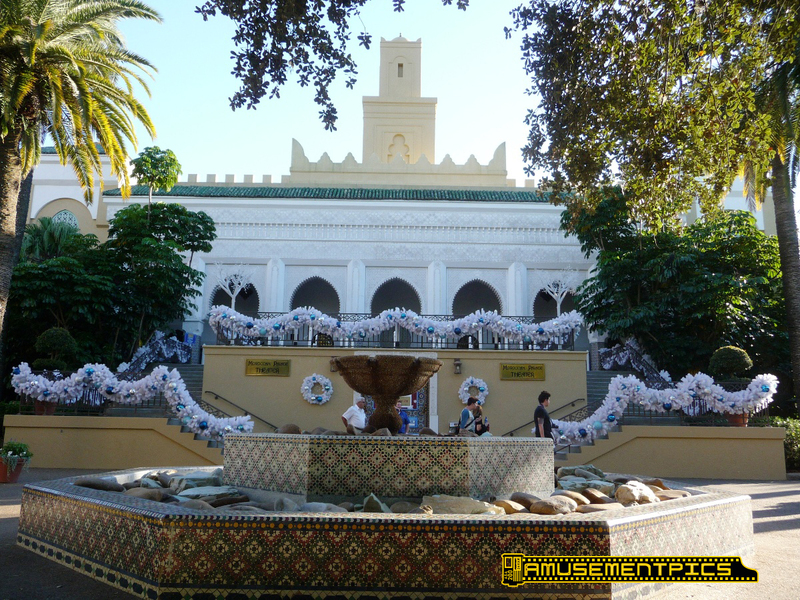 Moroccan Palace Theater The Sesame Street area looks like it will be colorful and bright. 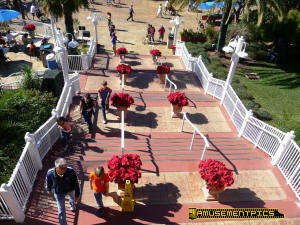 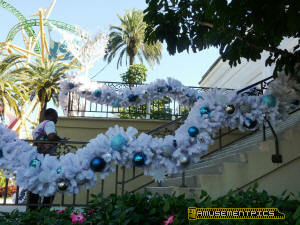 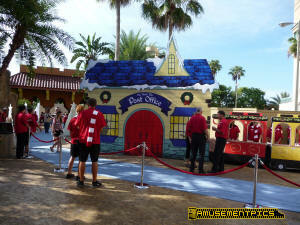 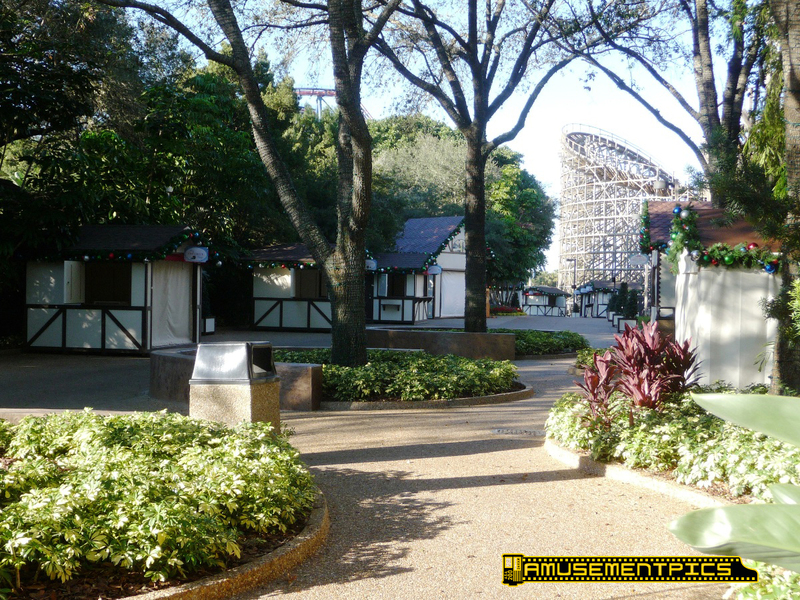 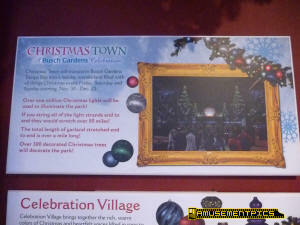 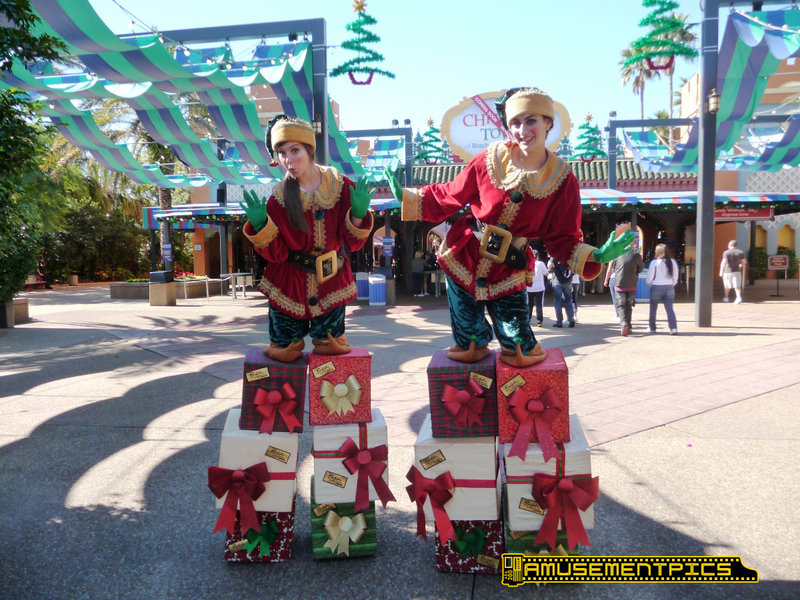 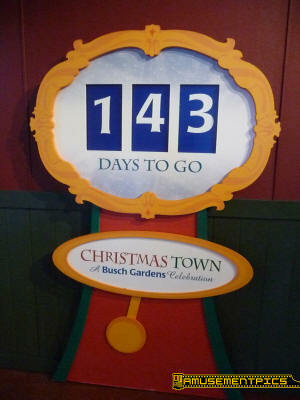 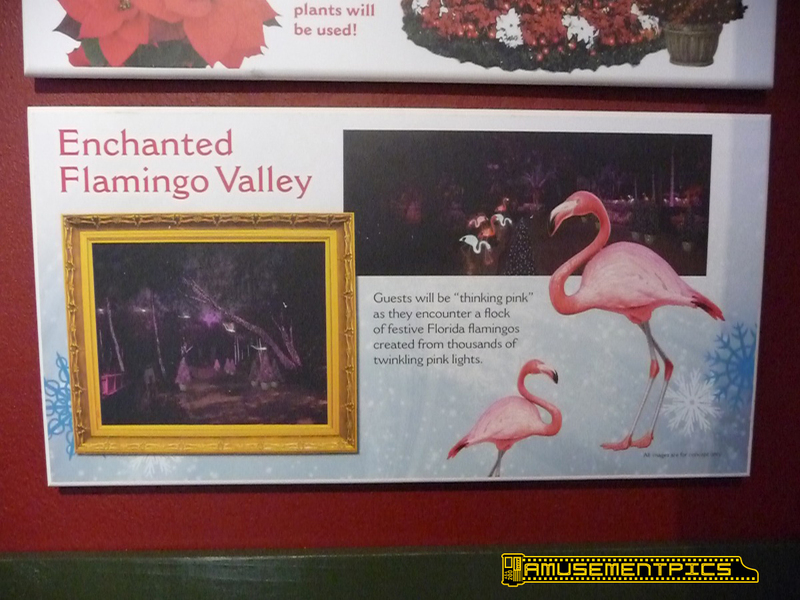 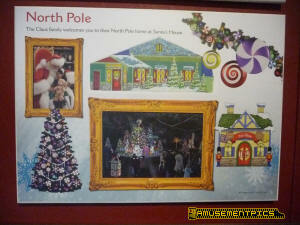 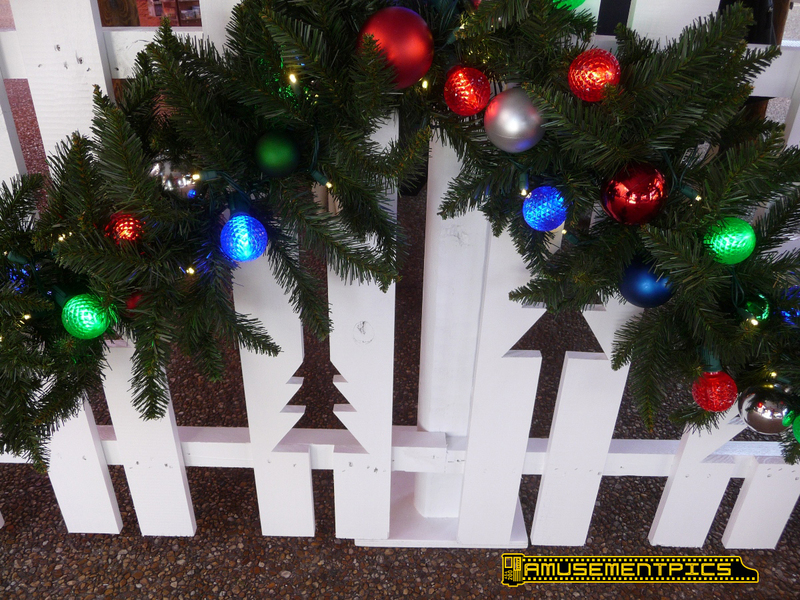 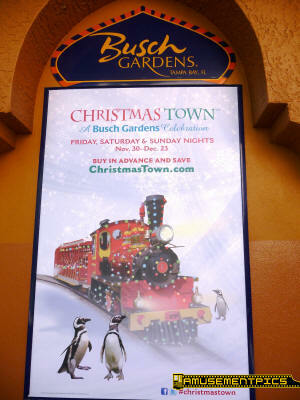 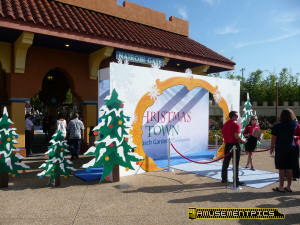 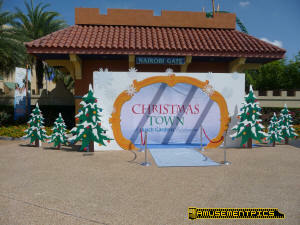 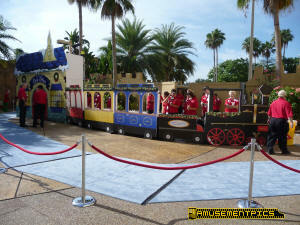 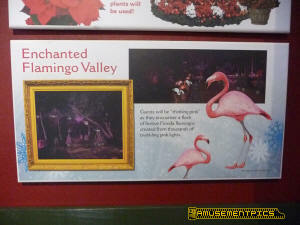 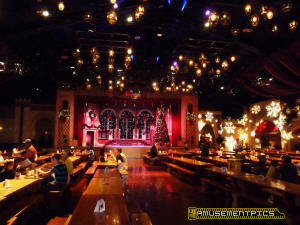 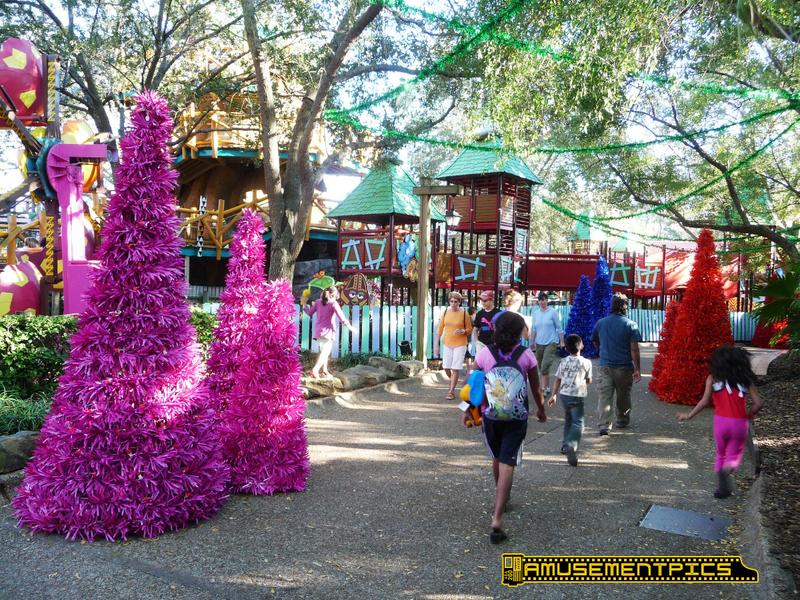 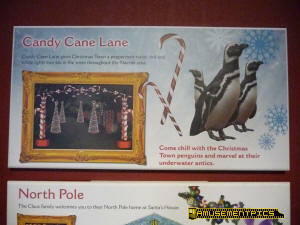 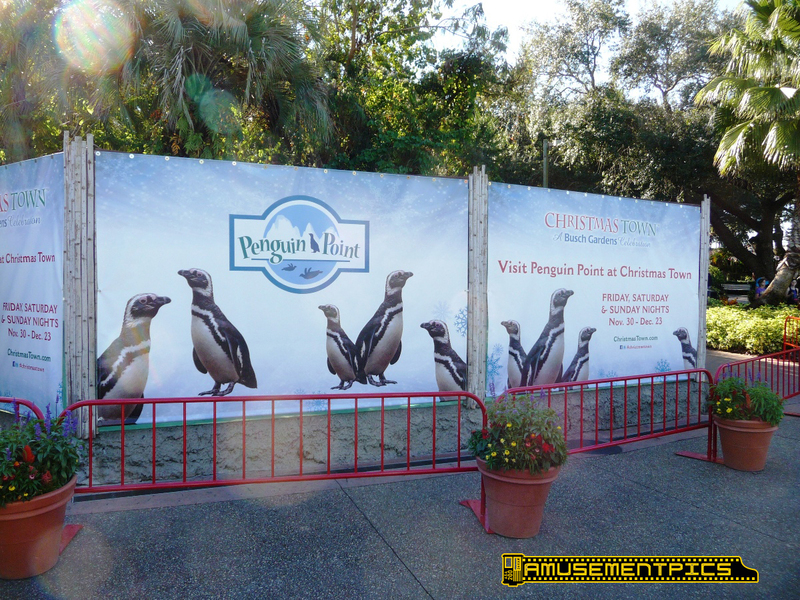 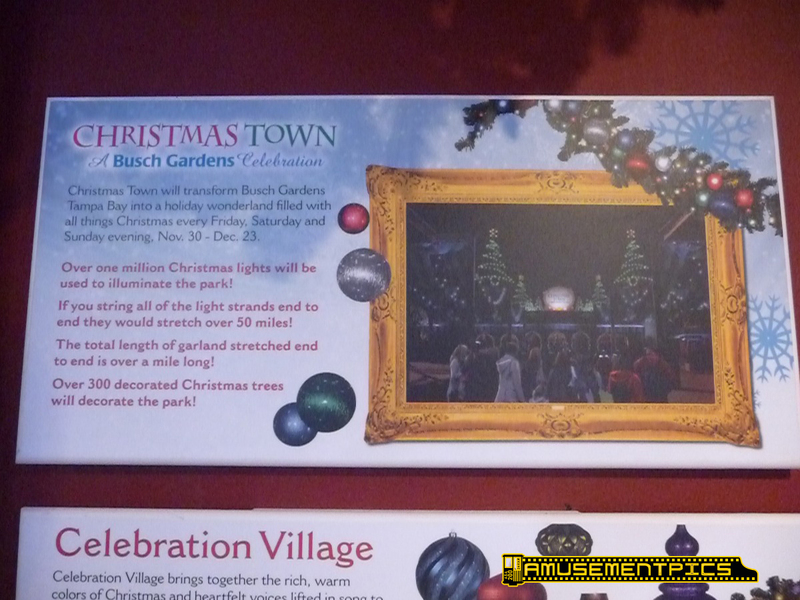 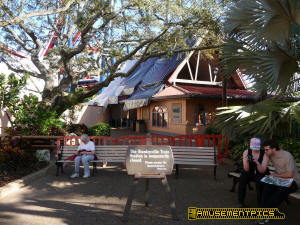 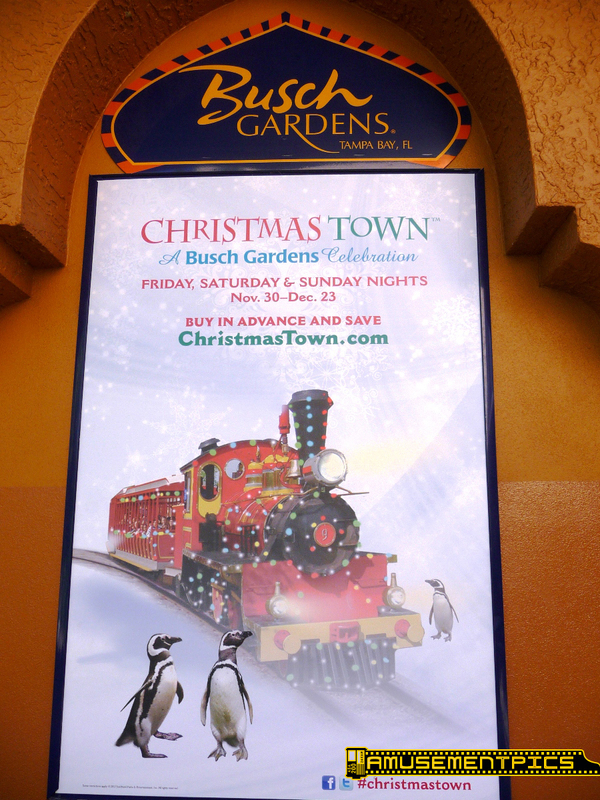 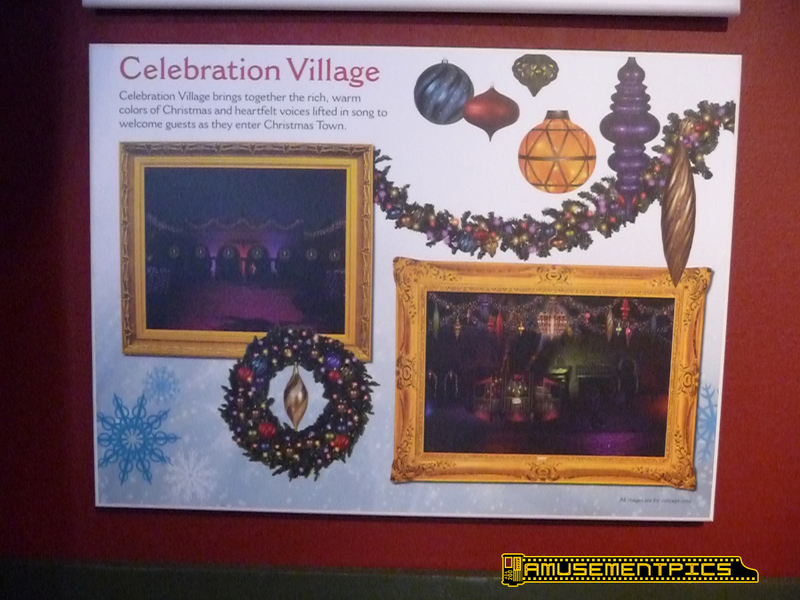 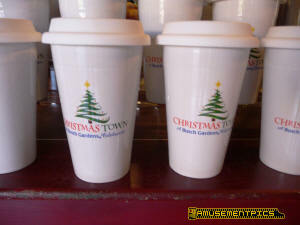 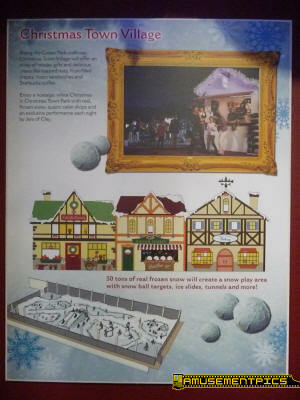 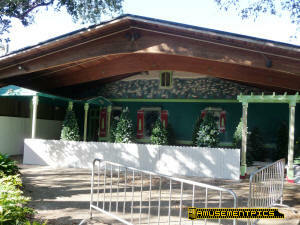 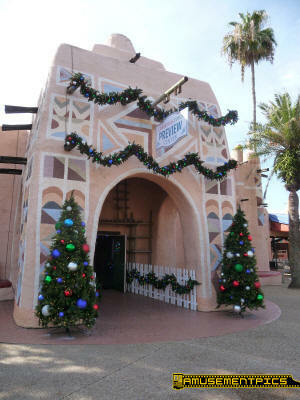 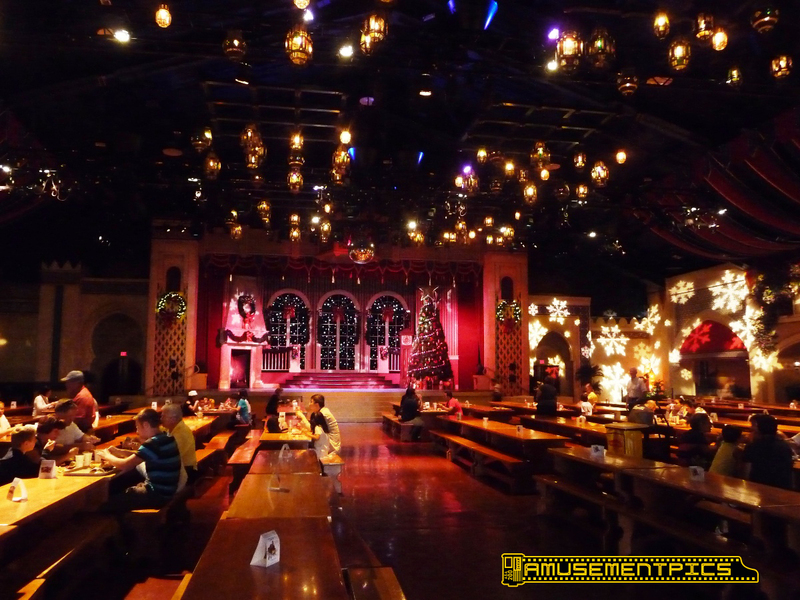 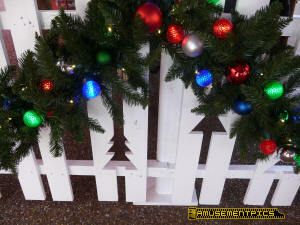 Christmas Town Village will be along the pathway near Gwazi, and will include an indoor snow area. 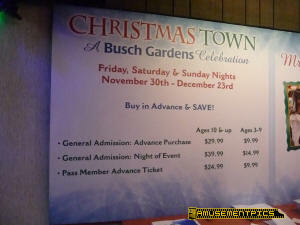 Tickets are already on sale, and guests are already buying them. 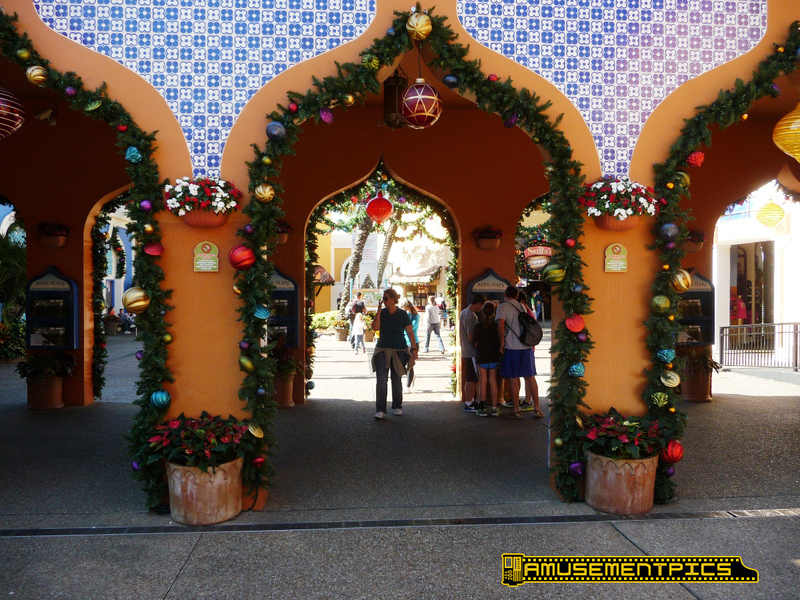 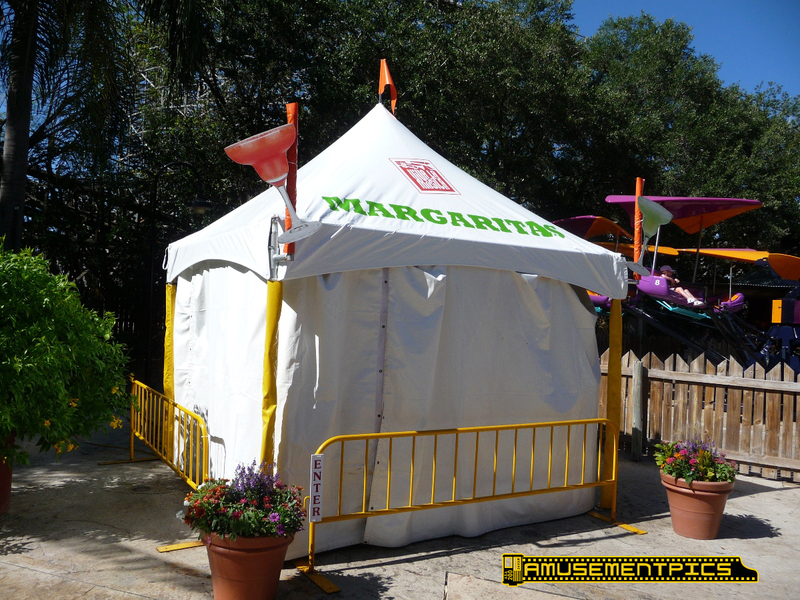 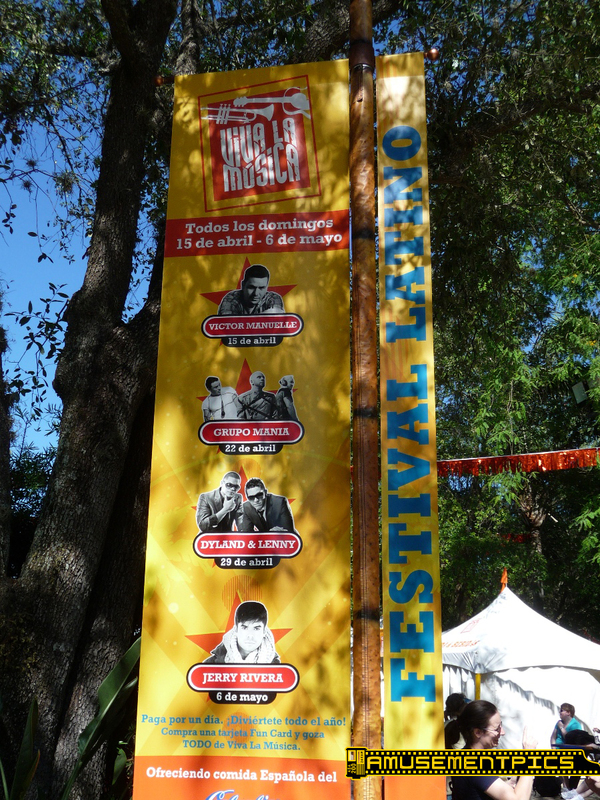 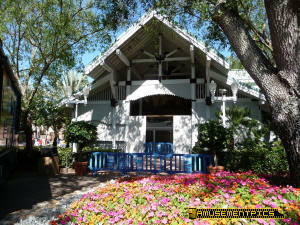 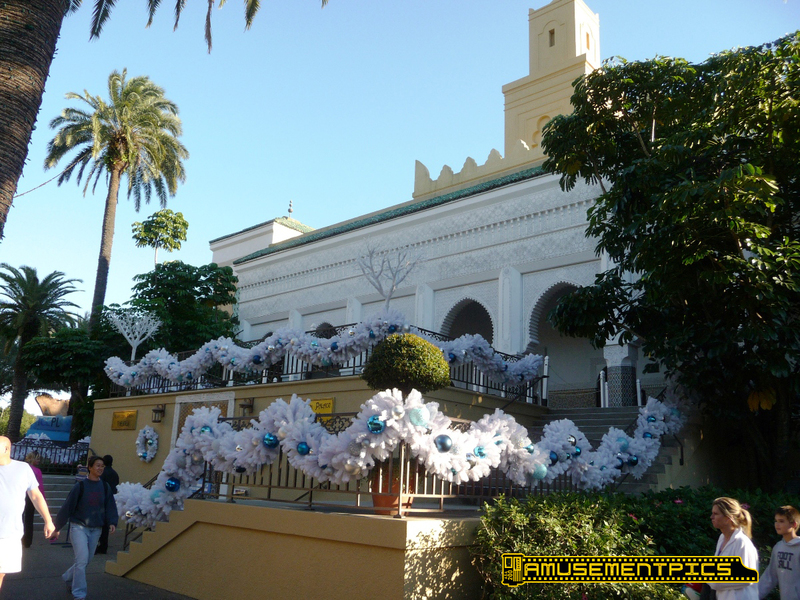 The Morocco area will be the colorful Celebration Village. 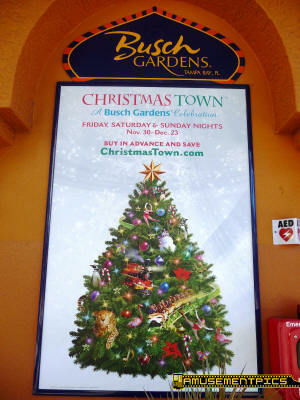 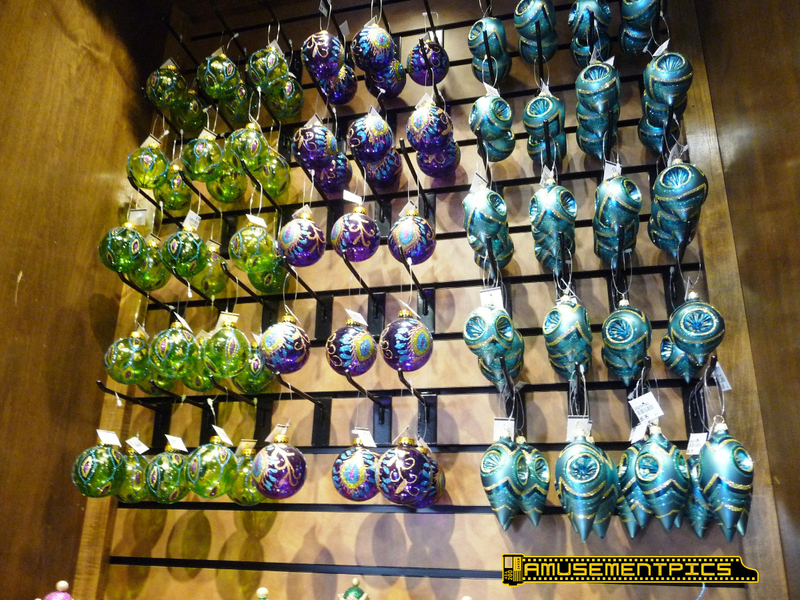 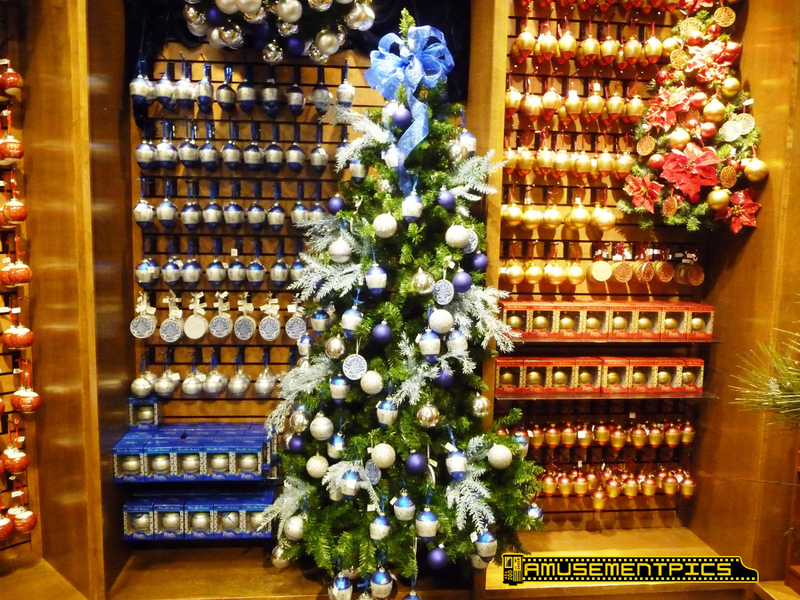 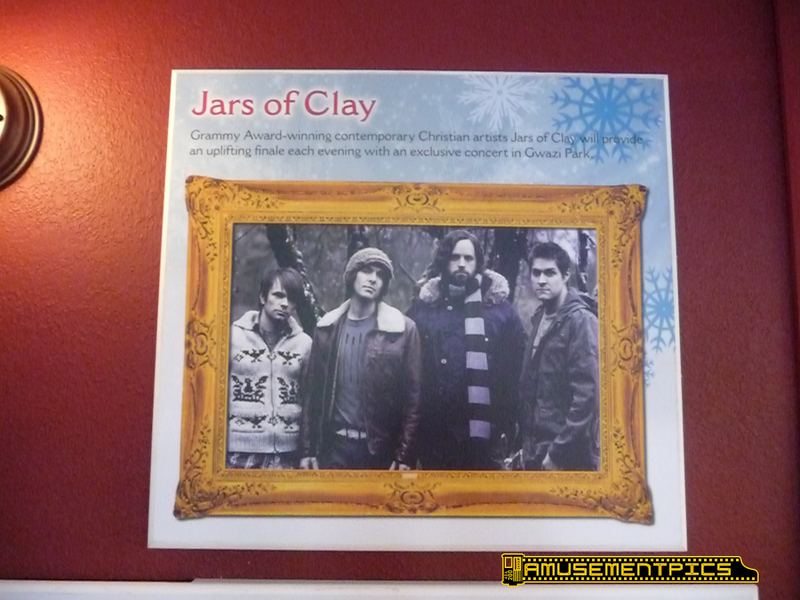 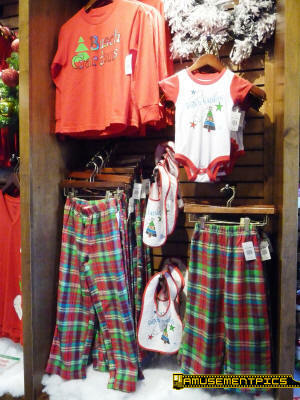 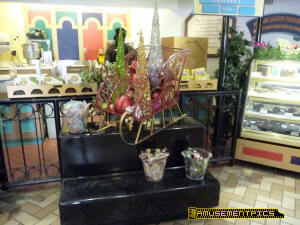 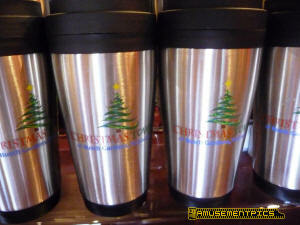 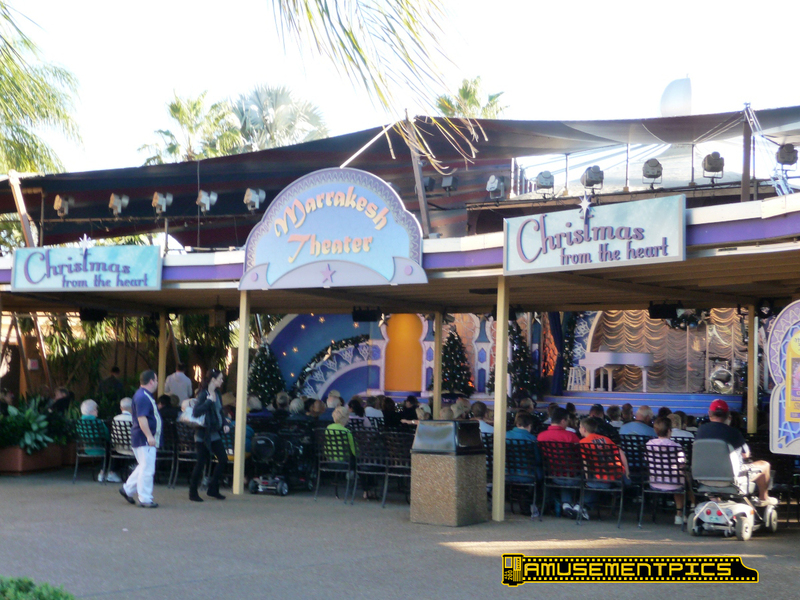 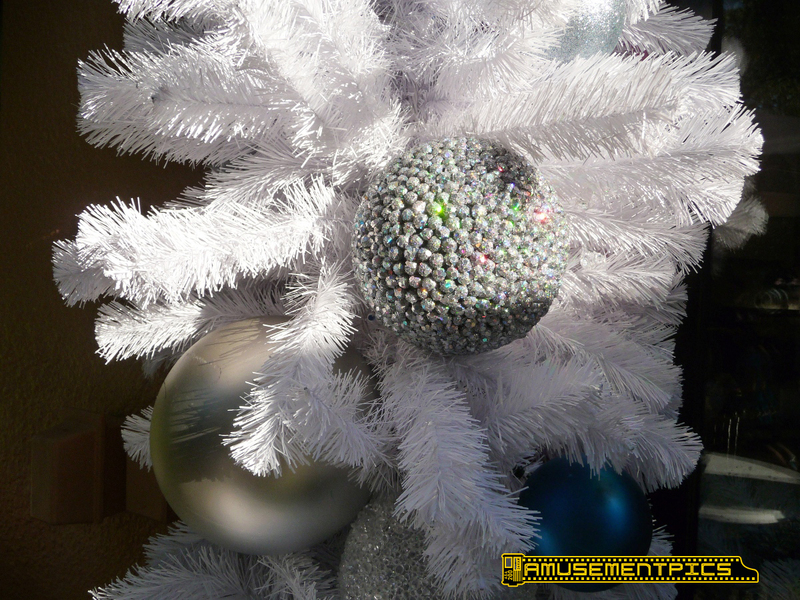 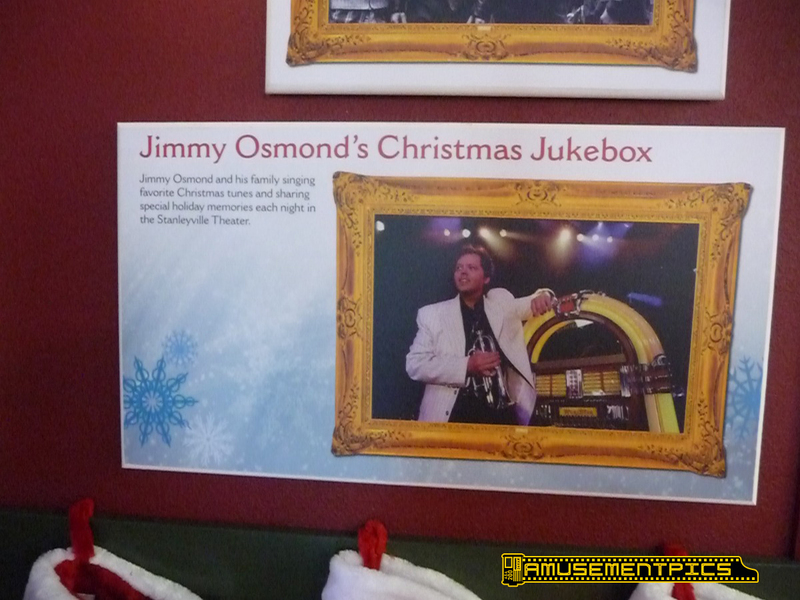 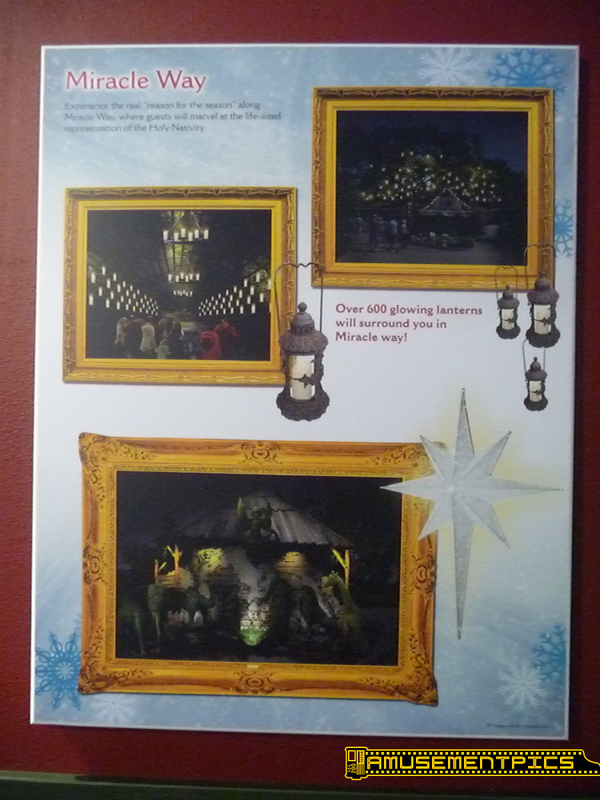 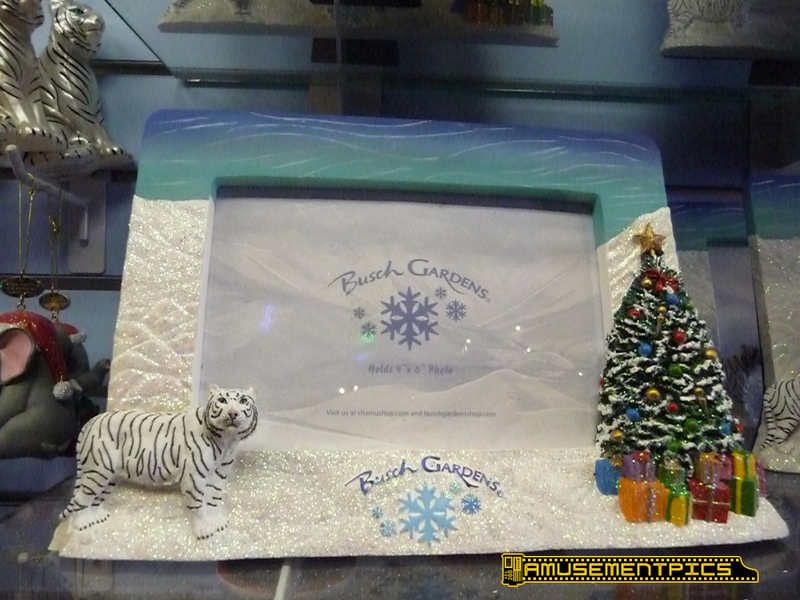 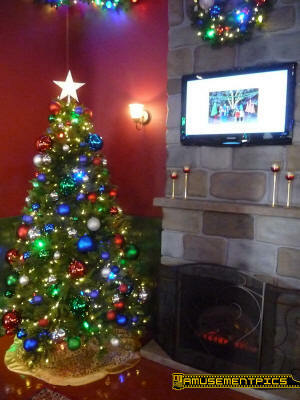 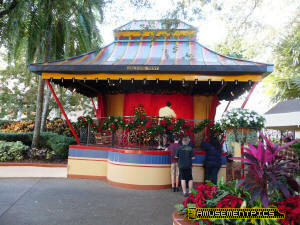 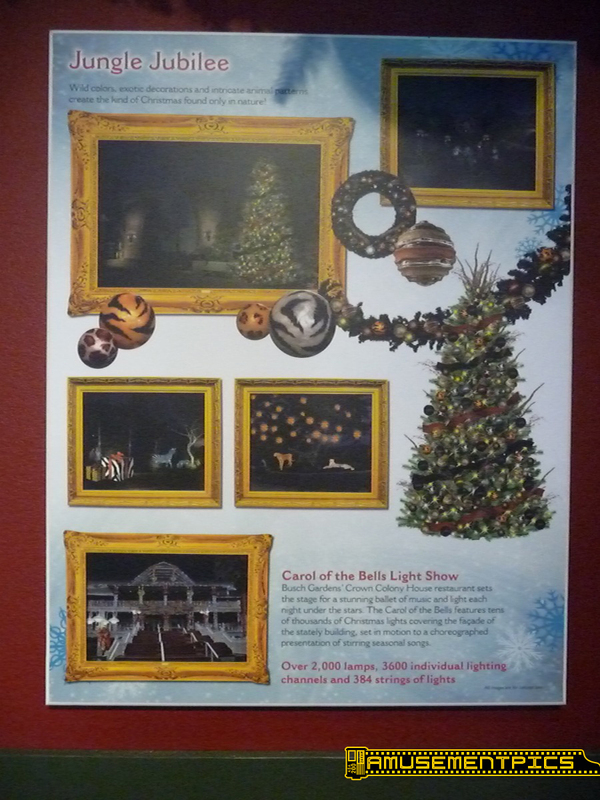 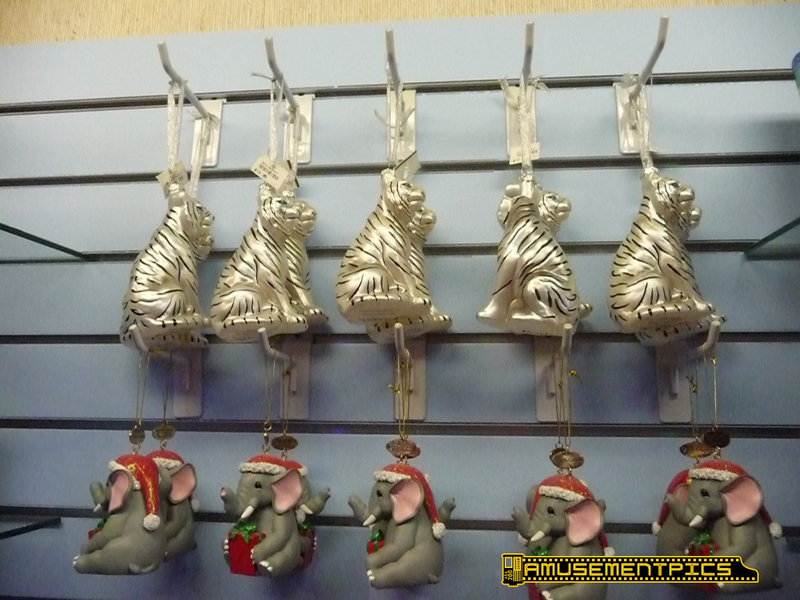 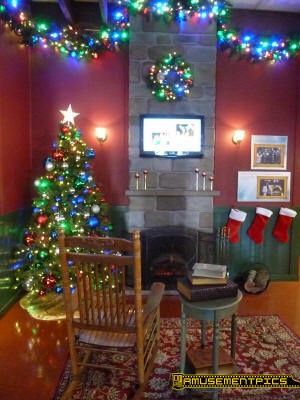 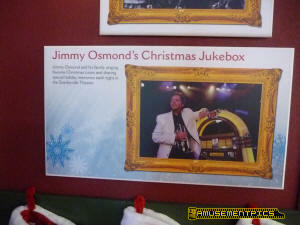 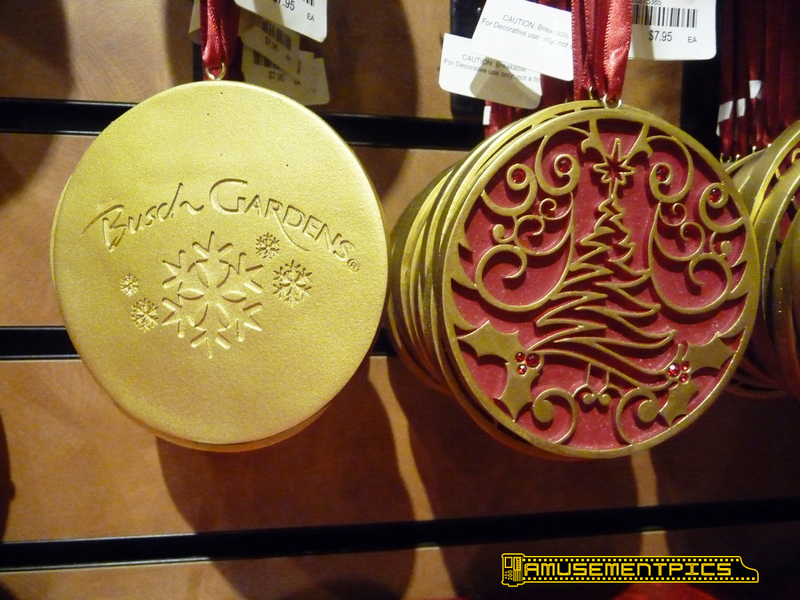 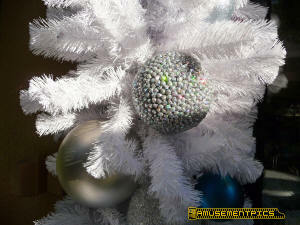 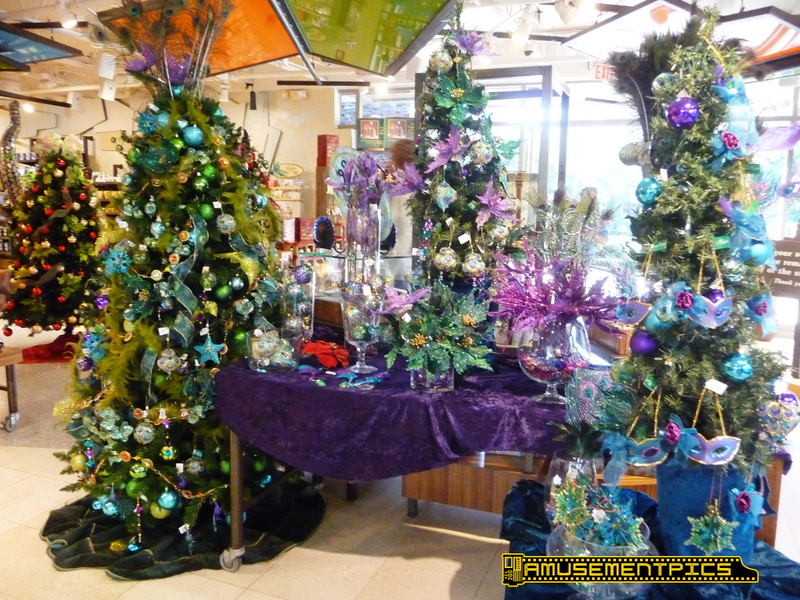 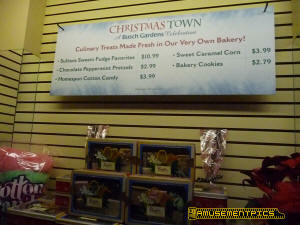 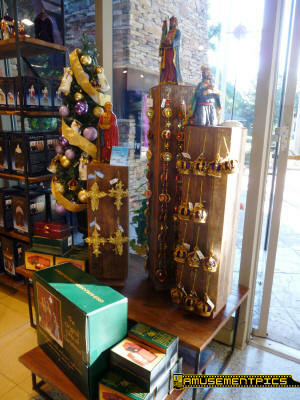 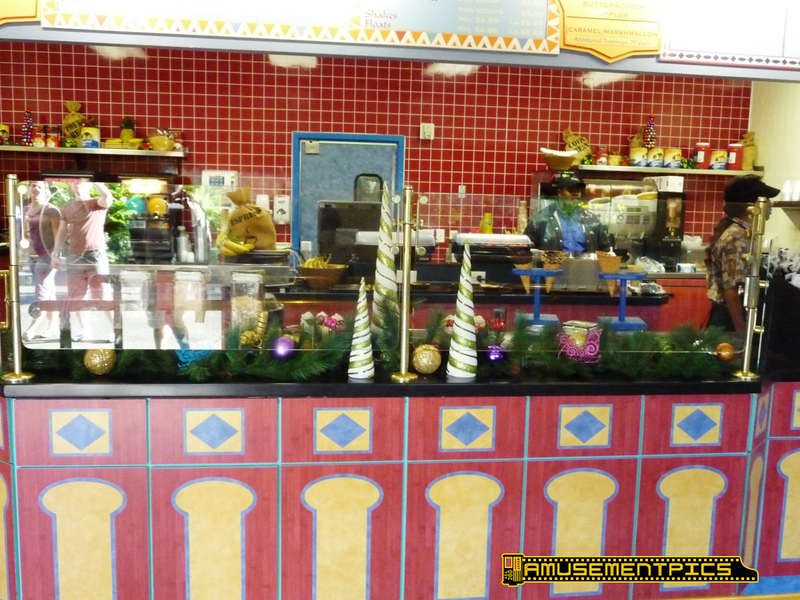 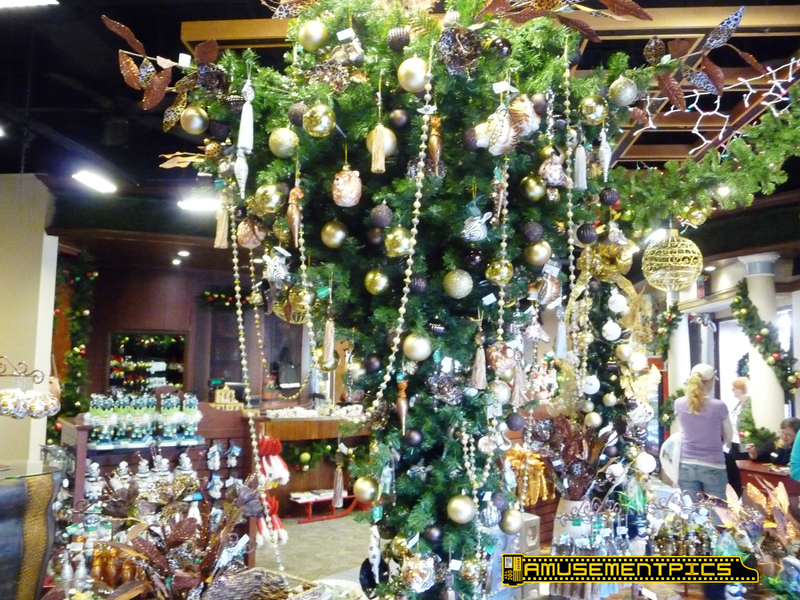 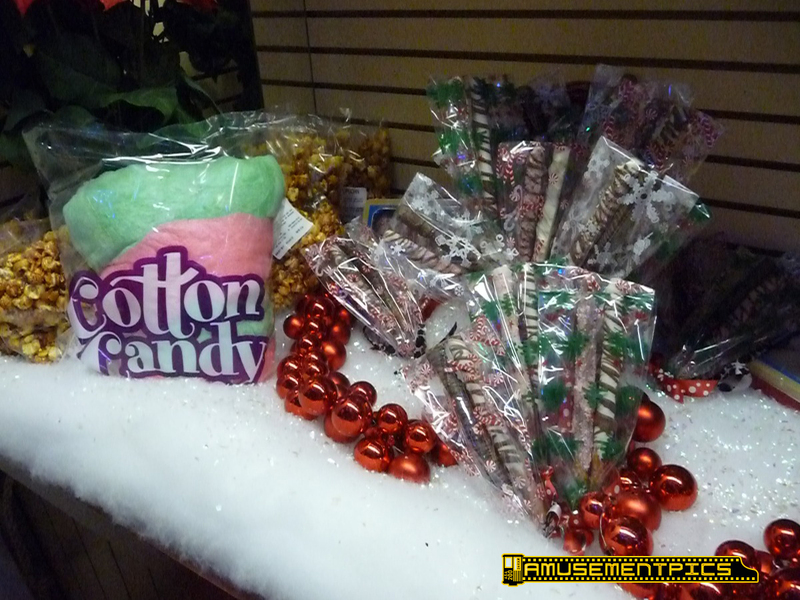 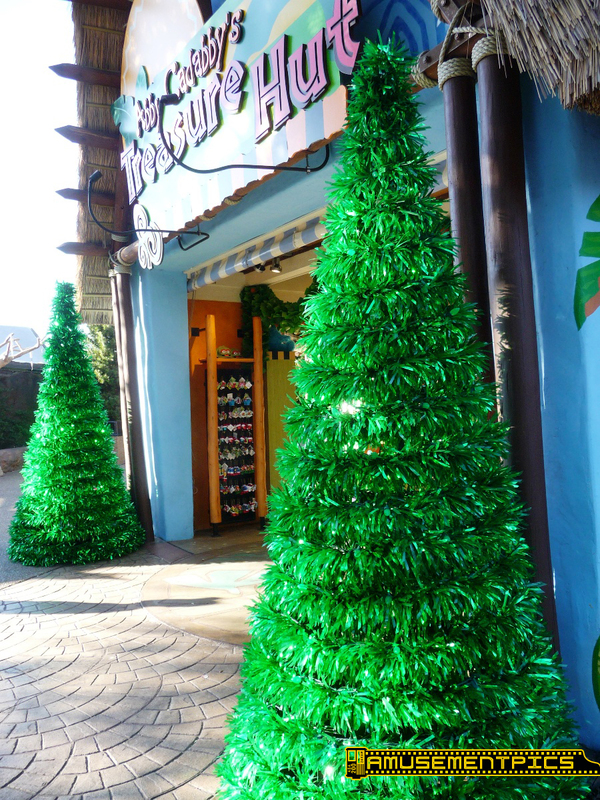 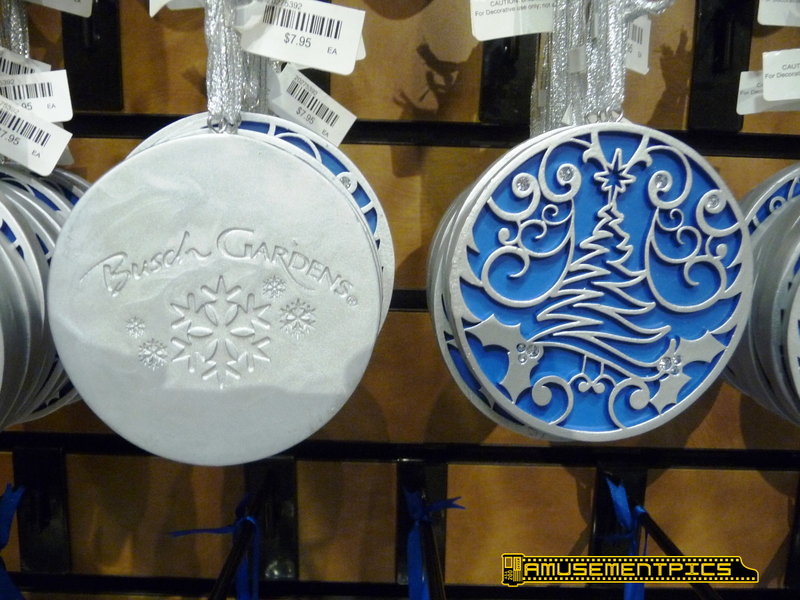 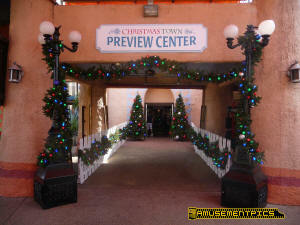 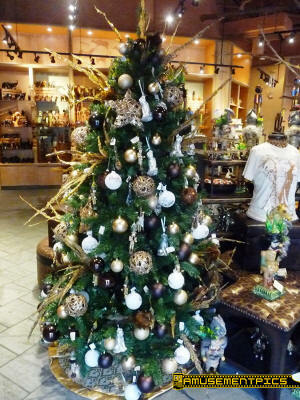 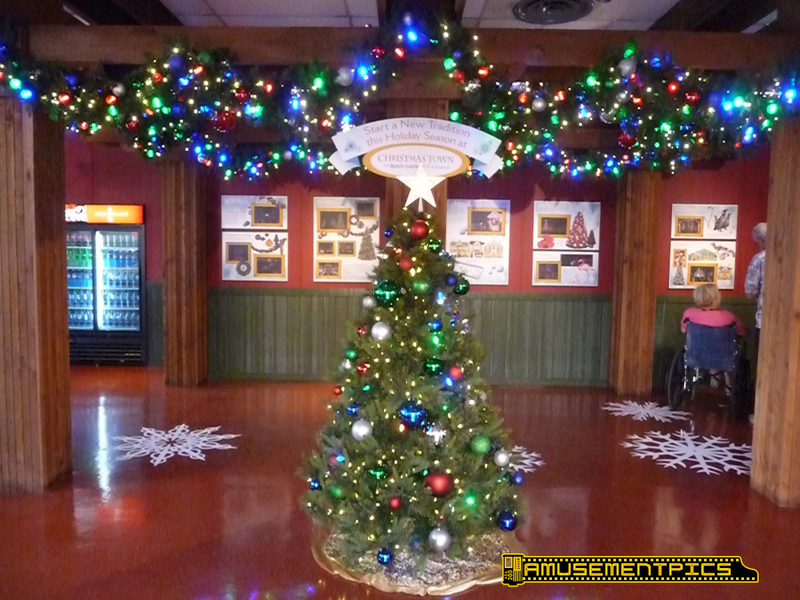 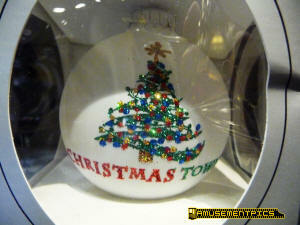 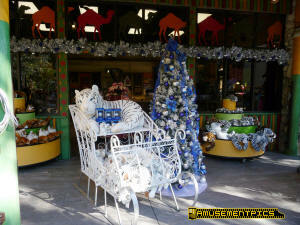 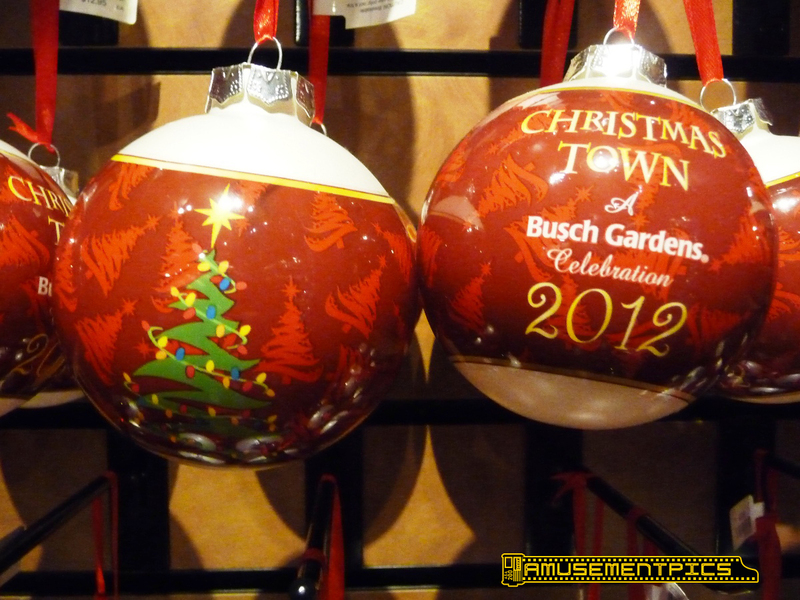 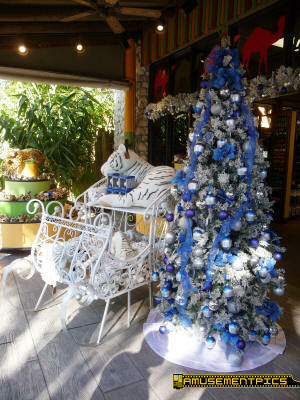 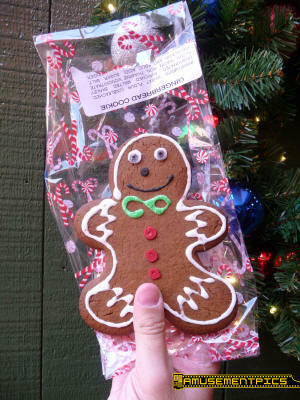 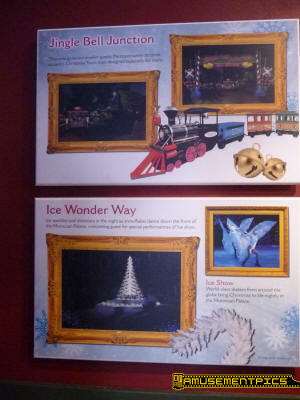 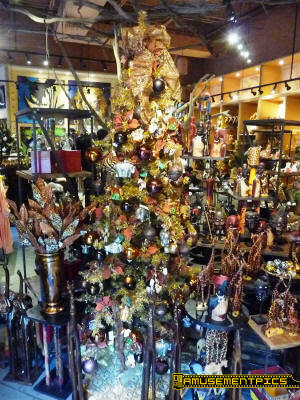 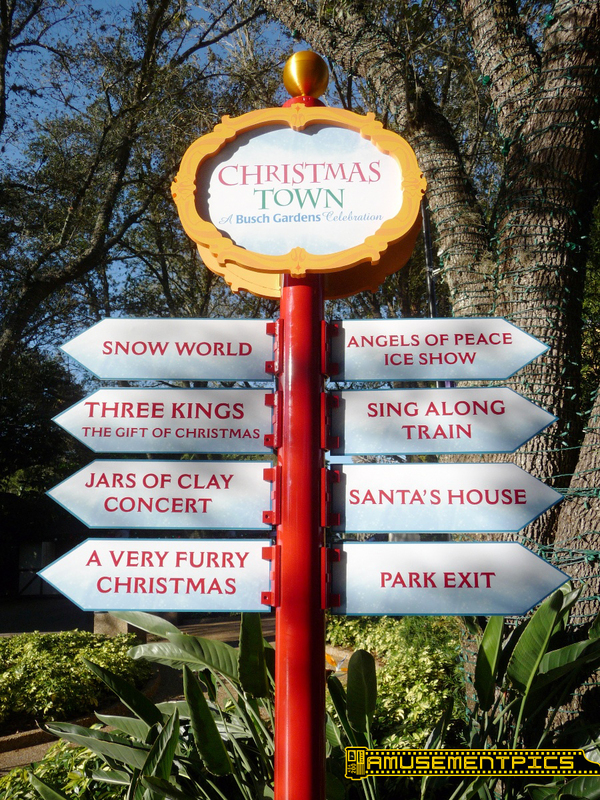 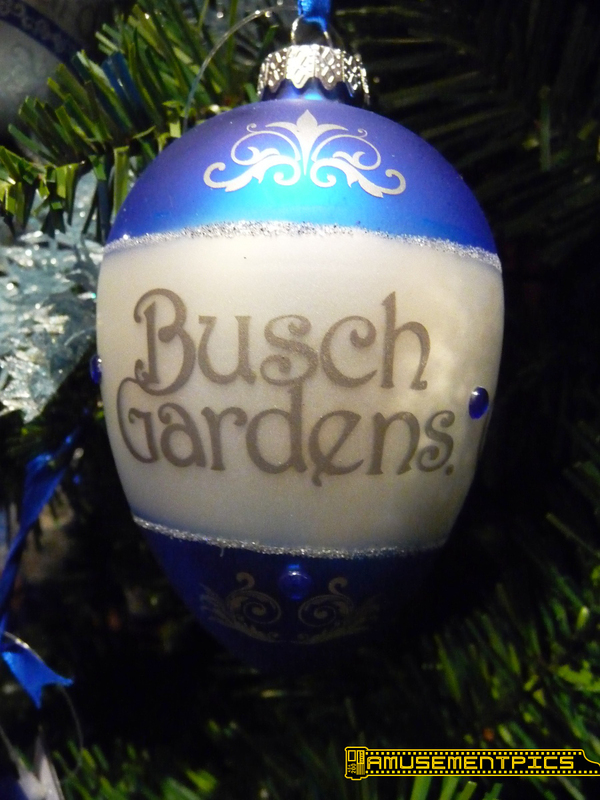 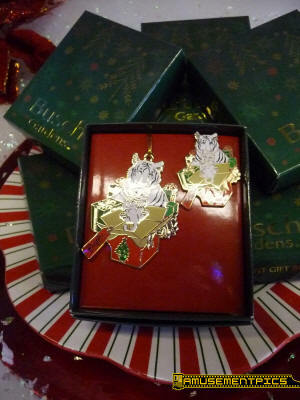 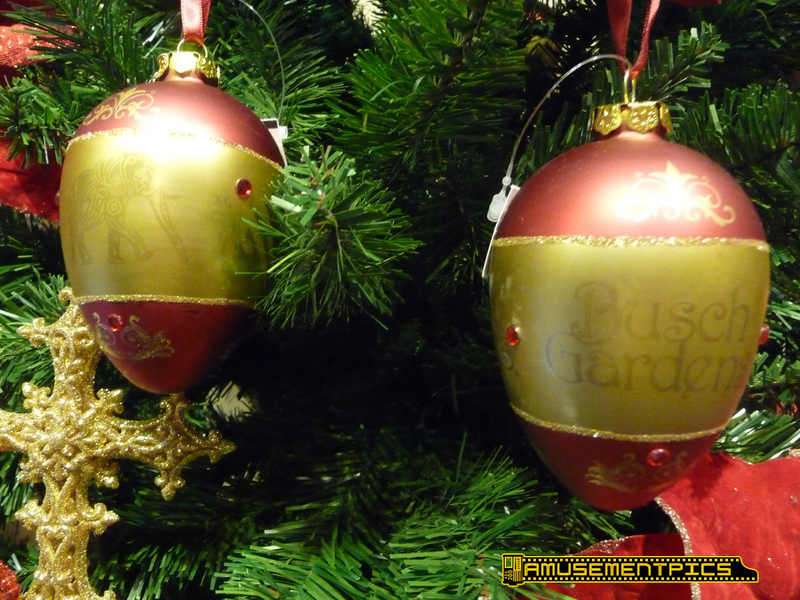 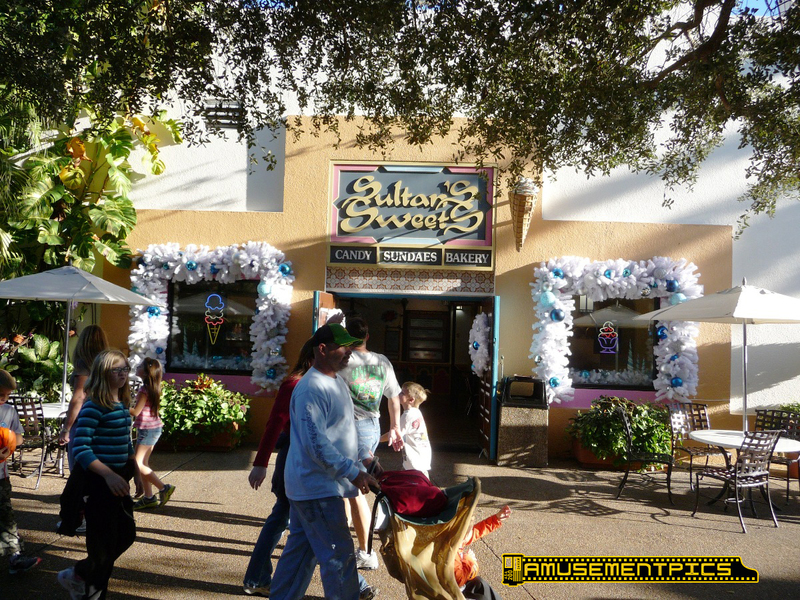 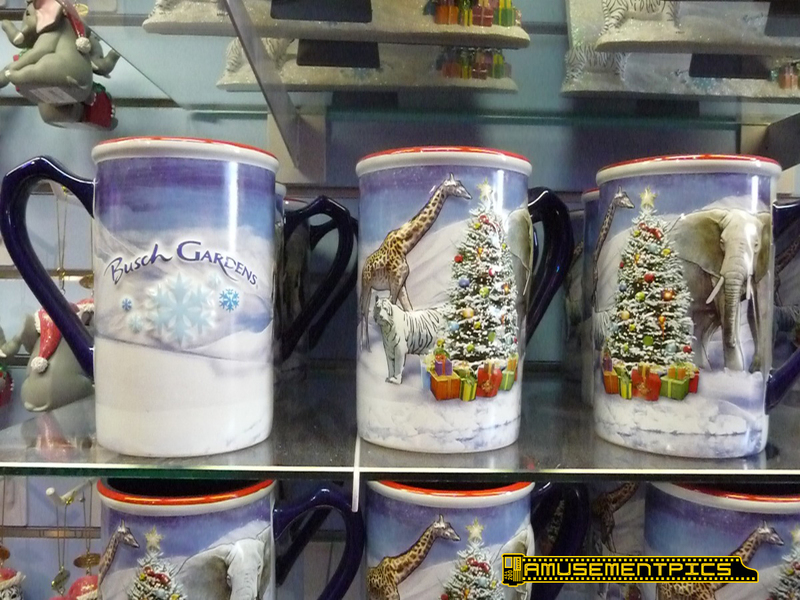 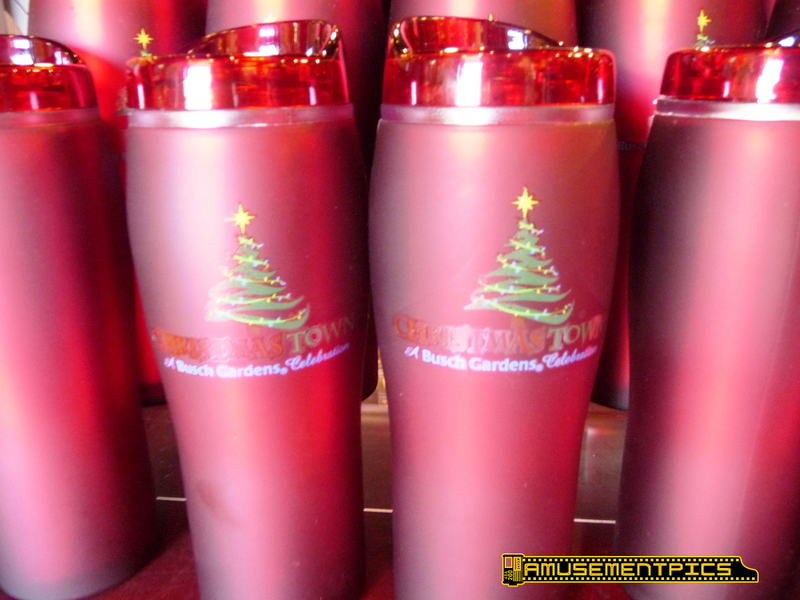 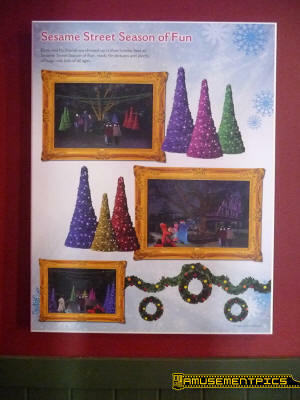 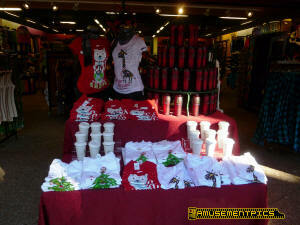 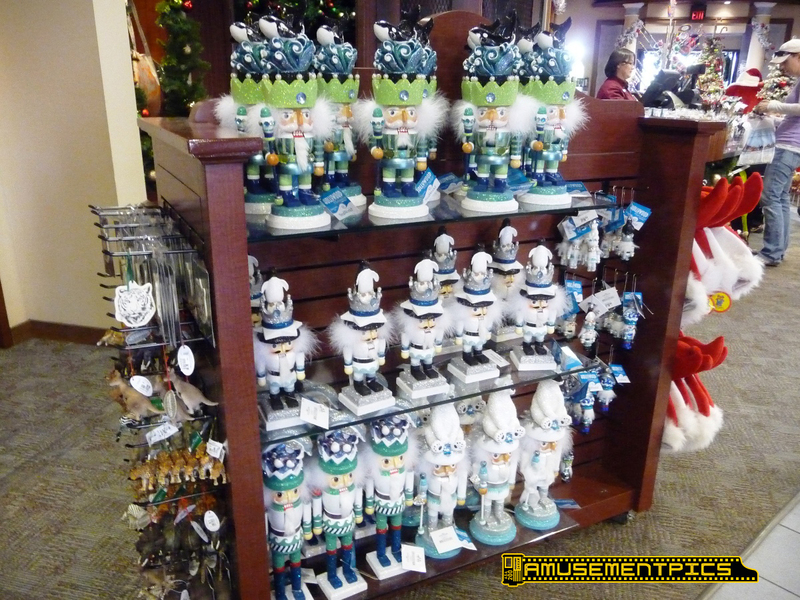 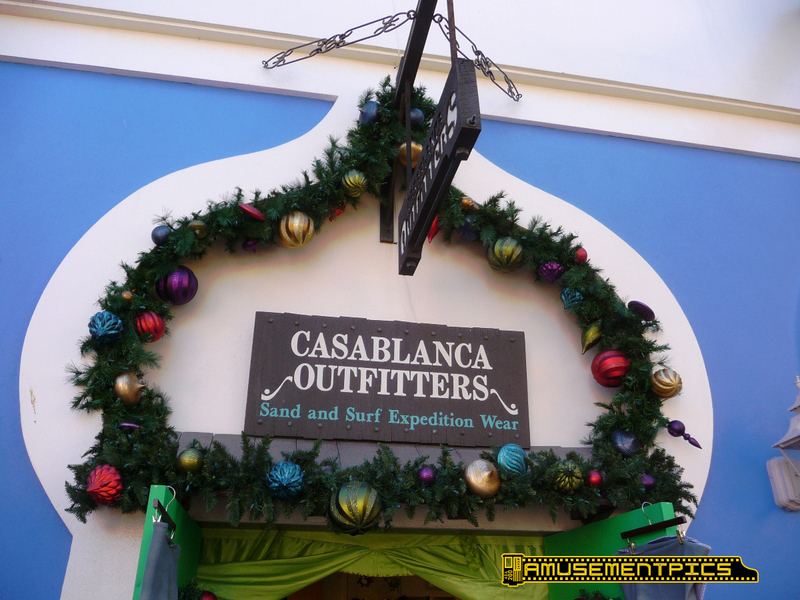 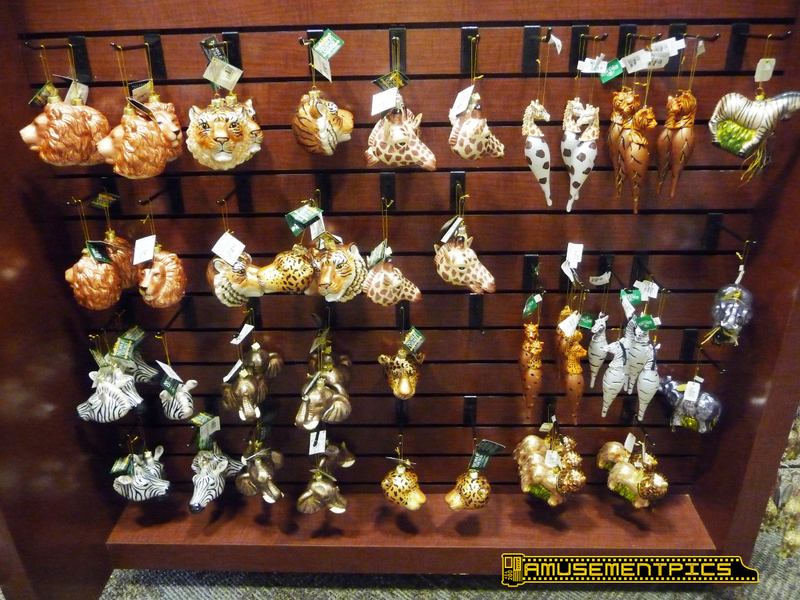 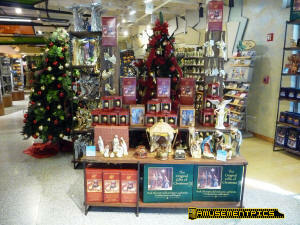 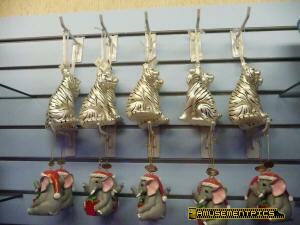 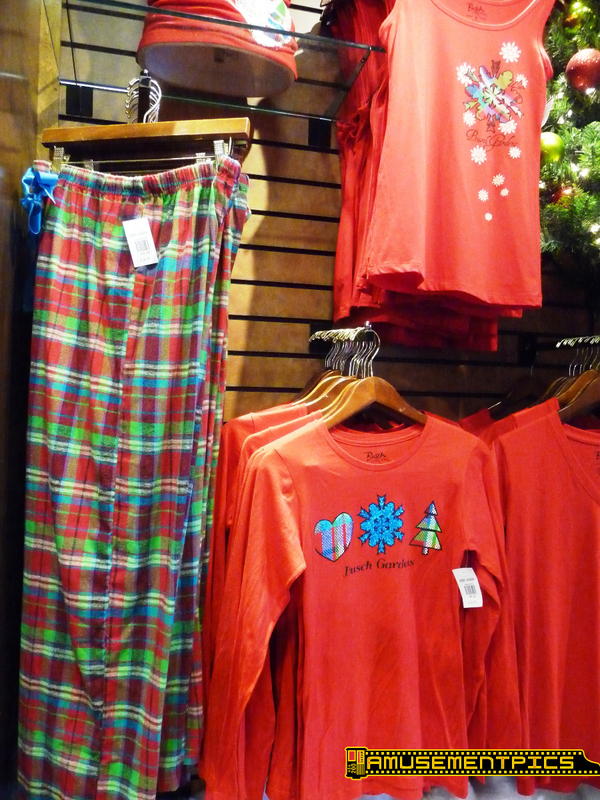 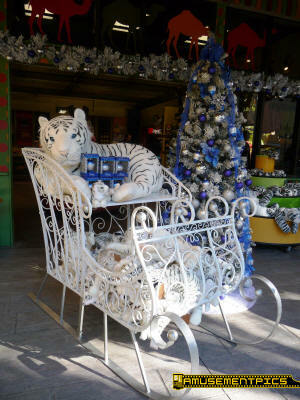 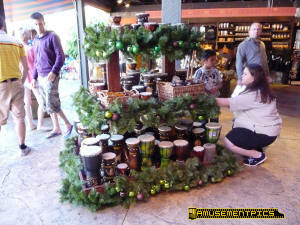 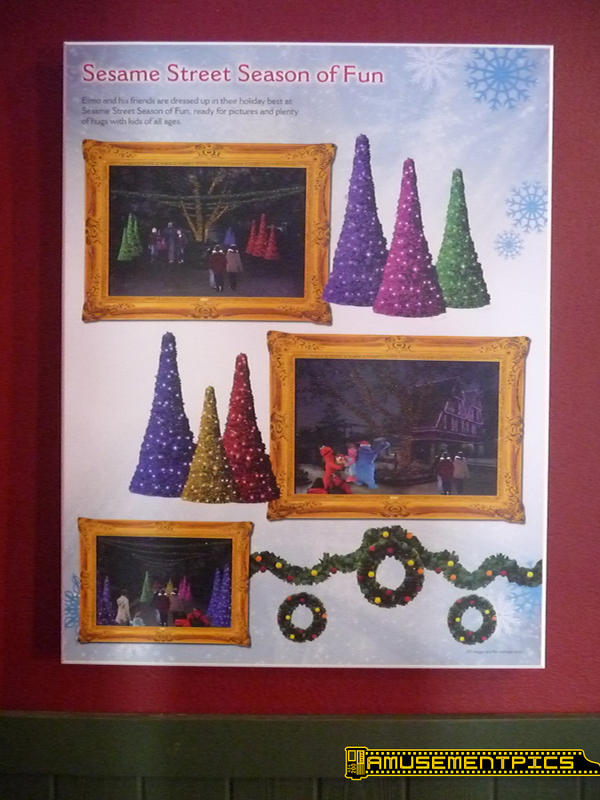 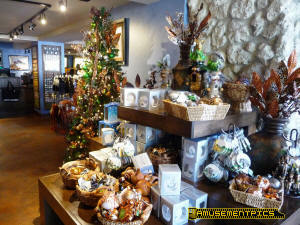 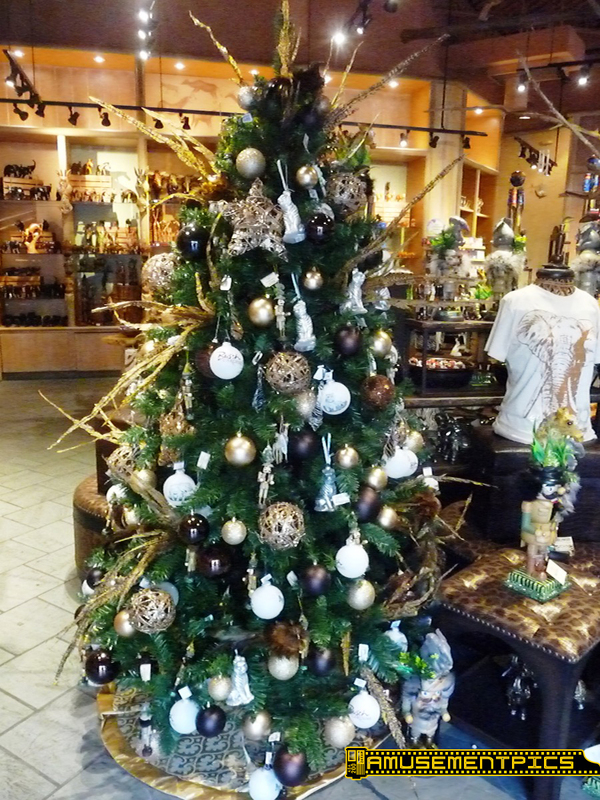 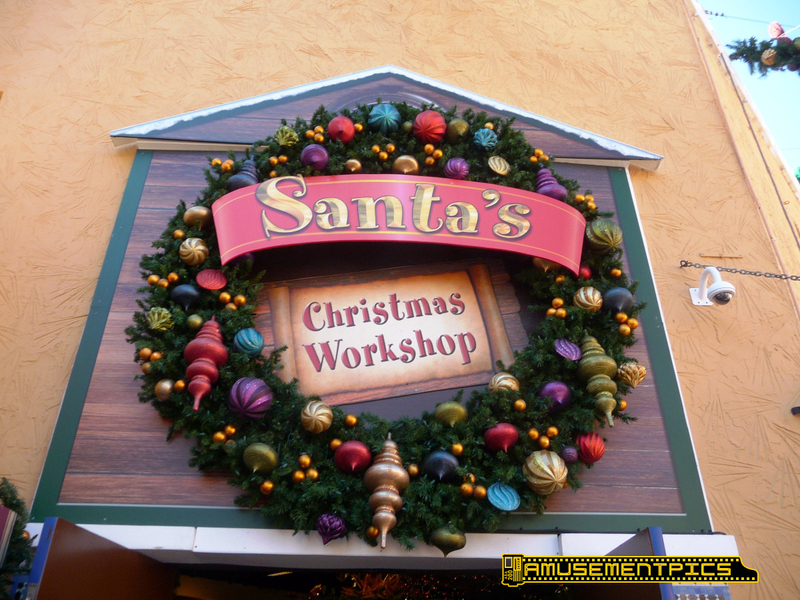 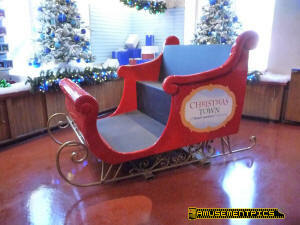 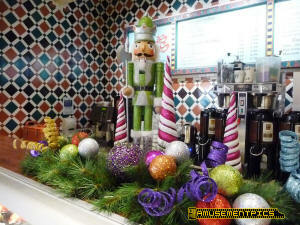 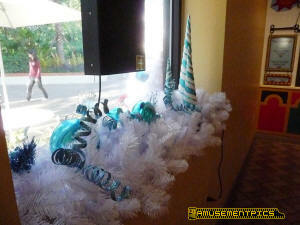 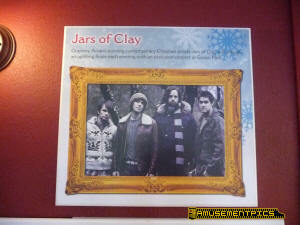 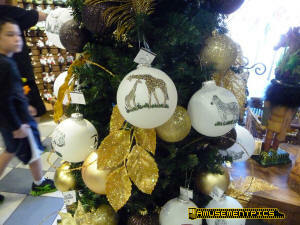 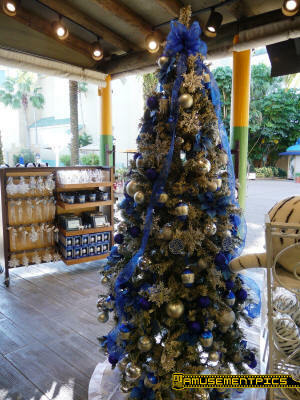 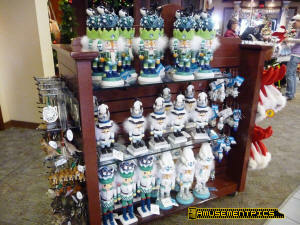 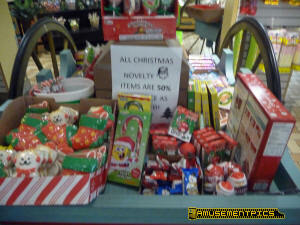 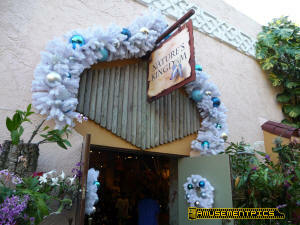 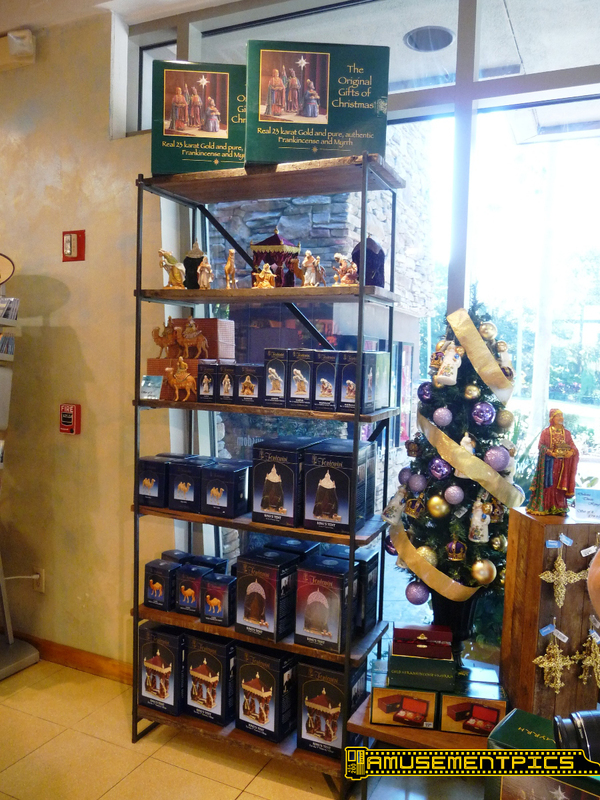 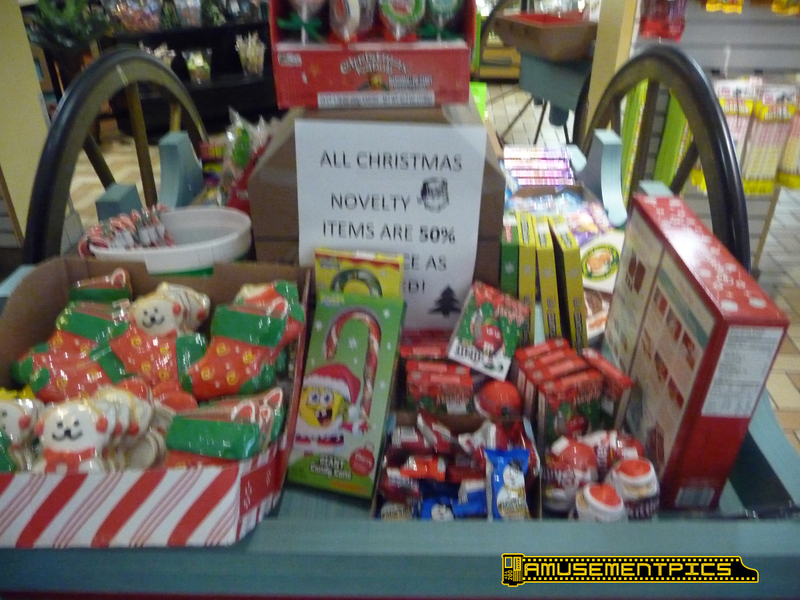 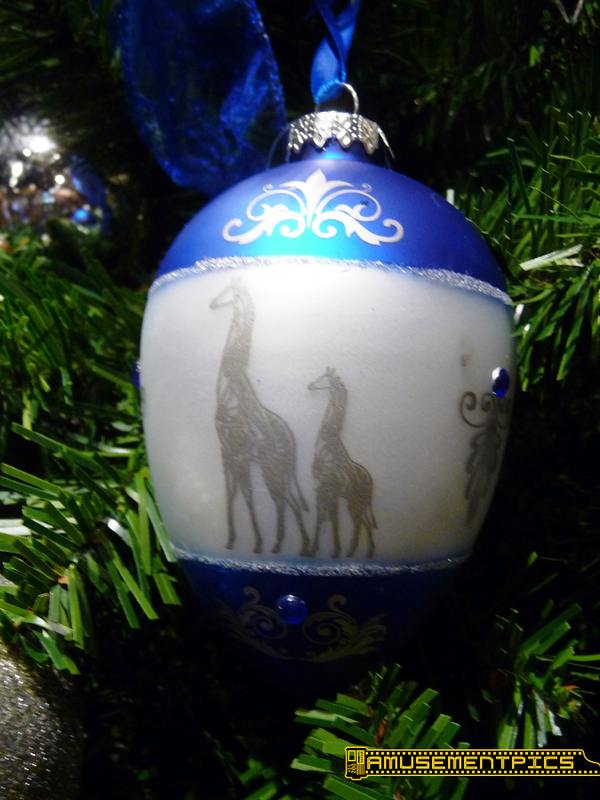 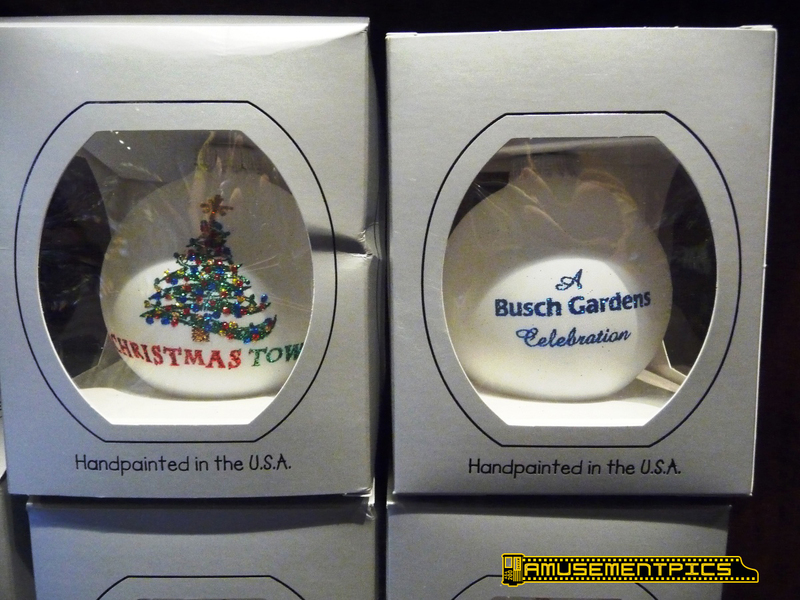 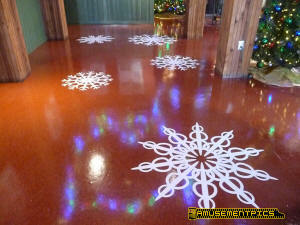 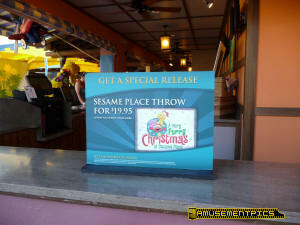 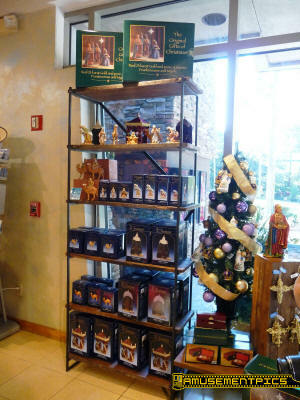 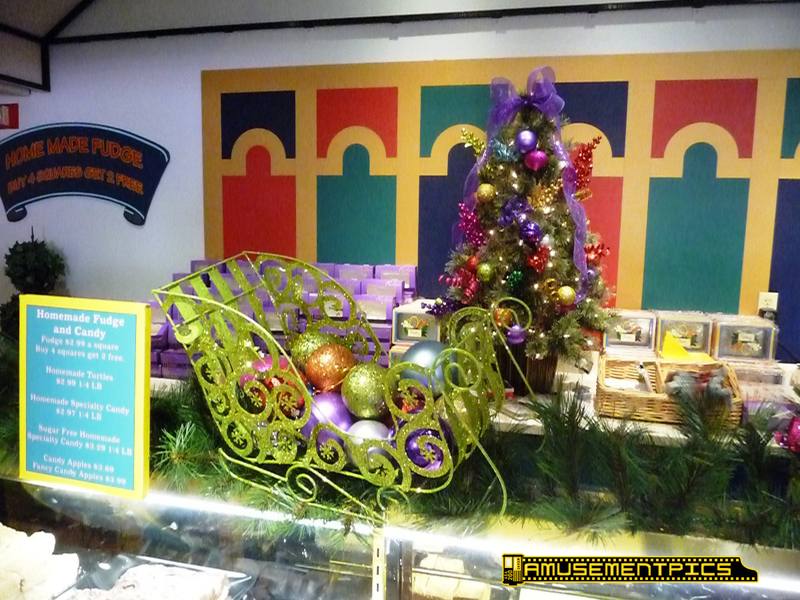 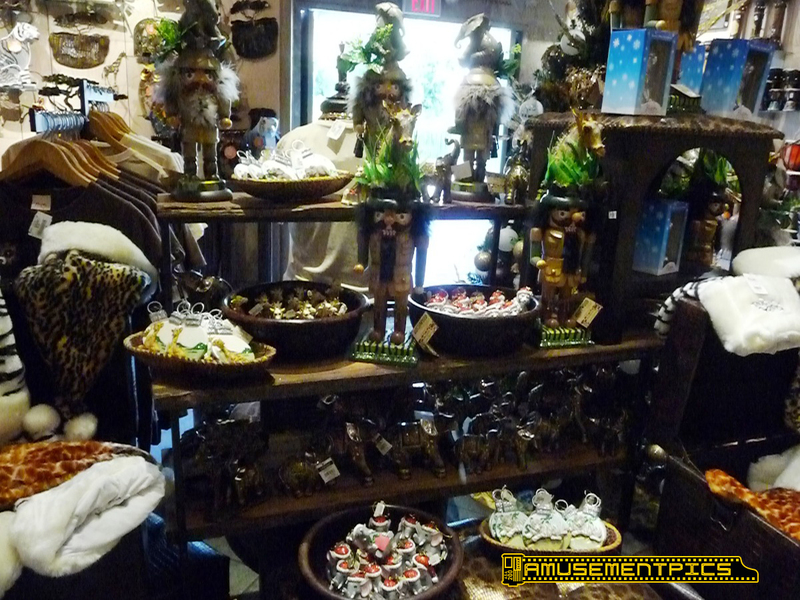 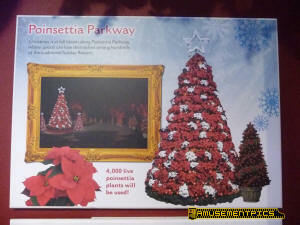 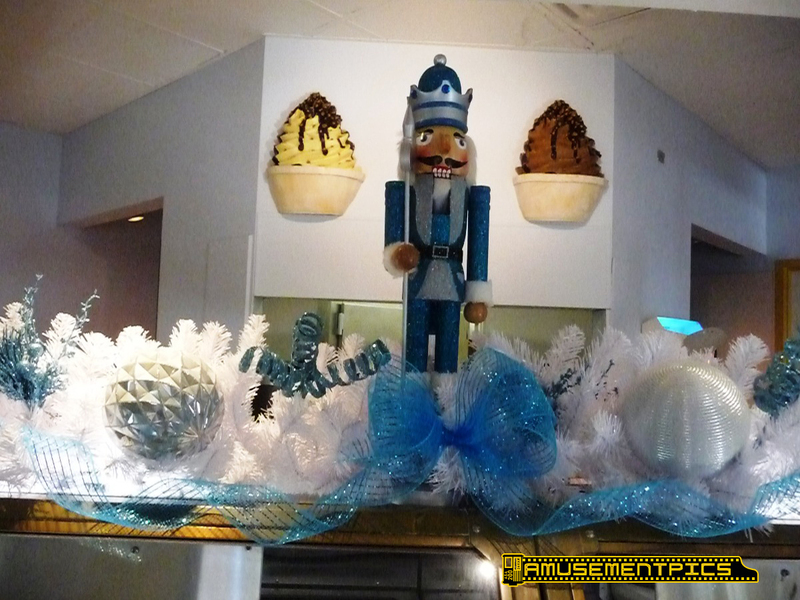 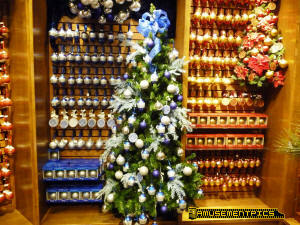 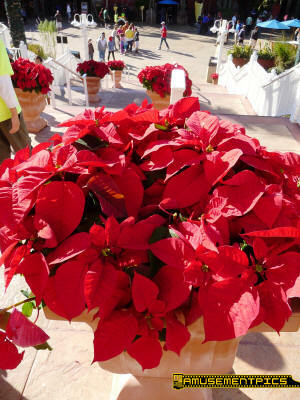 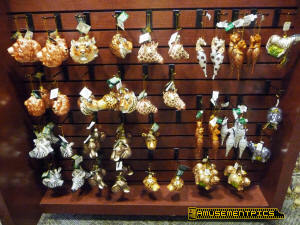 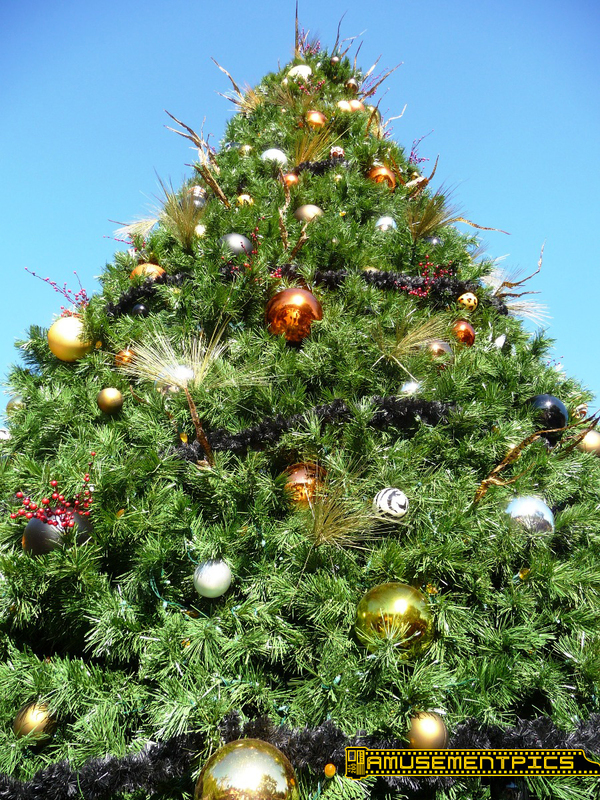 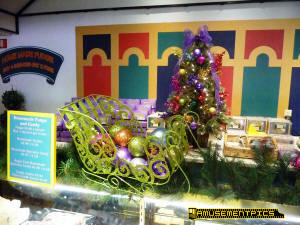 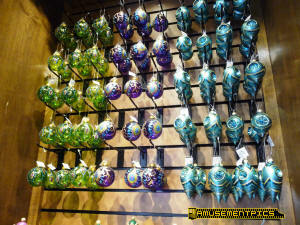 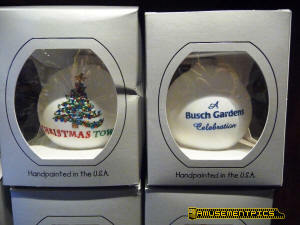 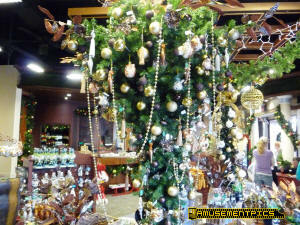 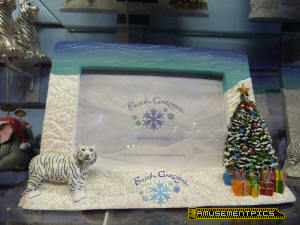 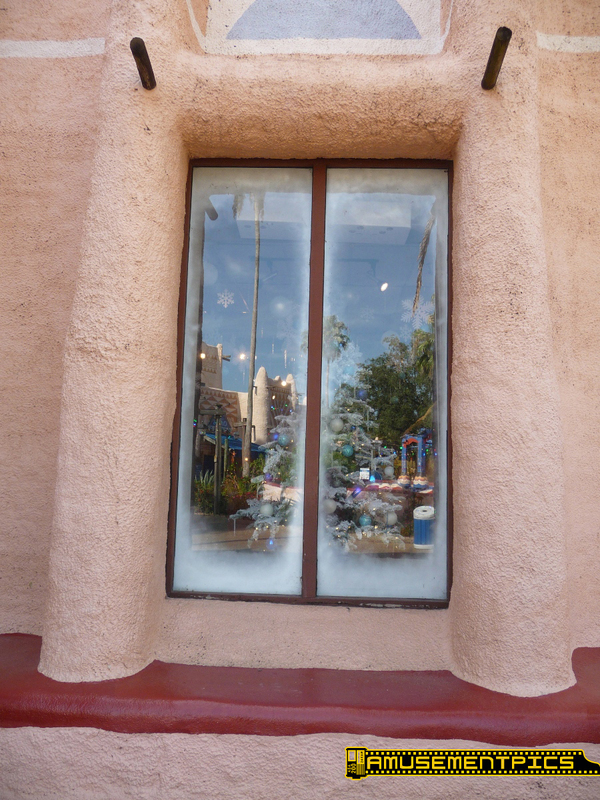 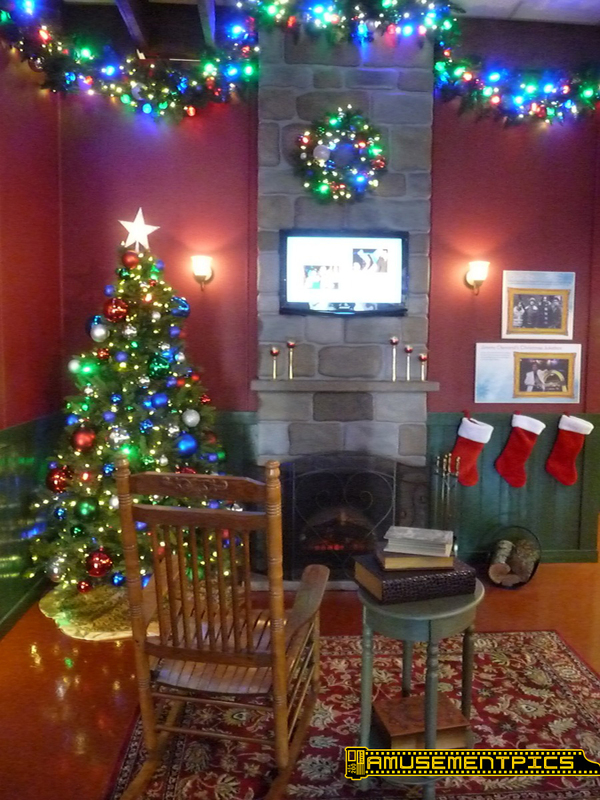 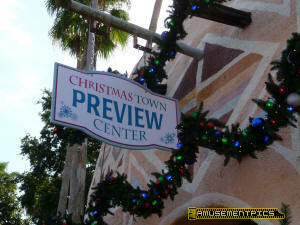 As part of the preview center, ornaments and other Christmas Town merchandise is available. 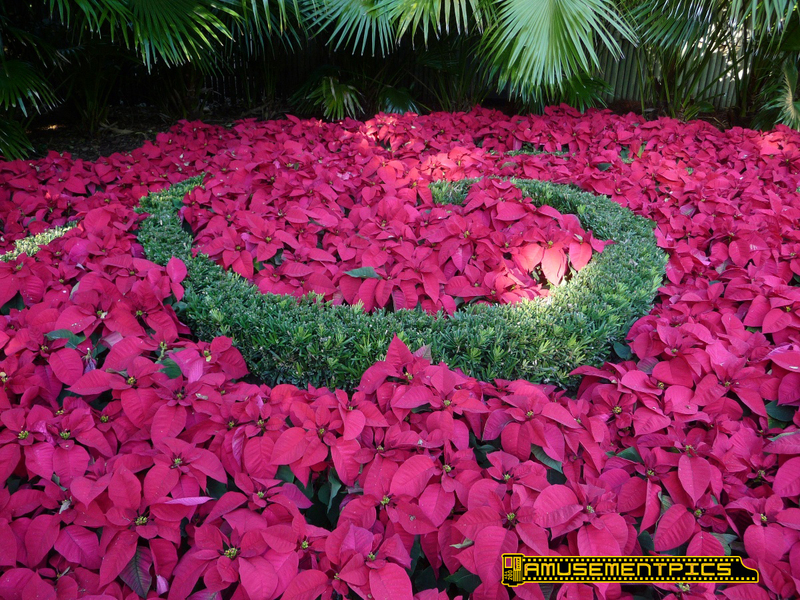 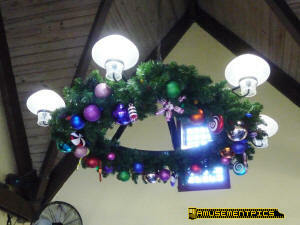 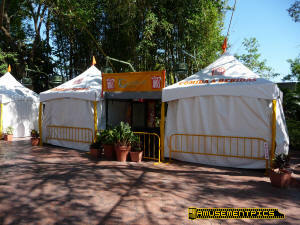 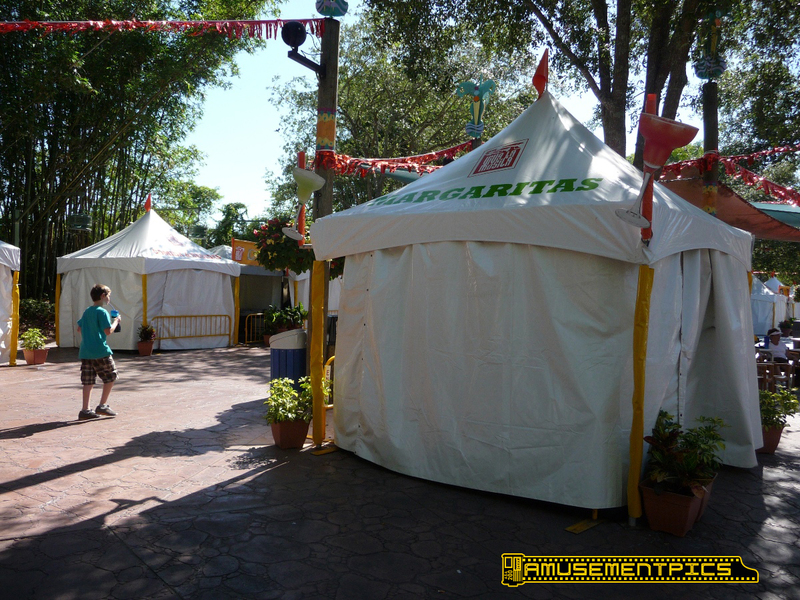 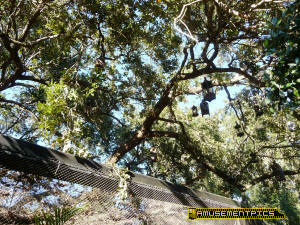 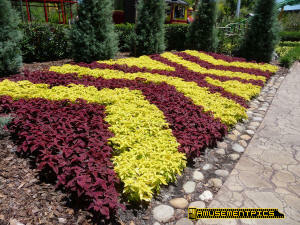 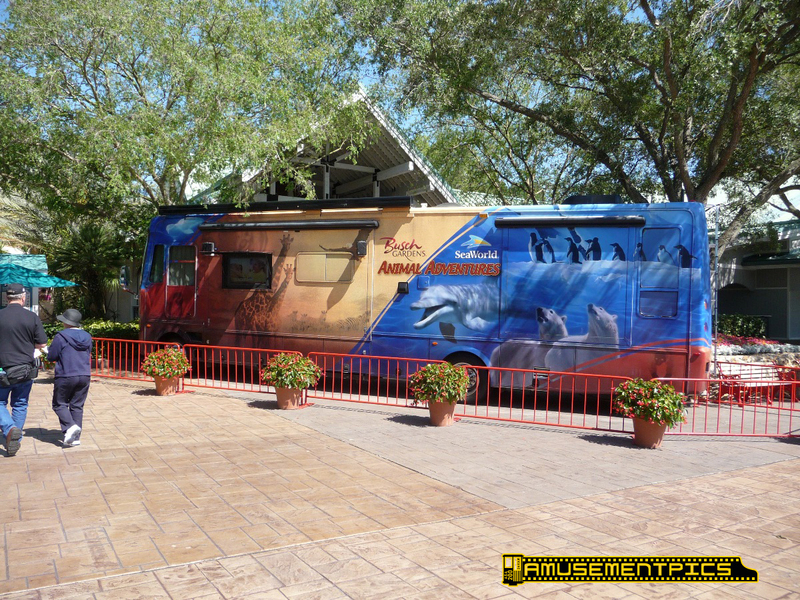 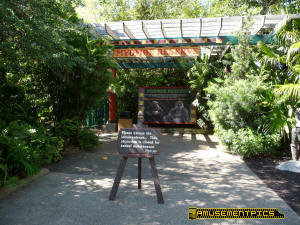 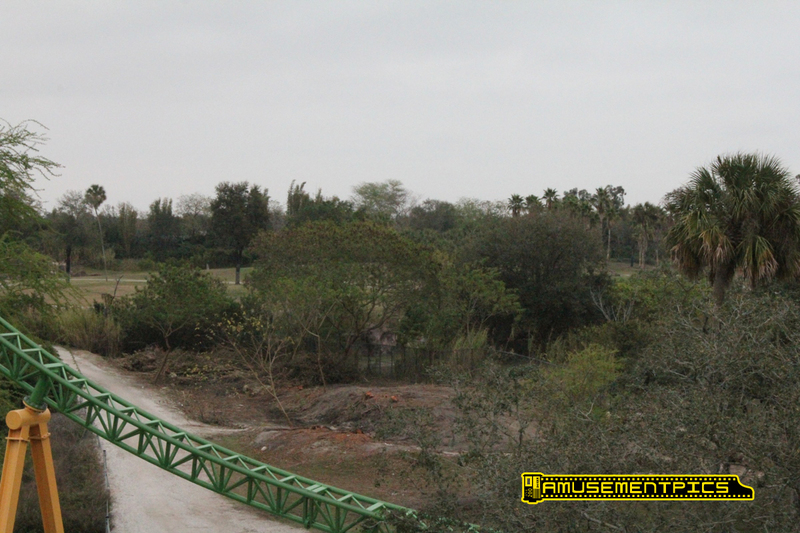 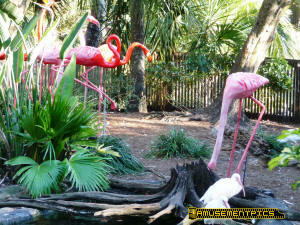 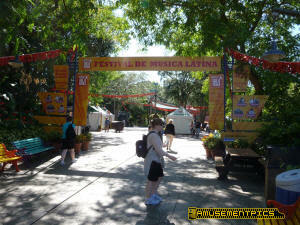 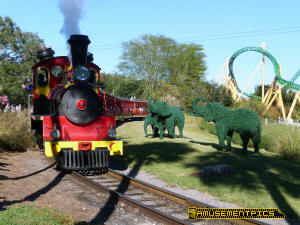 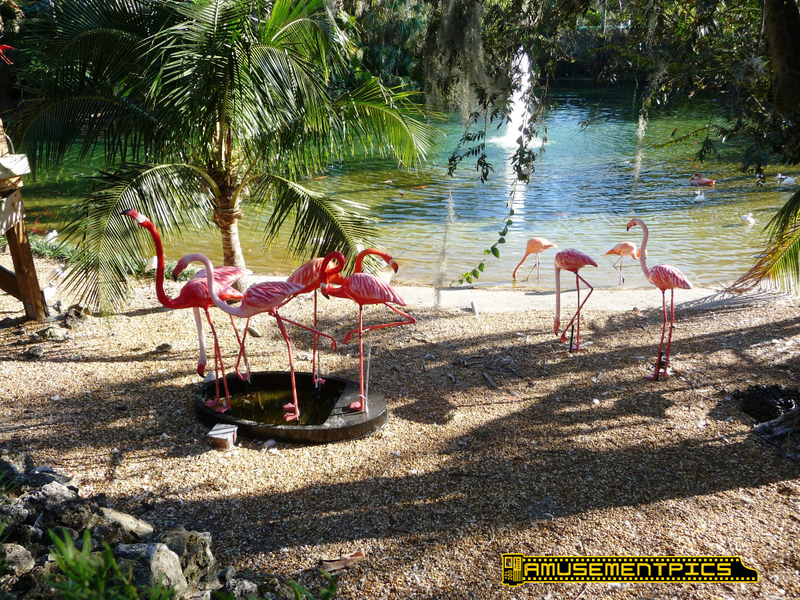 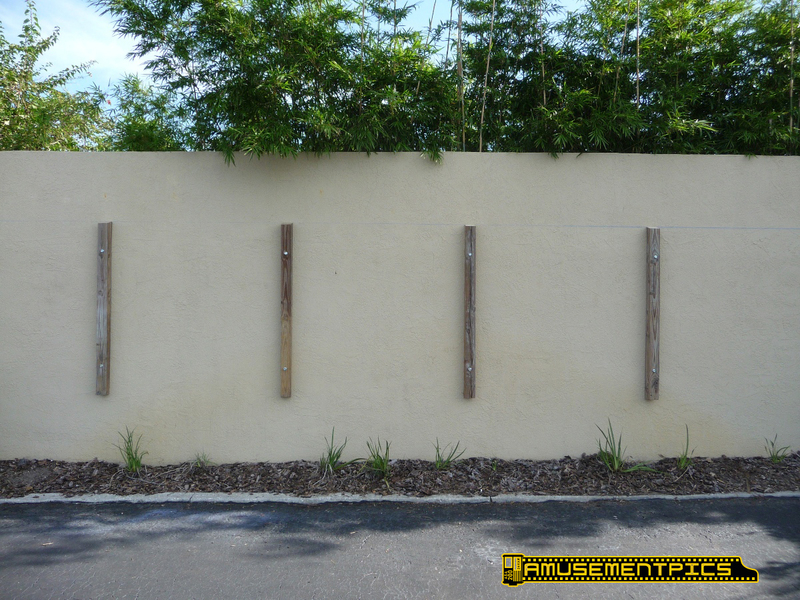 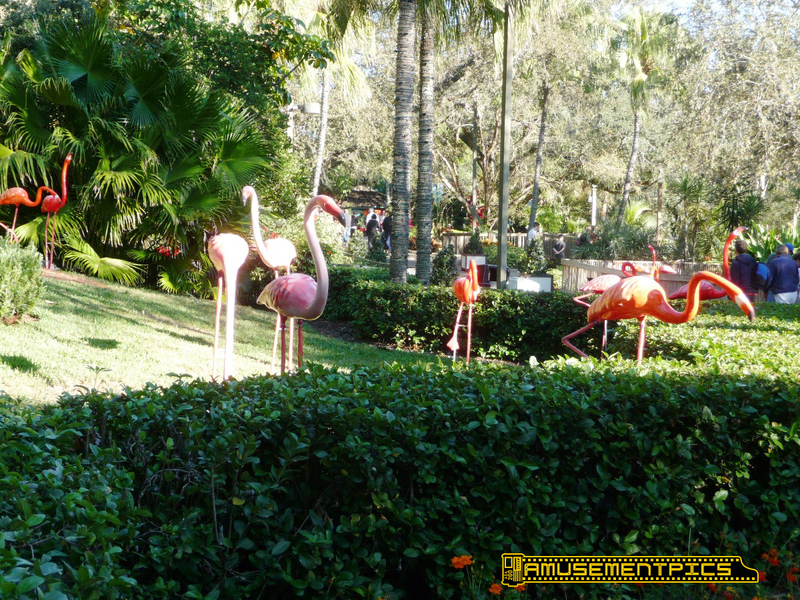 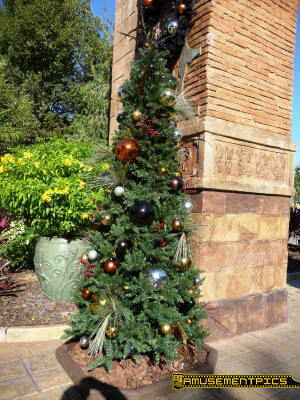 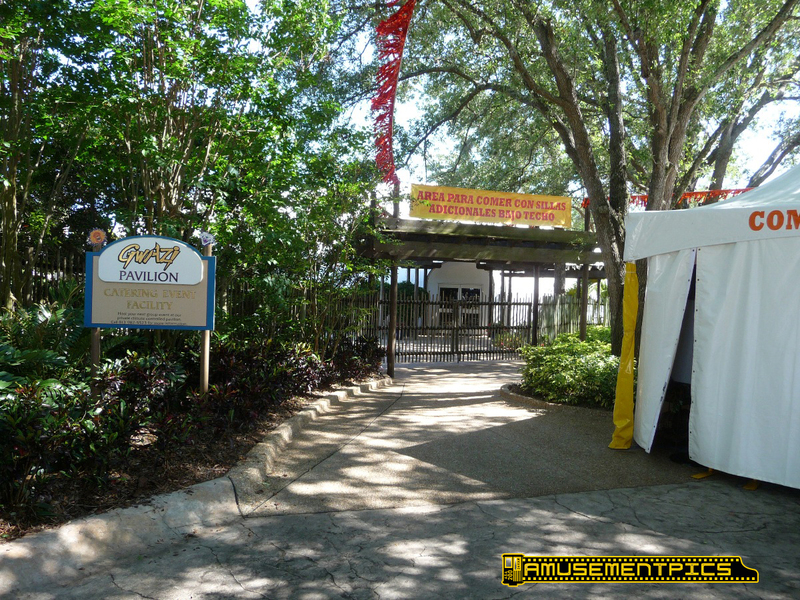 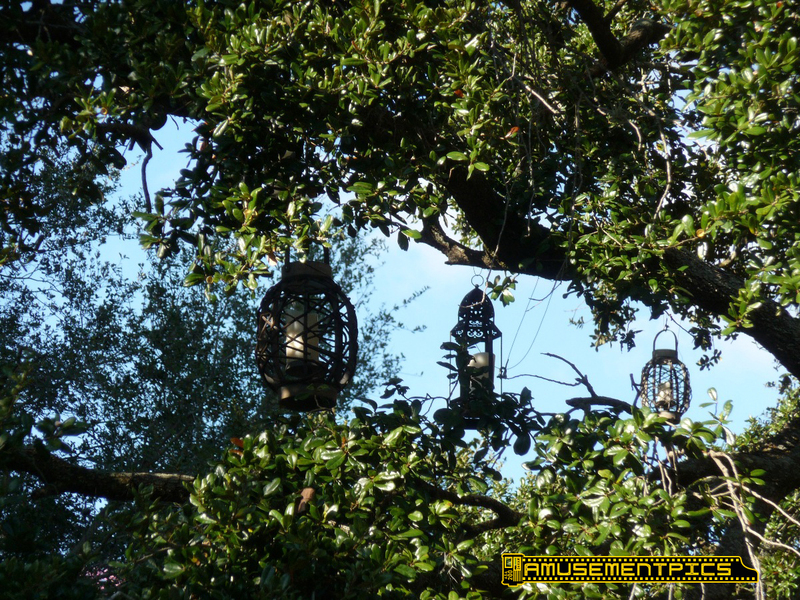 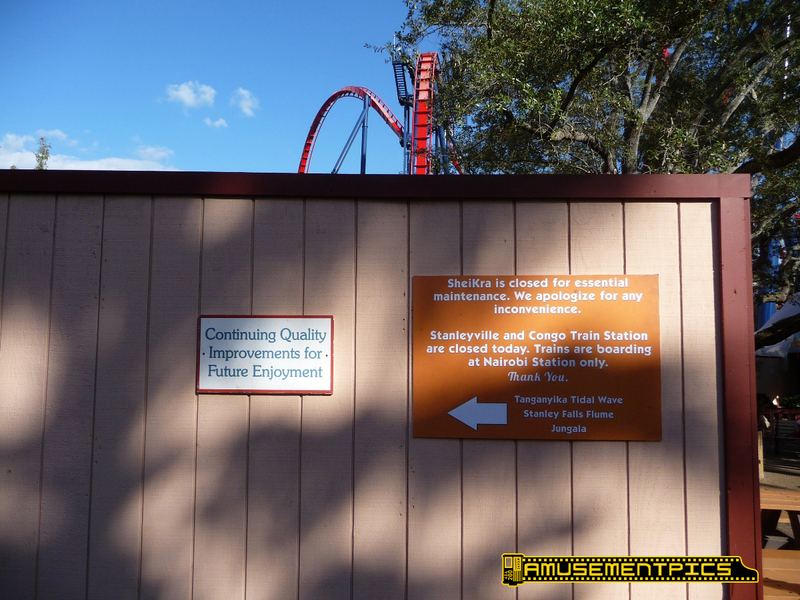 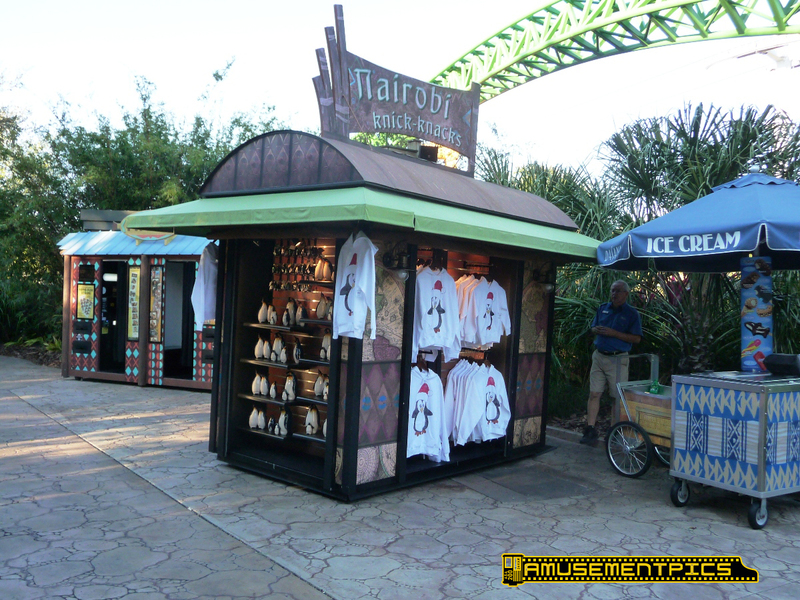 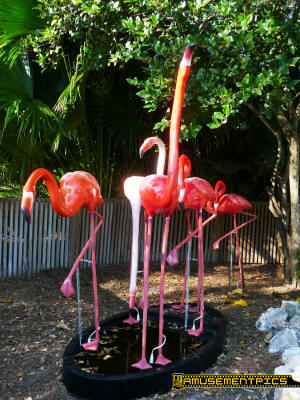 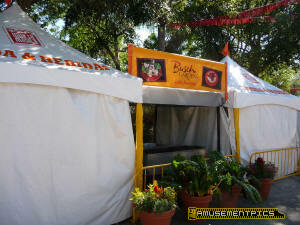 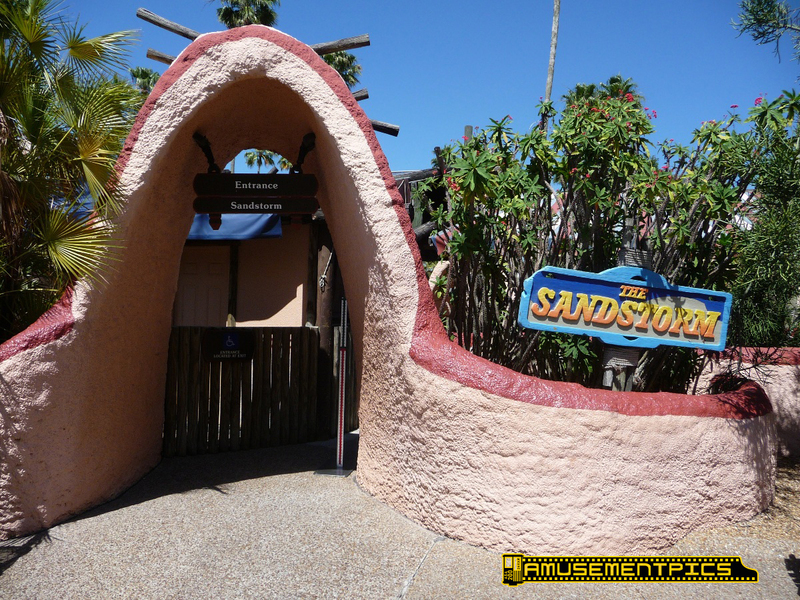 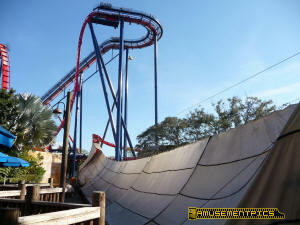 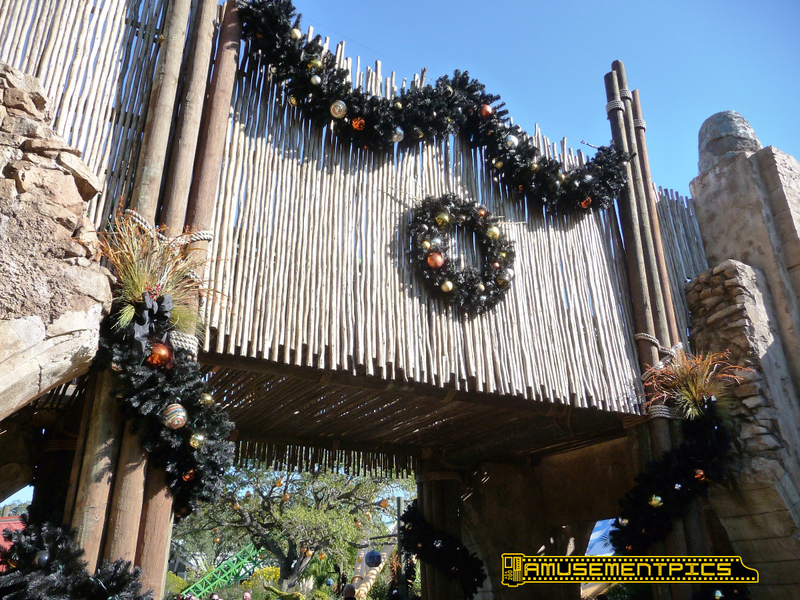 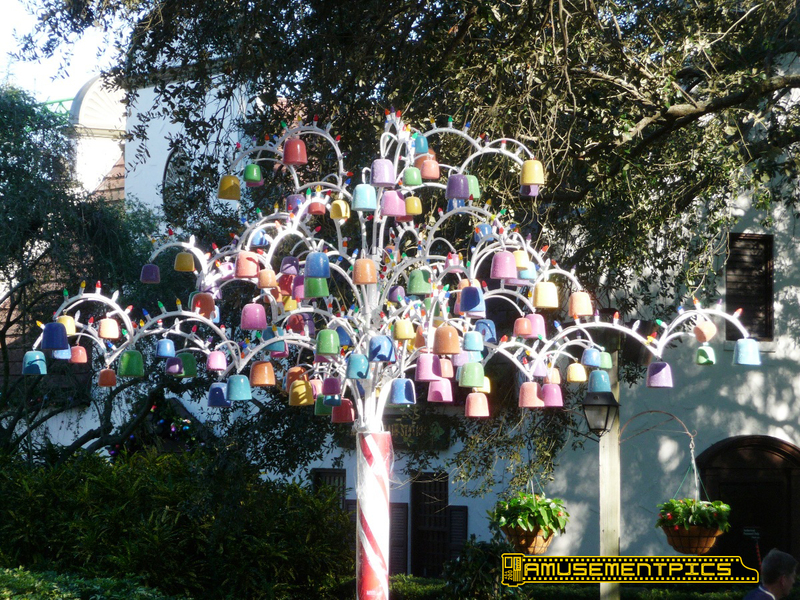 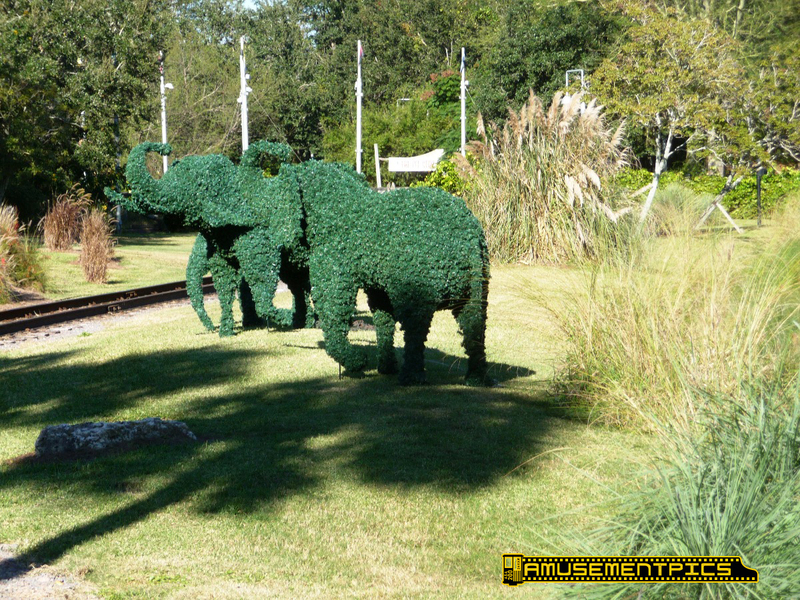 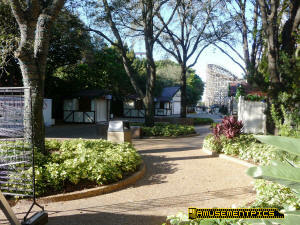 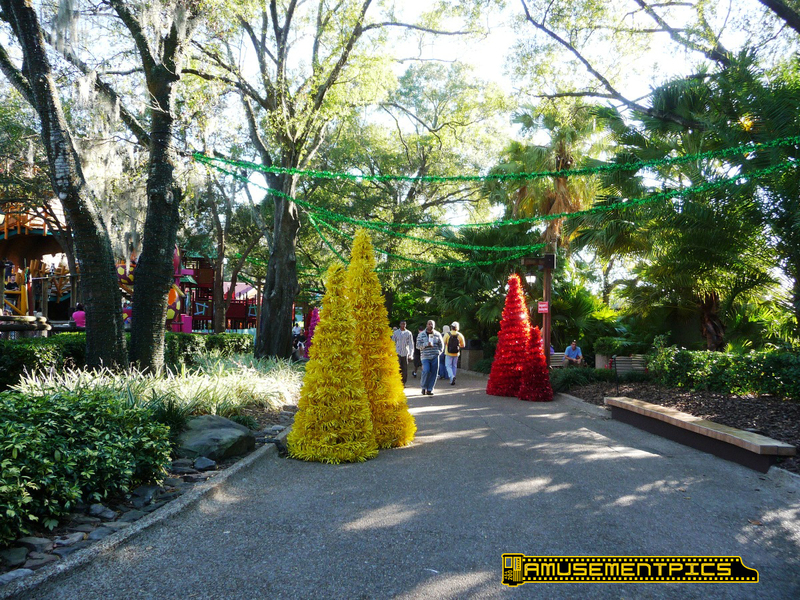 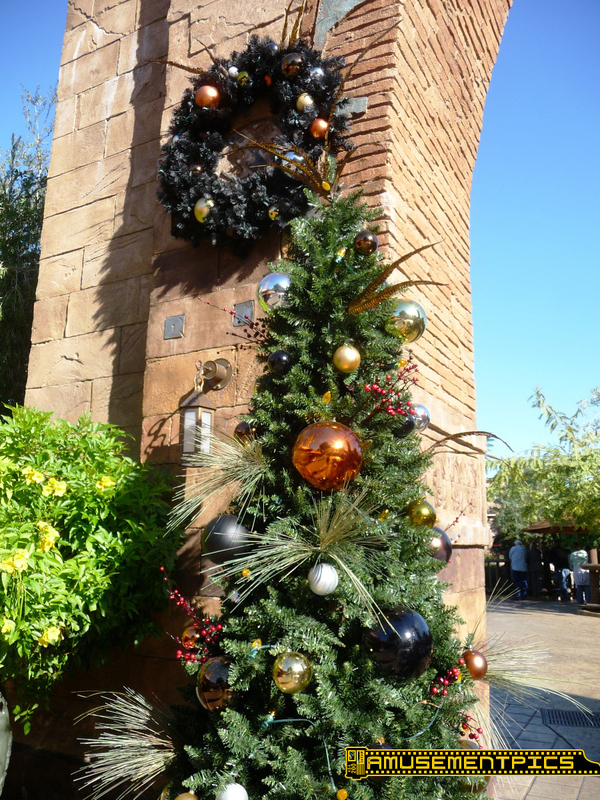 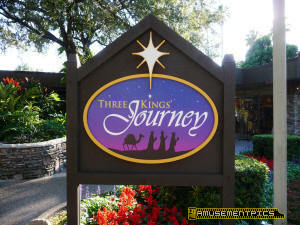 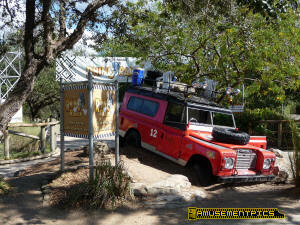 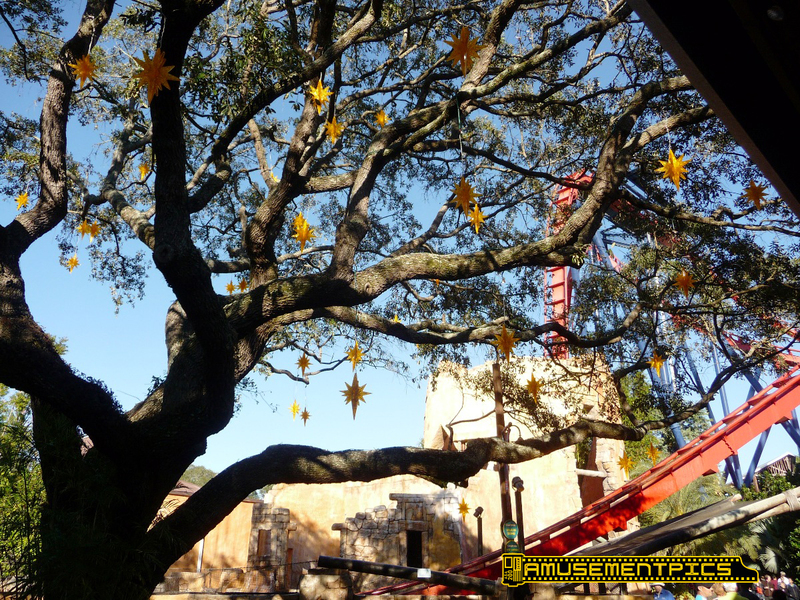 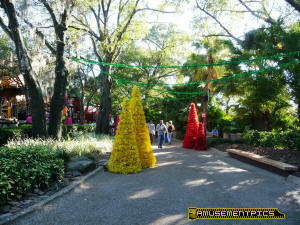 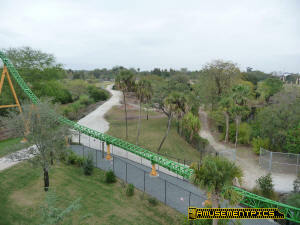 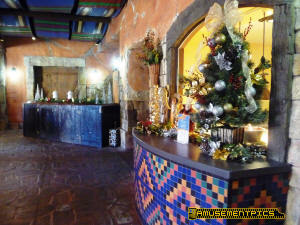 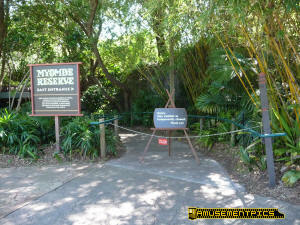 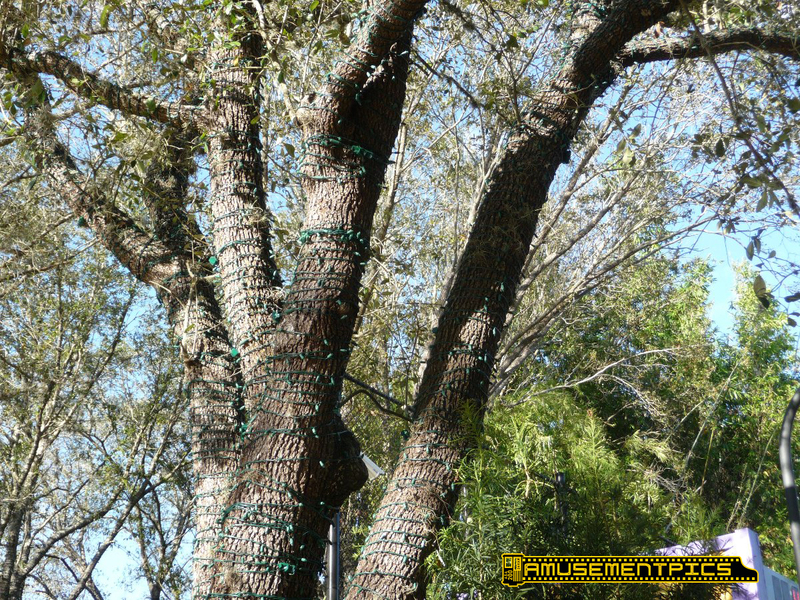 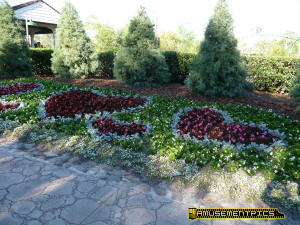 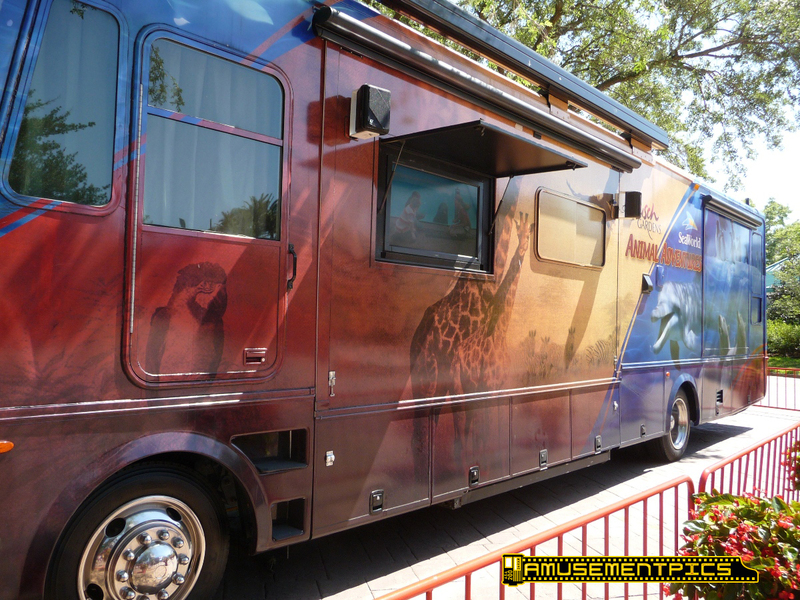 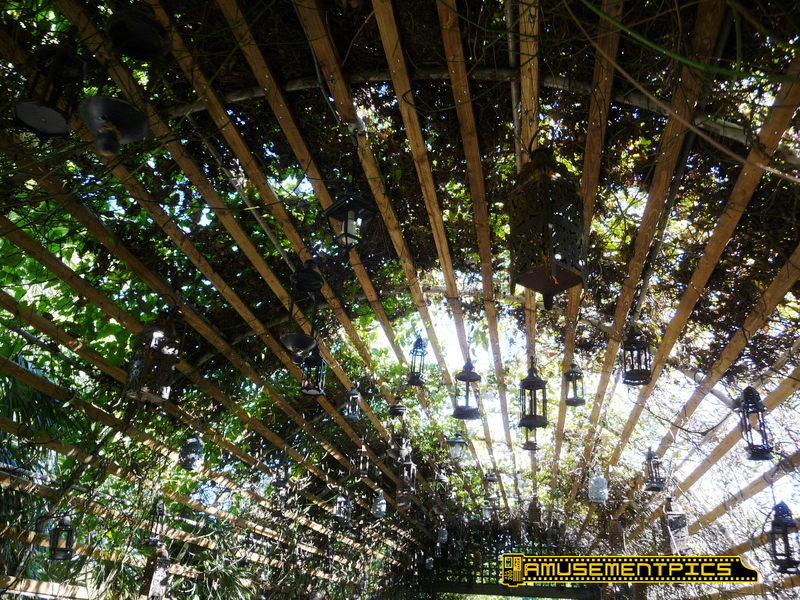 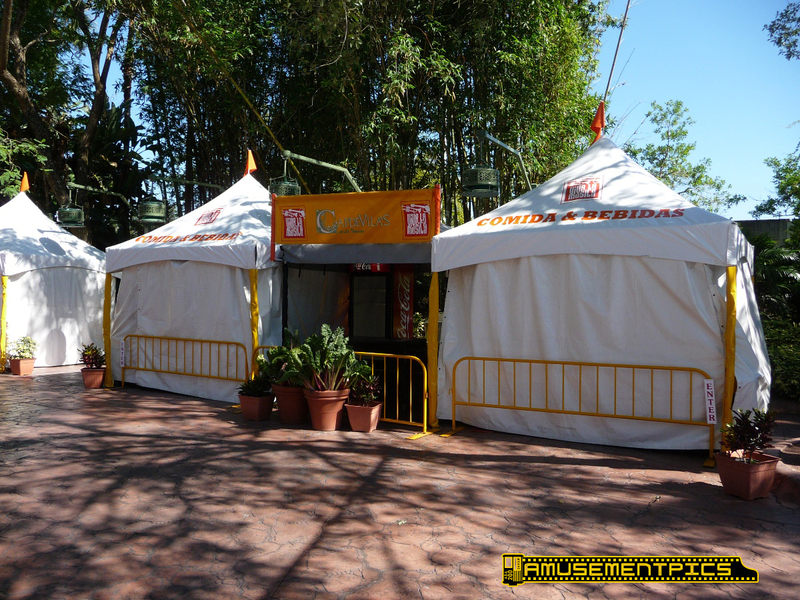 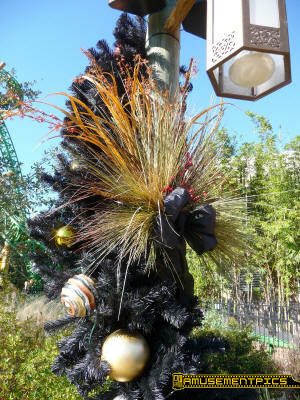 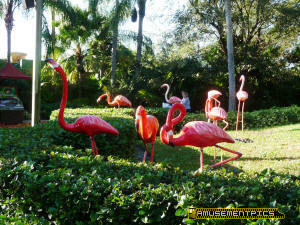 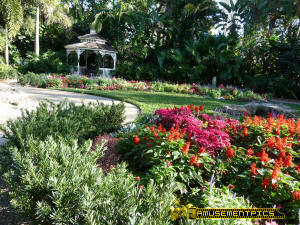 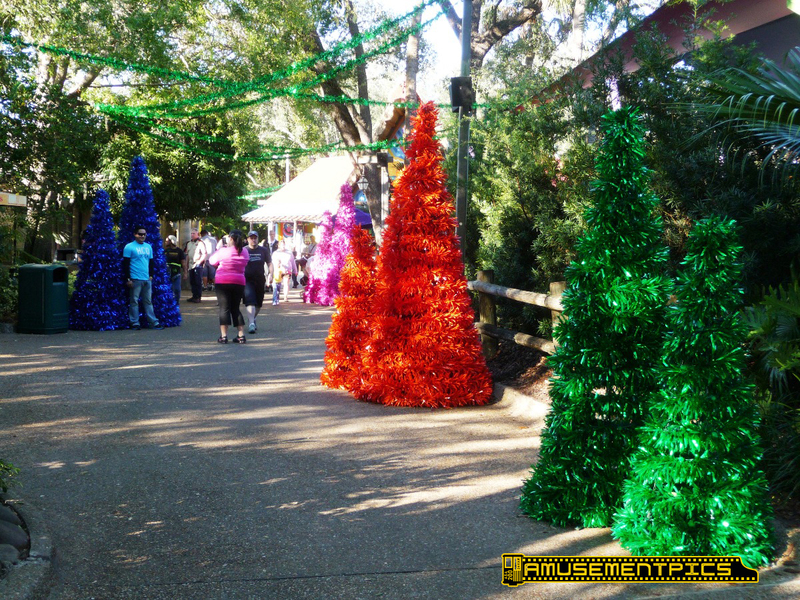 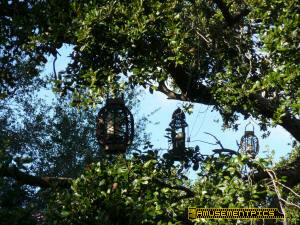 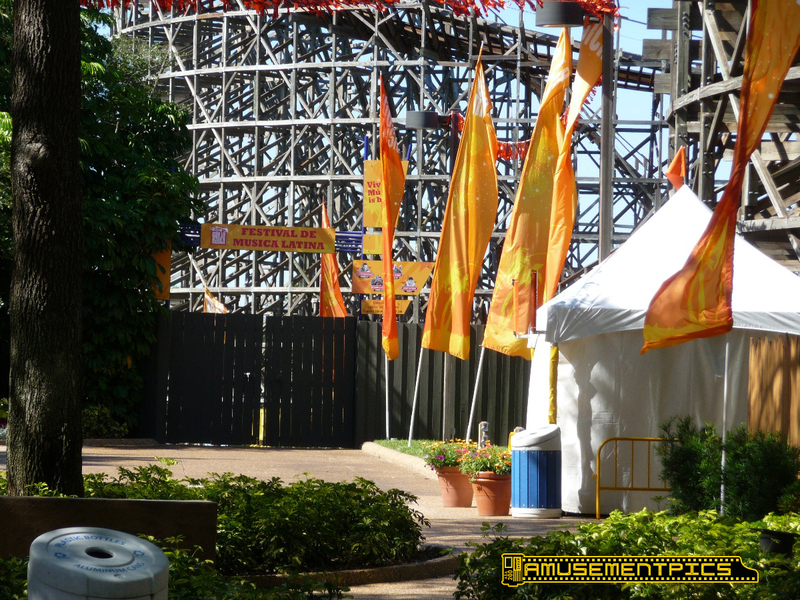 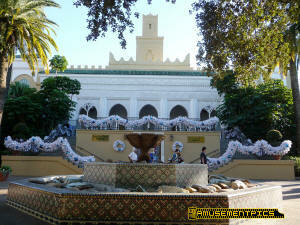 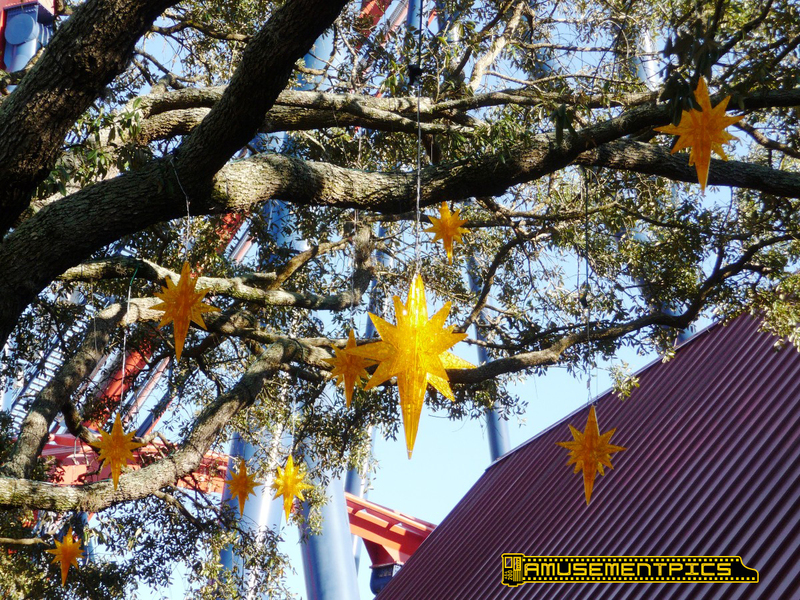 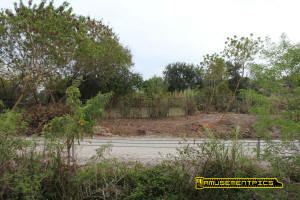 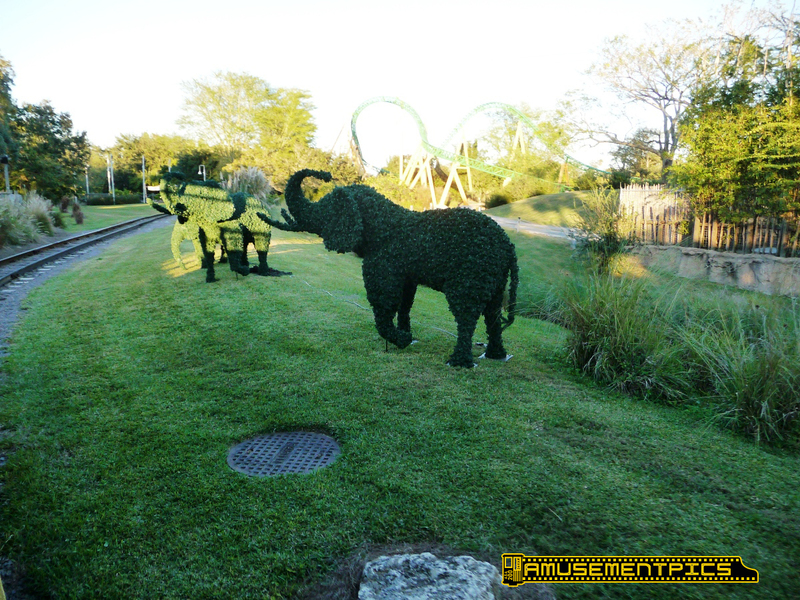 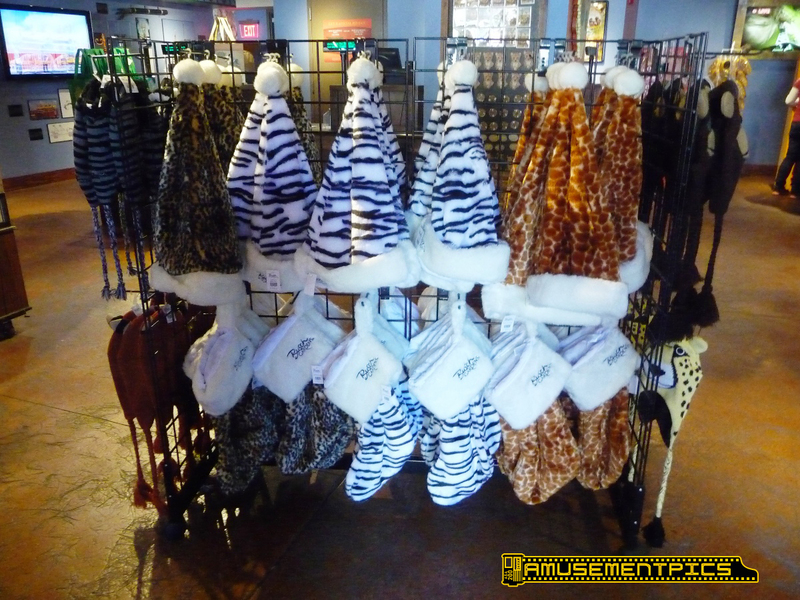 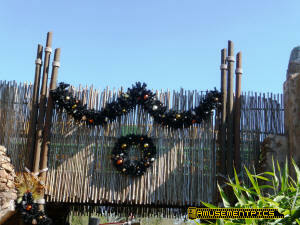 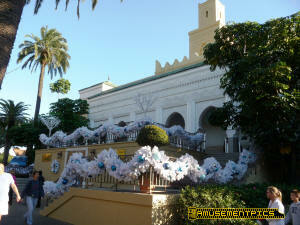 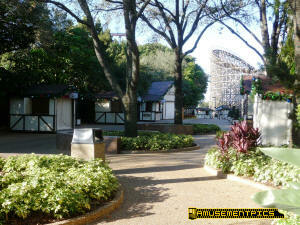 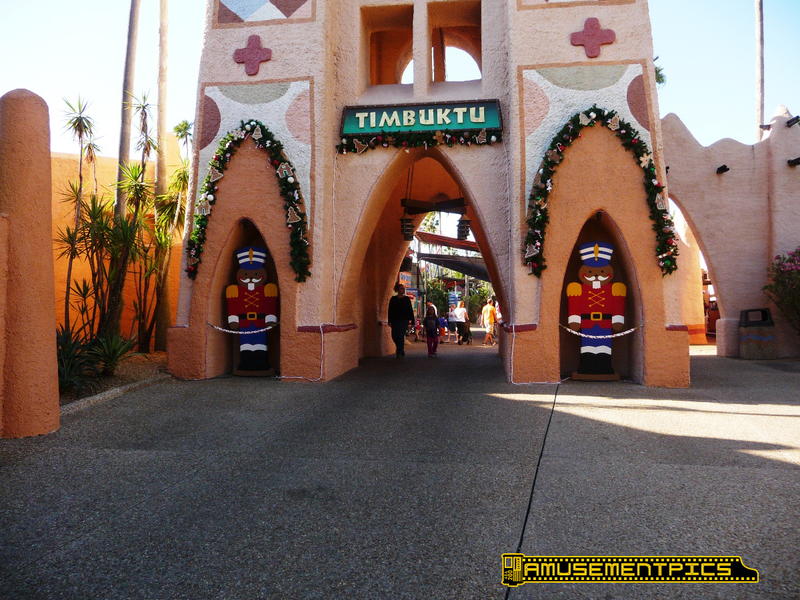 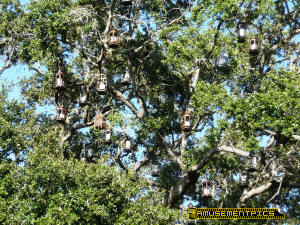 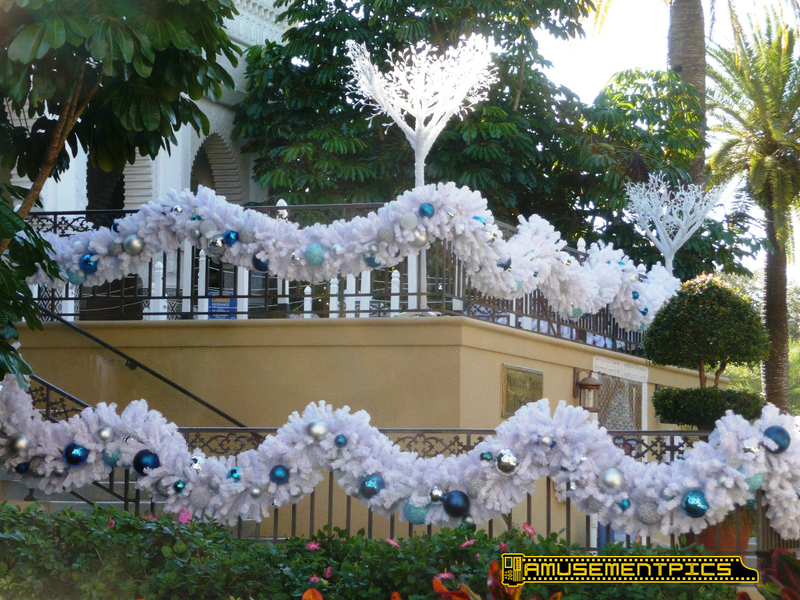 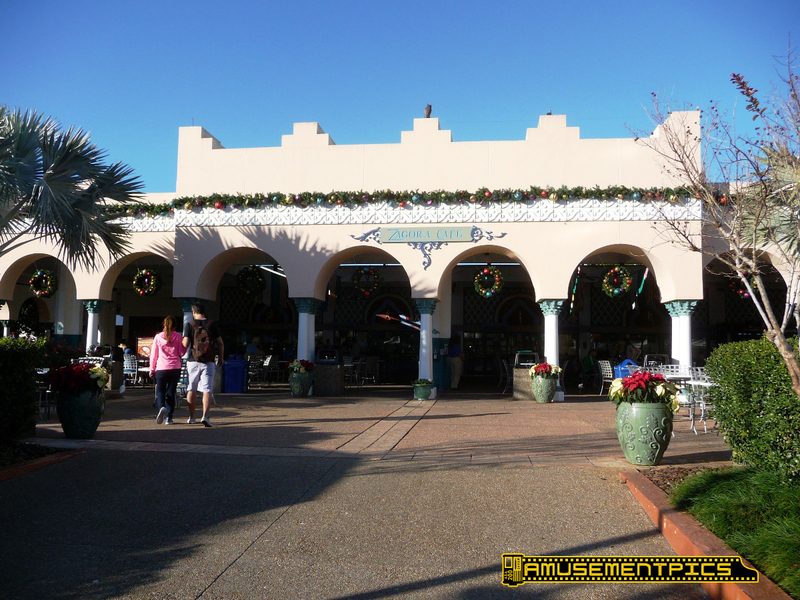 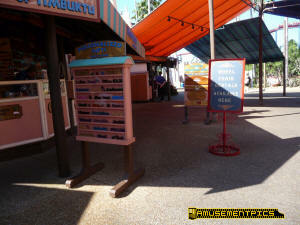 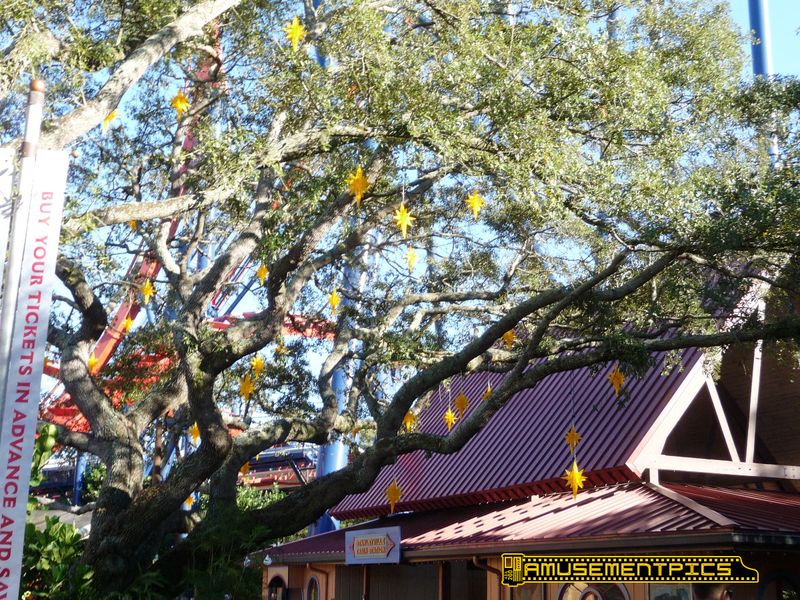 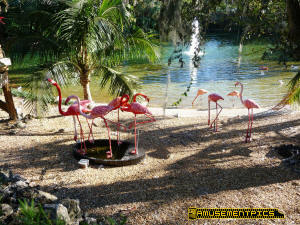 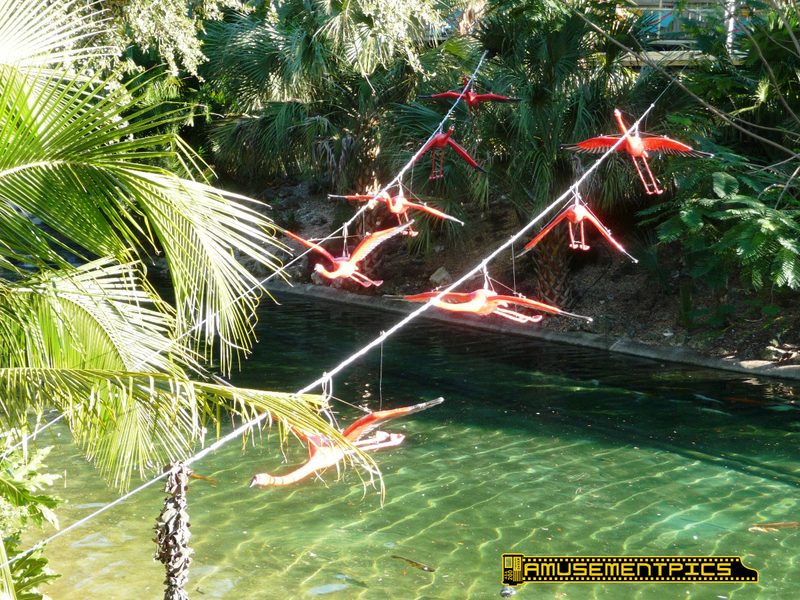 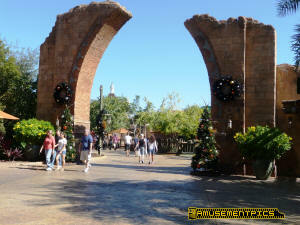 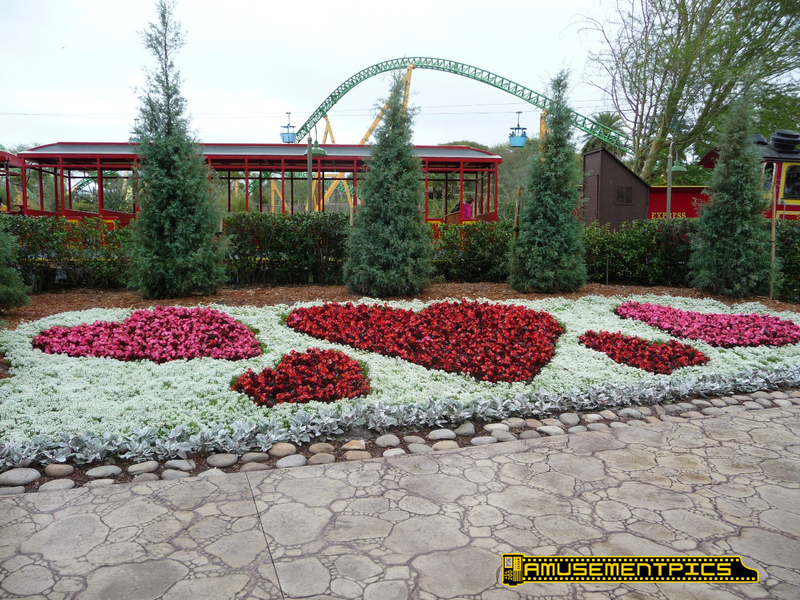 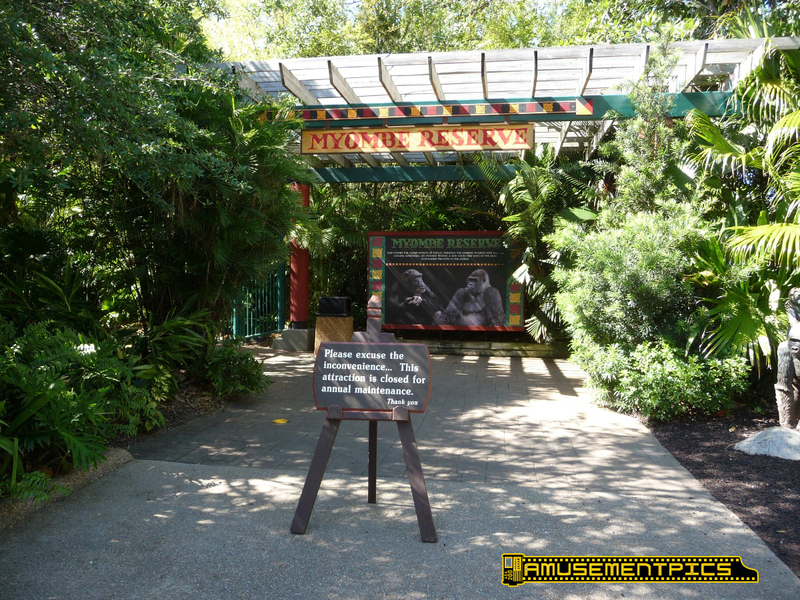 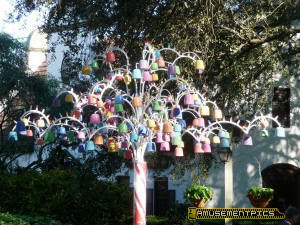 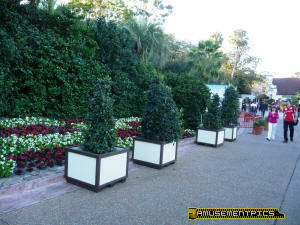 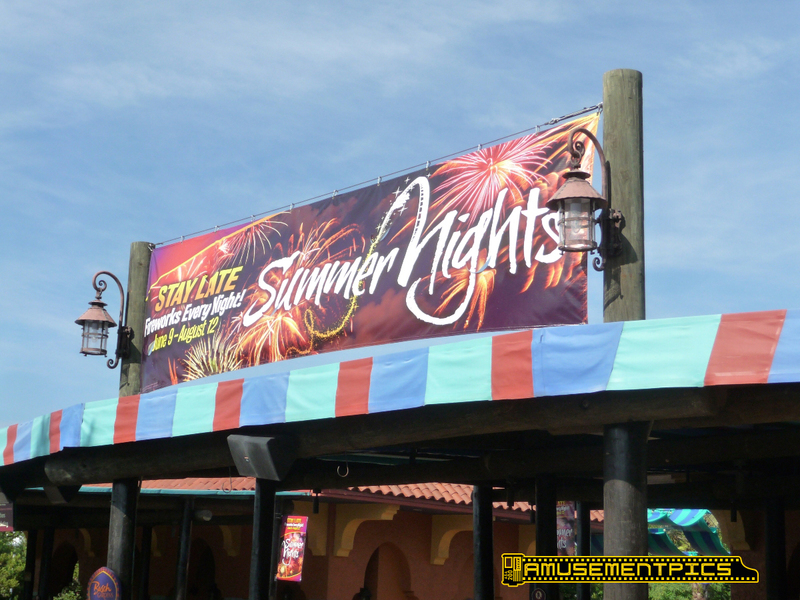 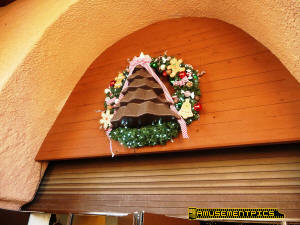 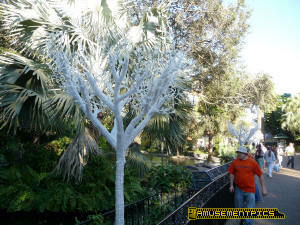 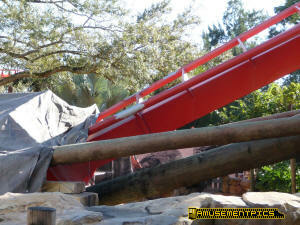 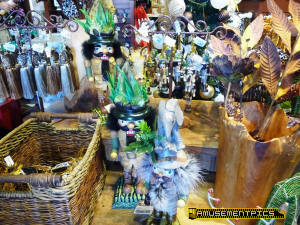 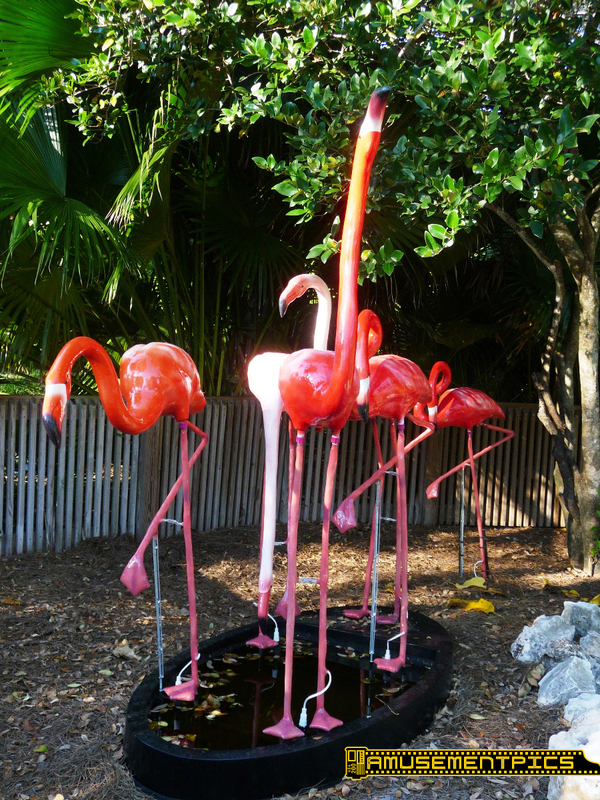 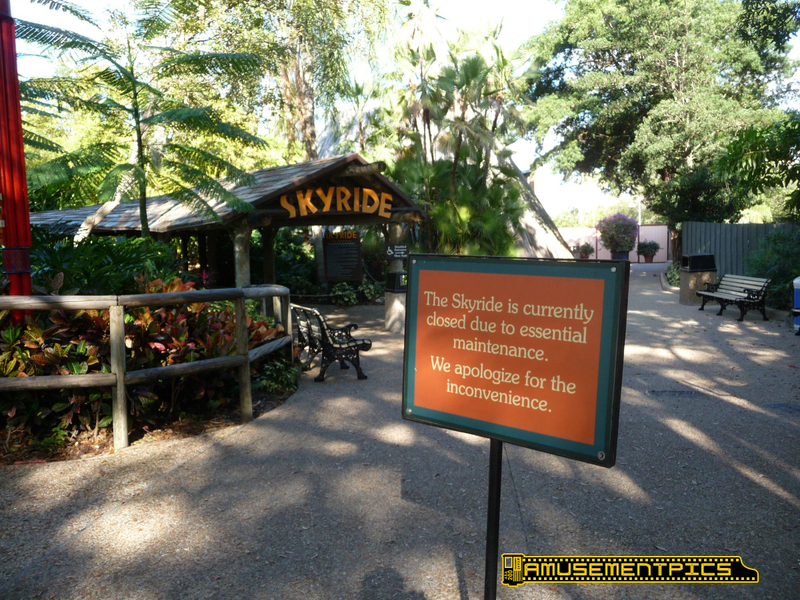 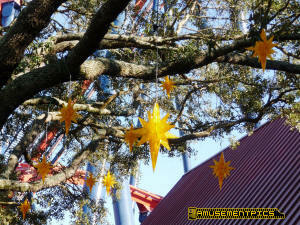 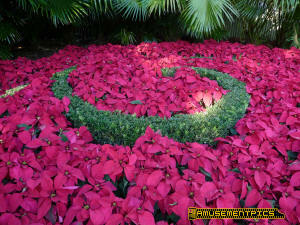 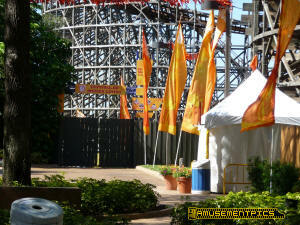 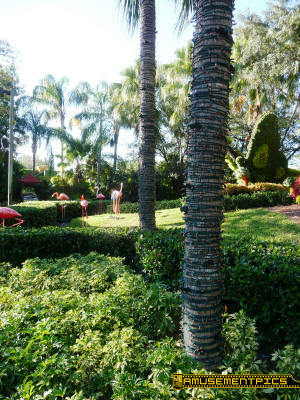 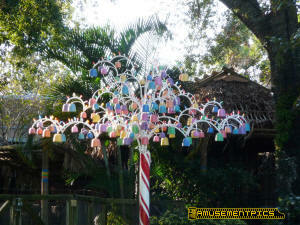 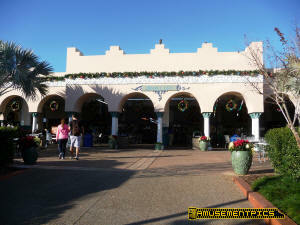 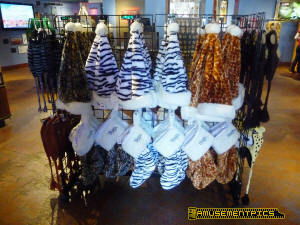 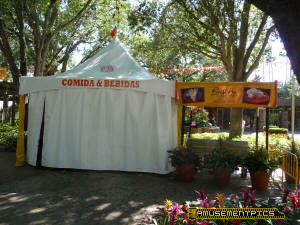 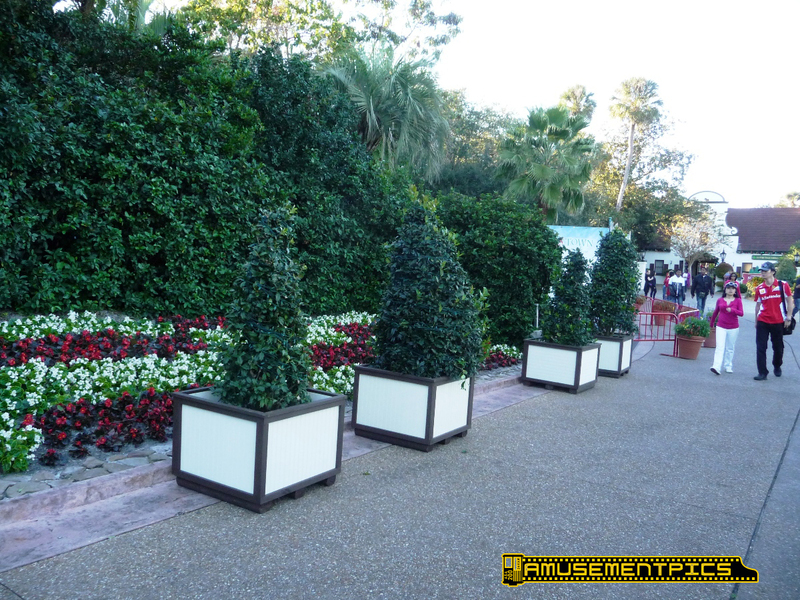 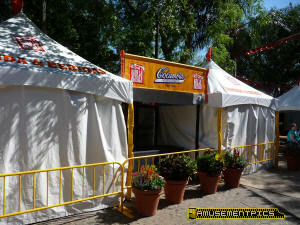 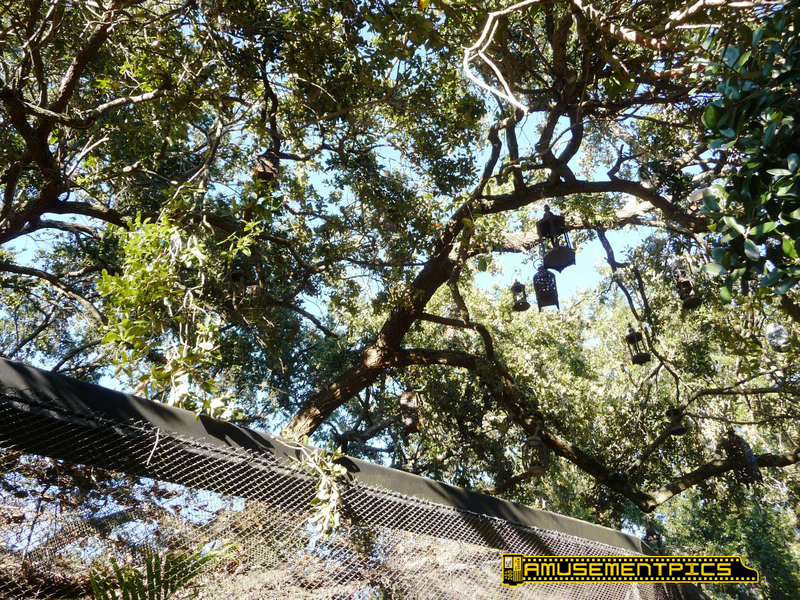 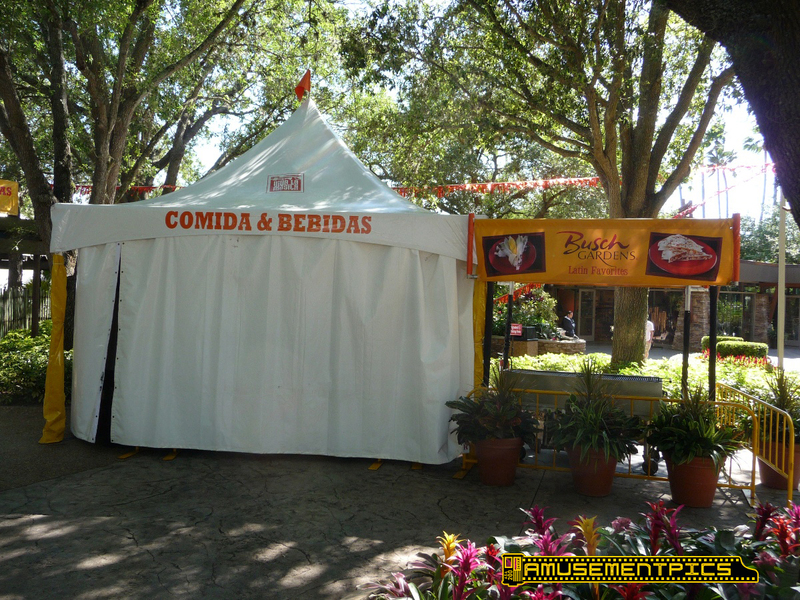 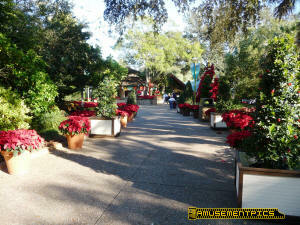 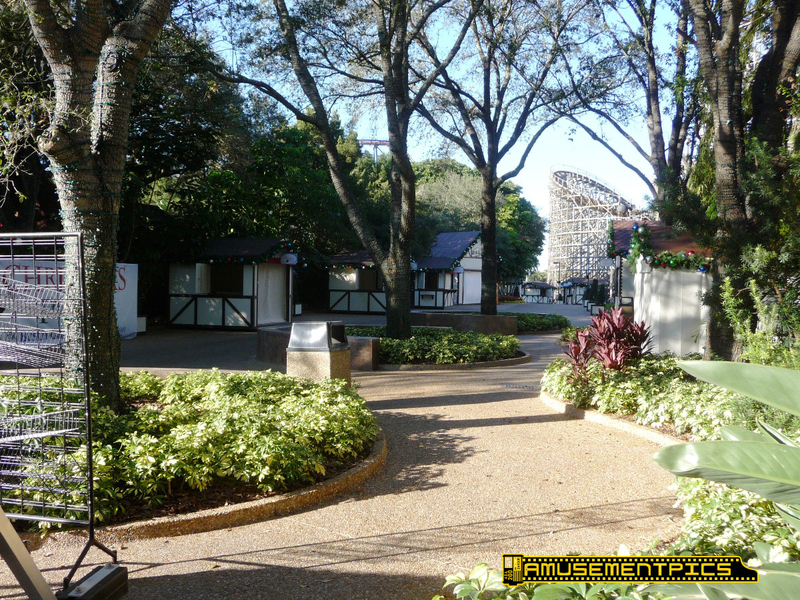 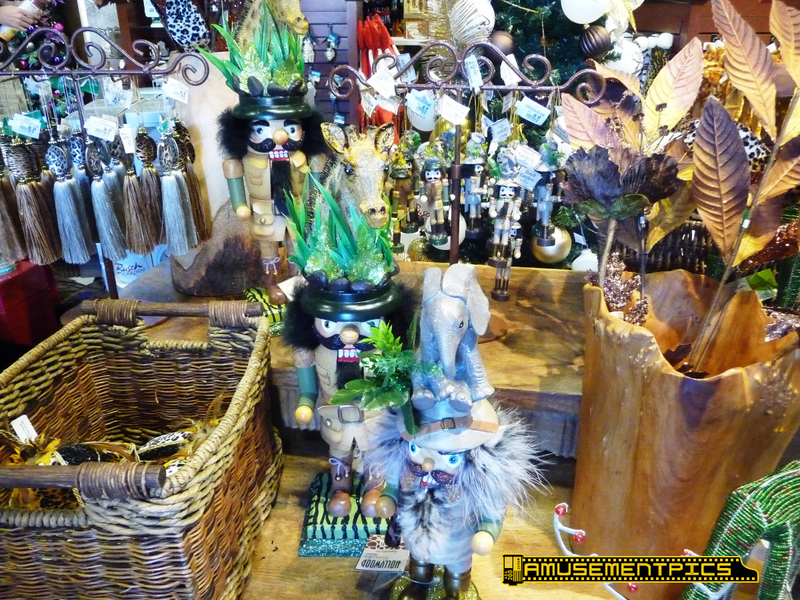 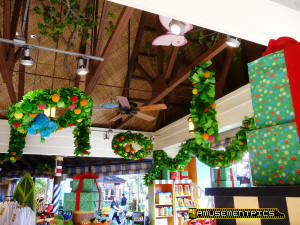 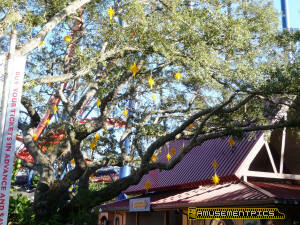 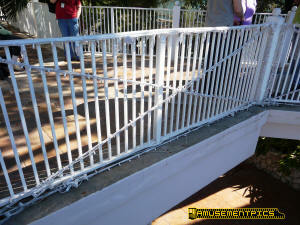 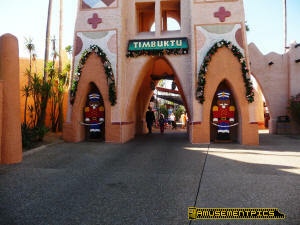 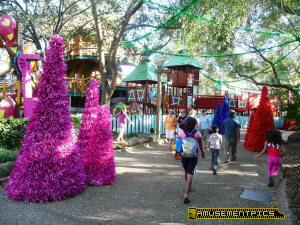 Jungle Jubilee will build on the decorations already used in the Crossroads area near Cheetah Hunt. 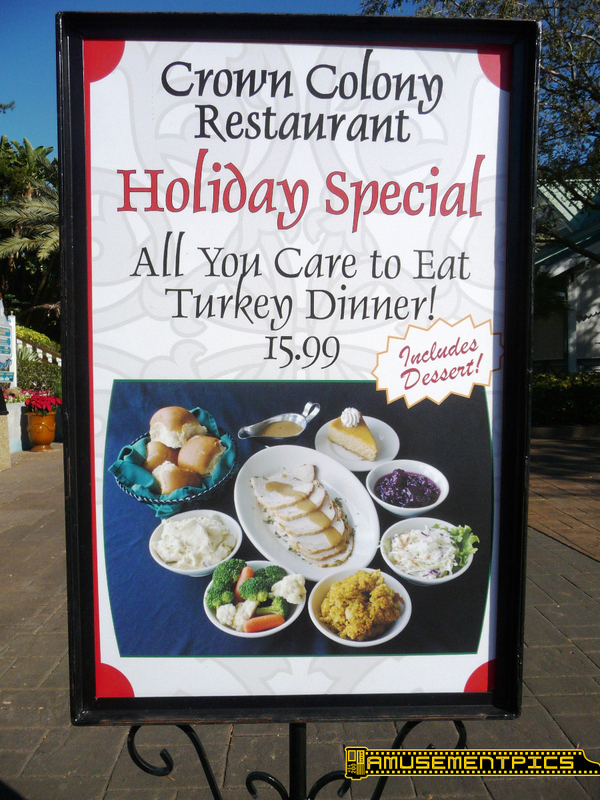 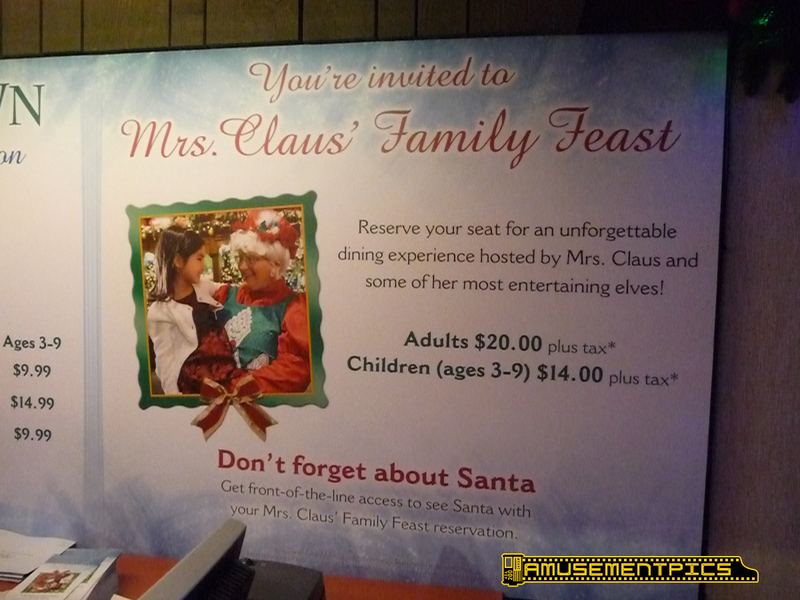 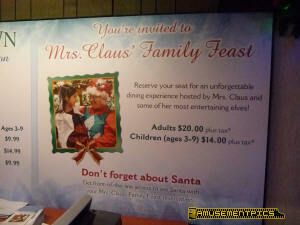 No word on where Mrs. Claus' Feast will be held. 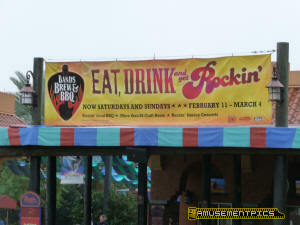 Lots of food and drink to be had! 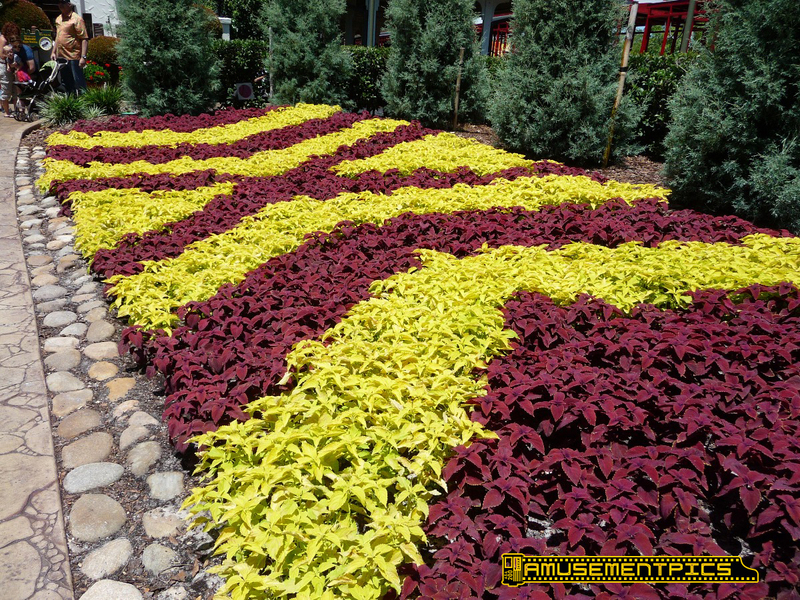 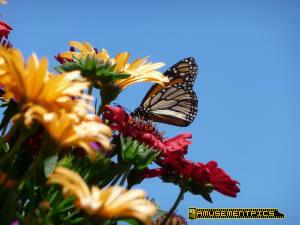 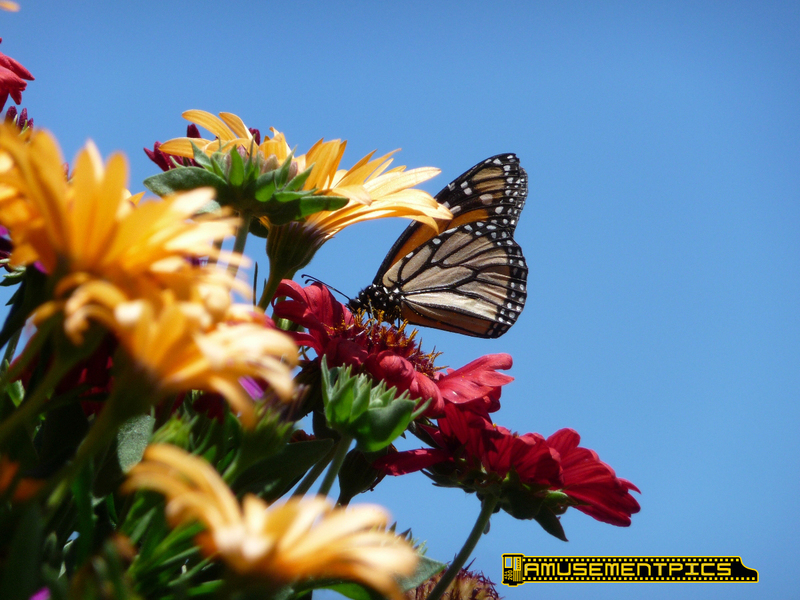 Really colorful spring plantings throughout the park! 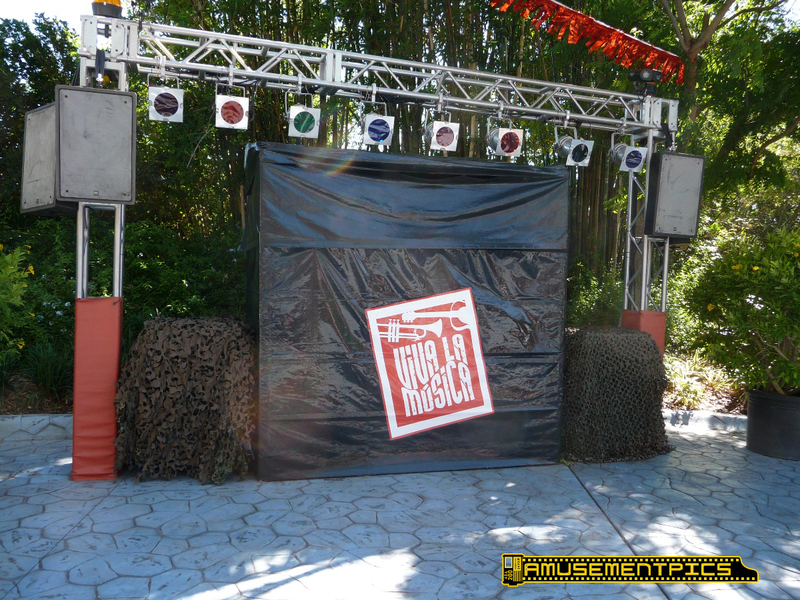 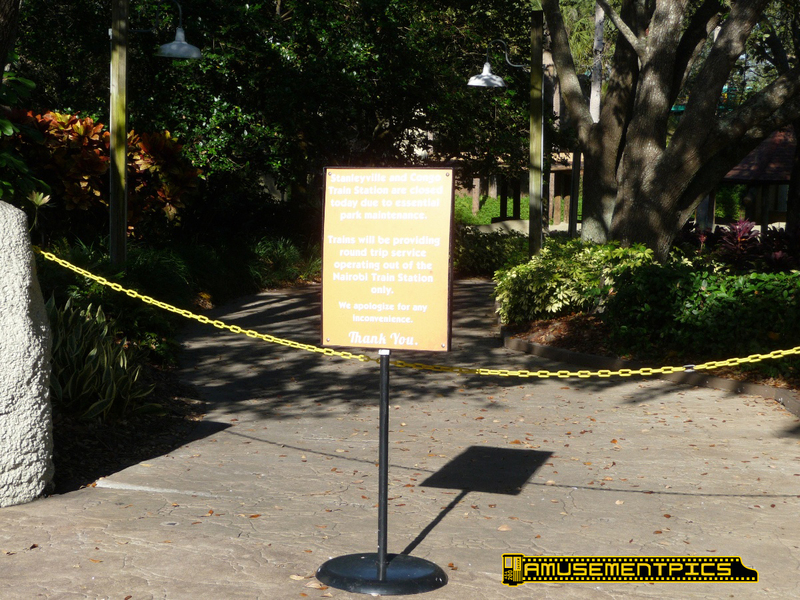 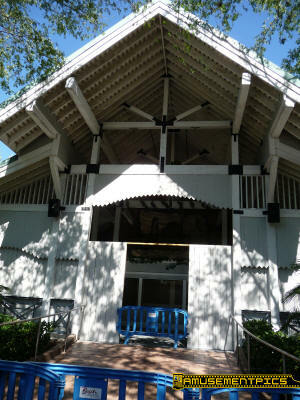 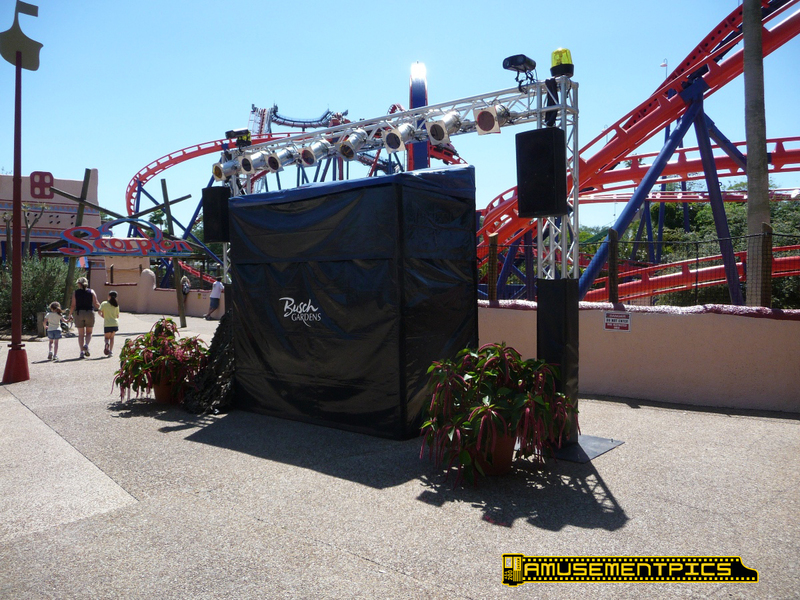 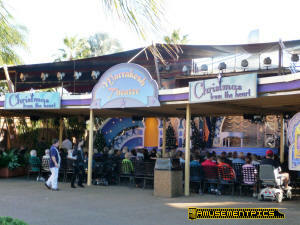 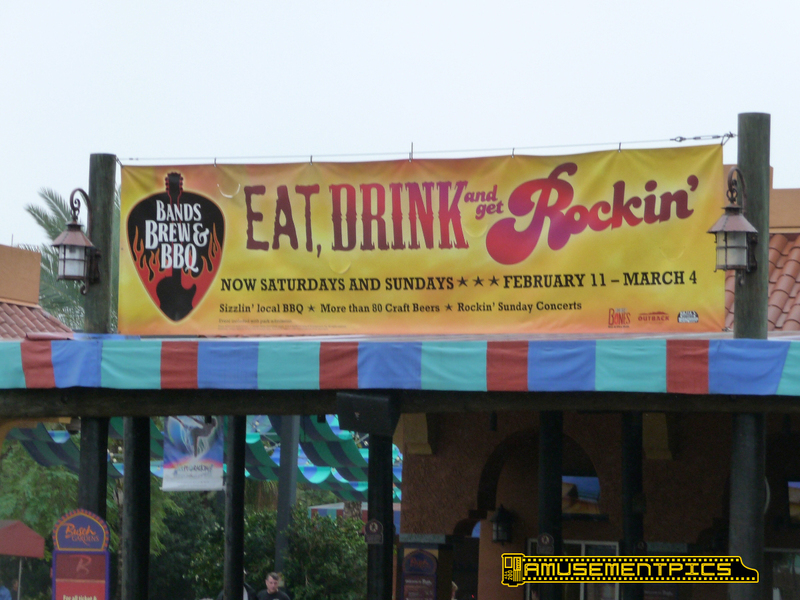 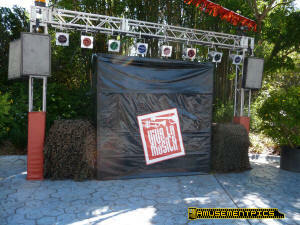 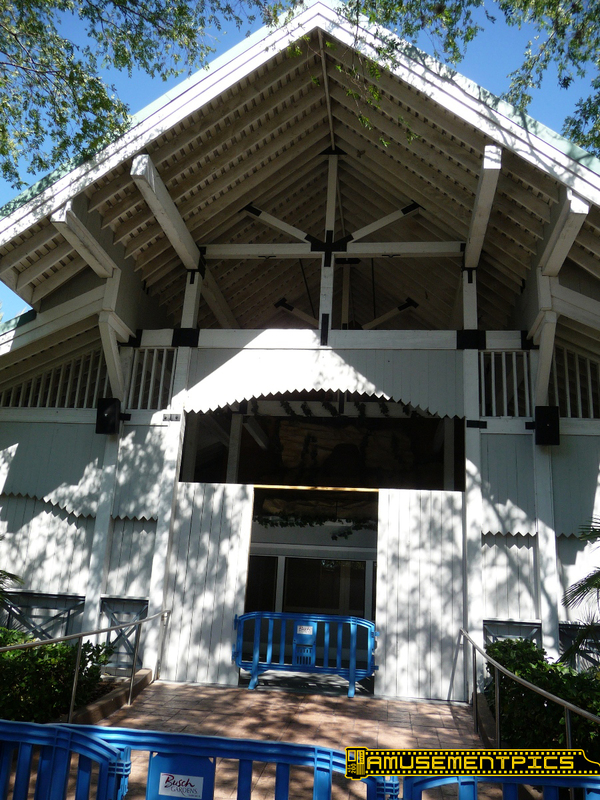 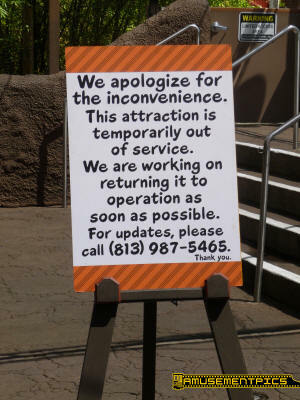 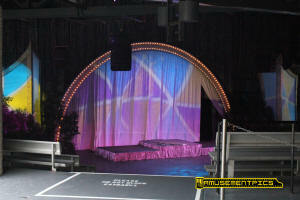 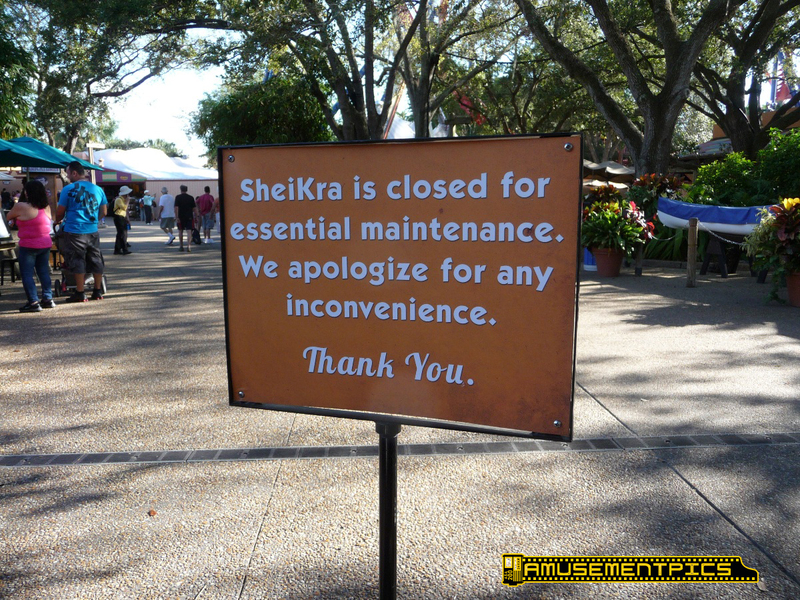 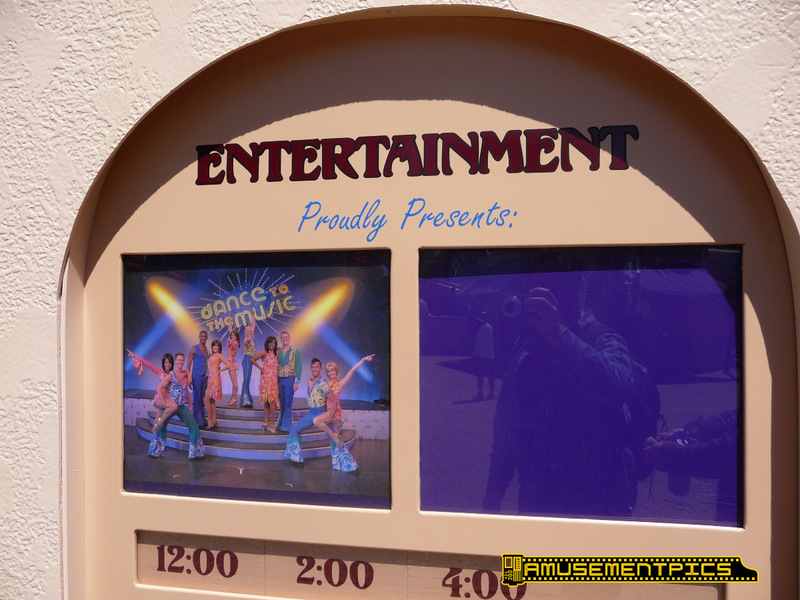 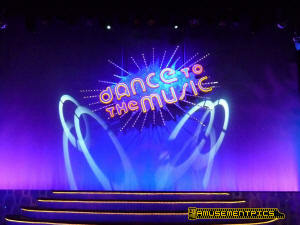 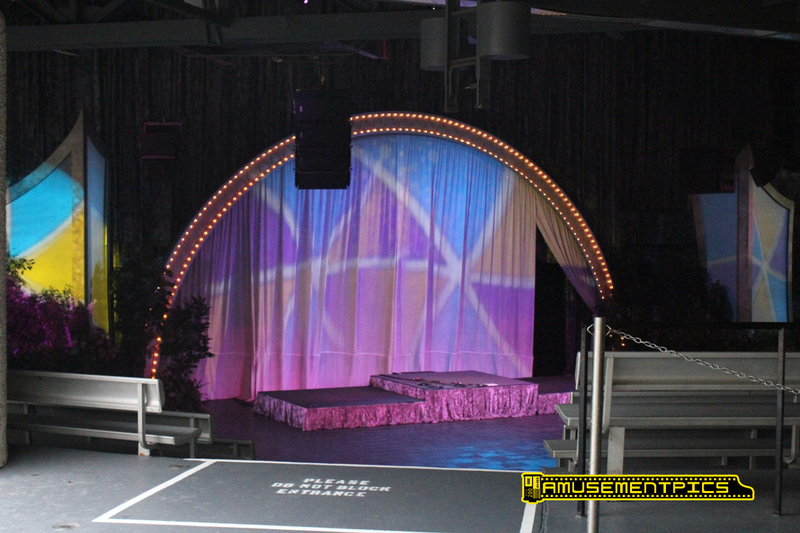 With "Burn The Floor" done for the season, "Dance to the Music"
of the park was closed all day. 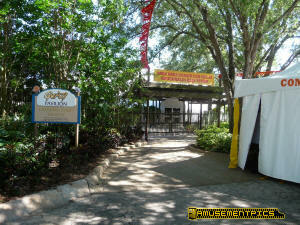 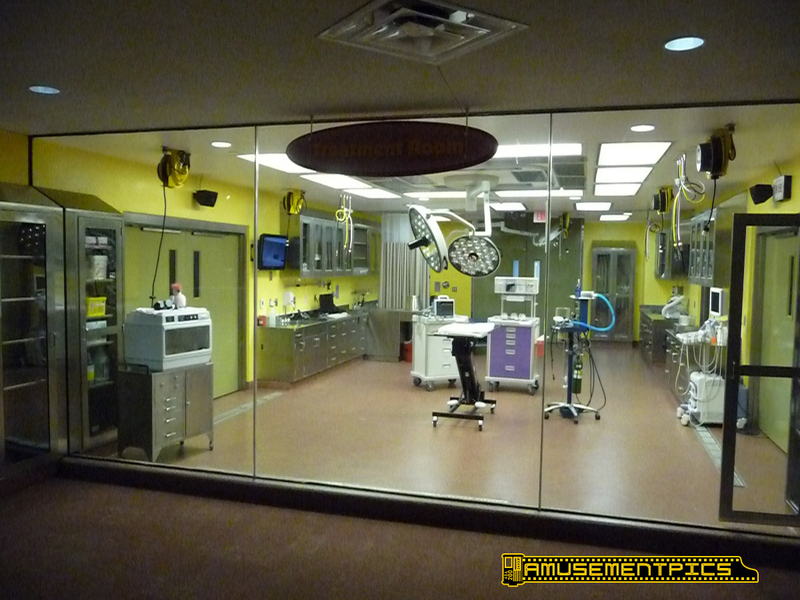 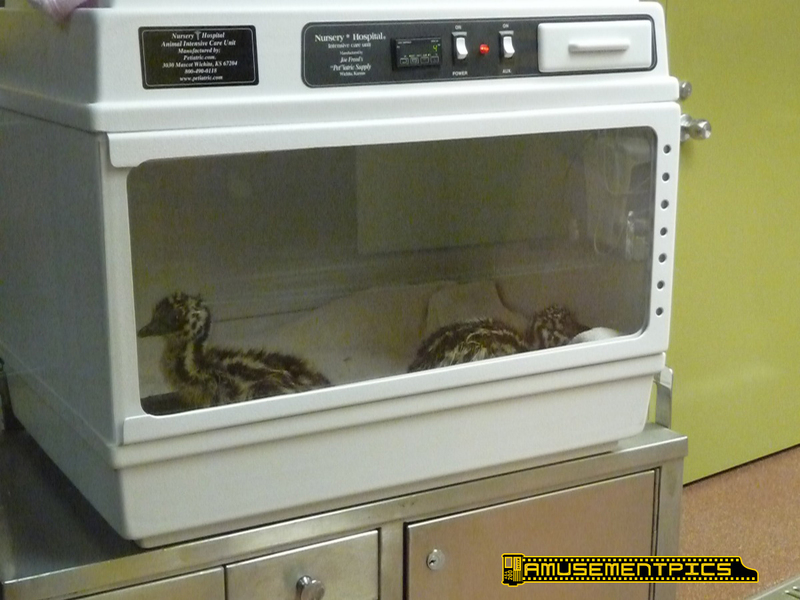 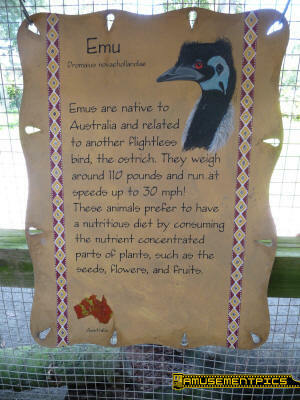 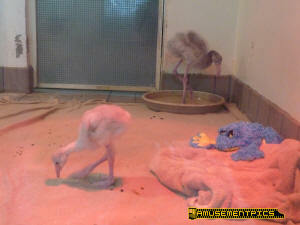 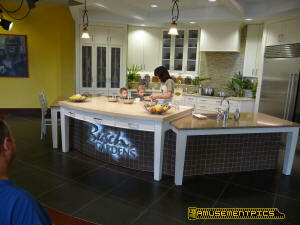 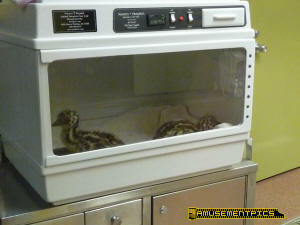 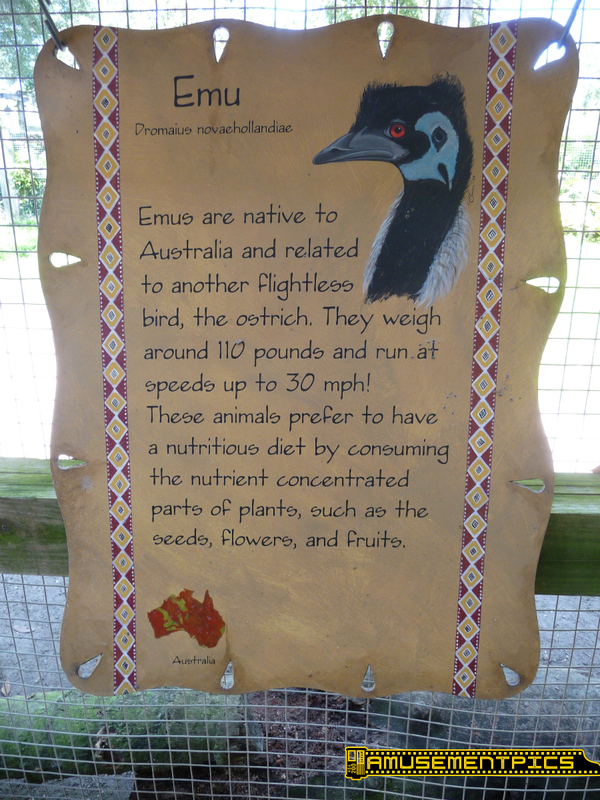 This was our first chance to visit the new Animal Care Center, and it is really nice. 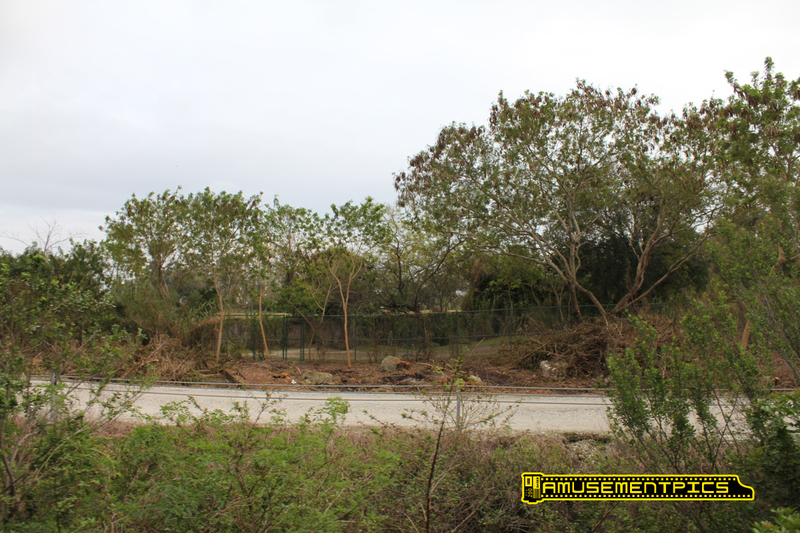 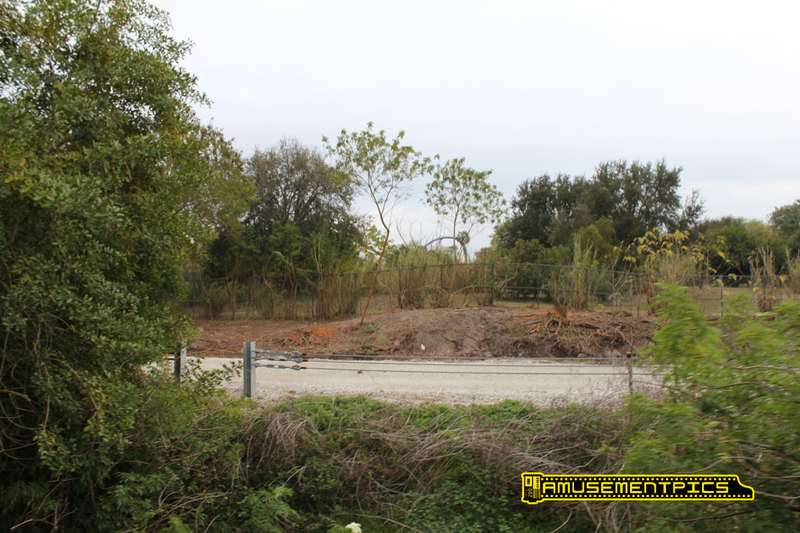 From the Skyride we noticed some clearing taking place alongside the roads and railroad tracks. 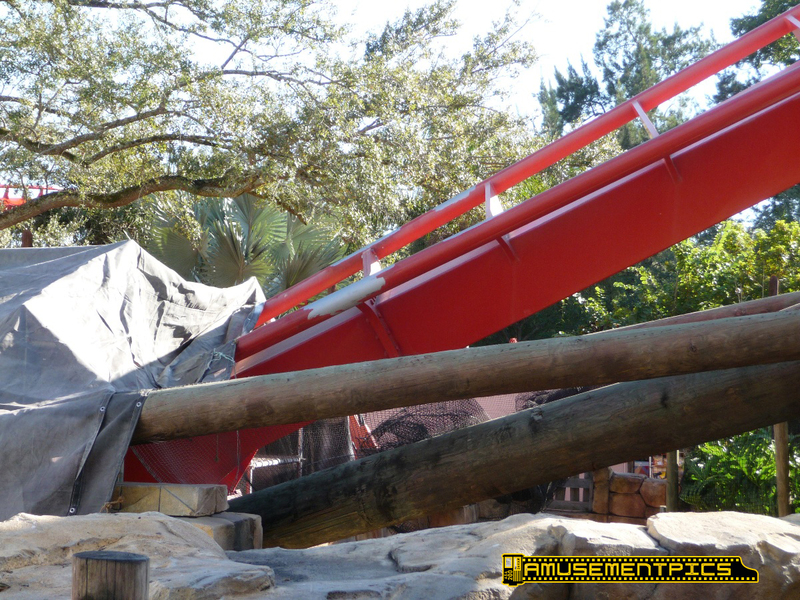 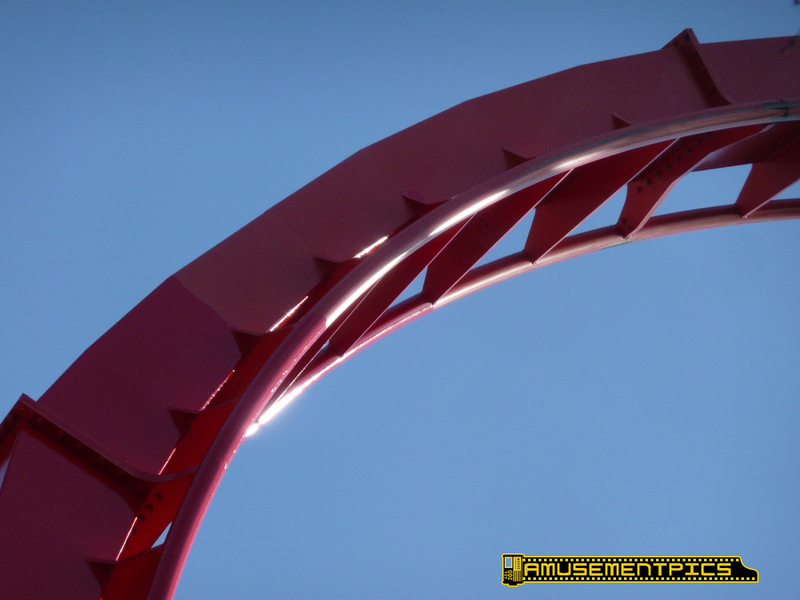 It looks like it could be a part of the rumored upgrade to Rhino Rally. If it is for Rhino Rally, either Rhino Rally will have to cross the tracks and road or the road and tracks could be moved over to the new cleared area making more room on the existing site.